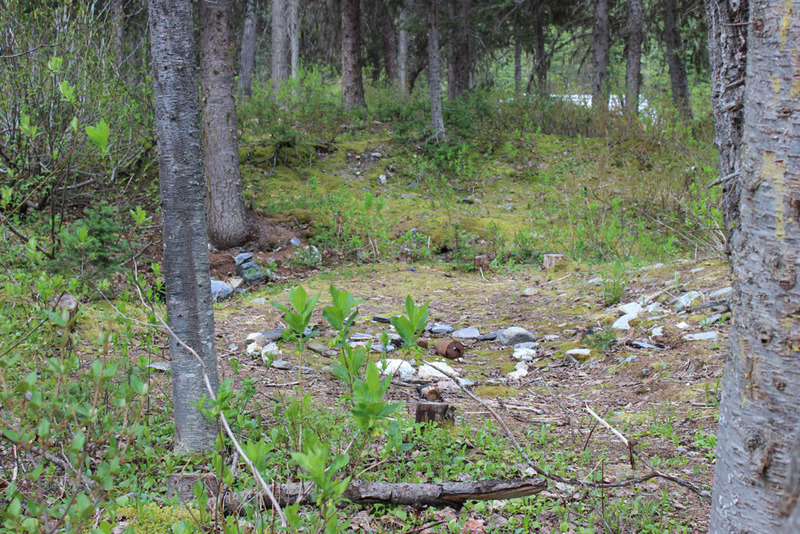 Your exhausted, your digging through years of accumulated layers of thick wet earth, worthless, frustrating gravel that continues to flood back into your excavation with every shovel full you desperately try and remove. 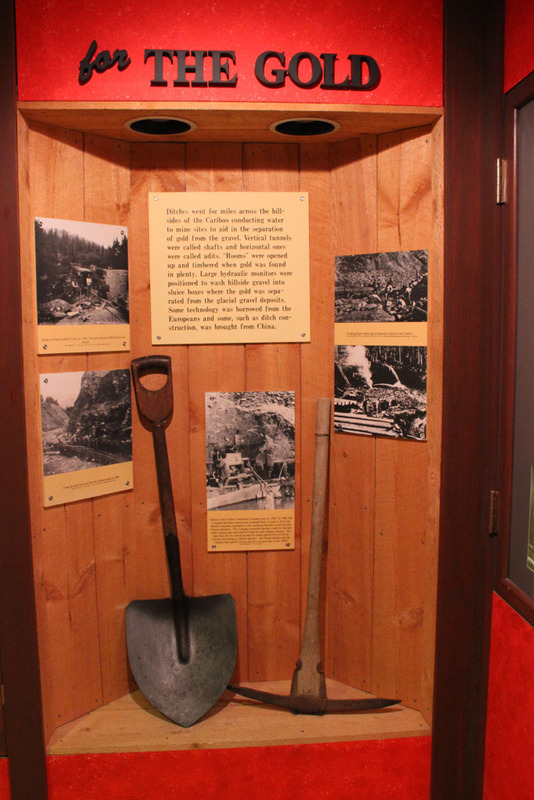 You’re constantly hoping and praying the next shovel could expose your fortune in that yellow gem stone we all know as gold. 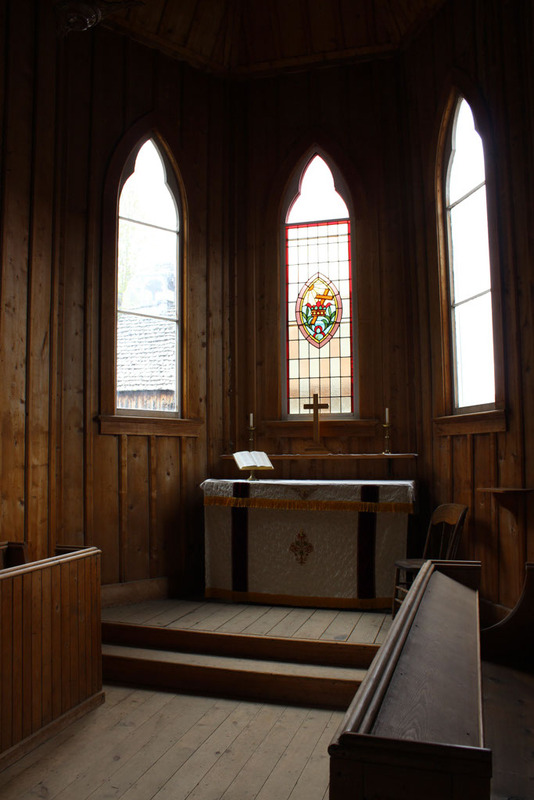 Friends and family think you have lost your mind, so much at stake. 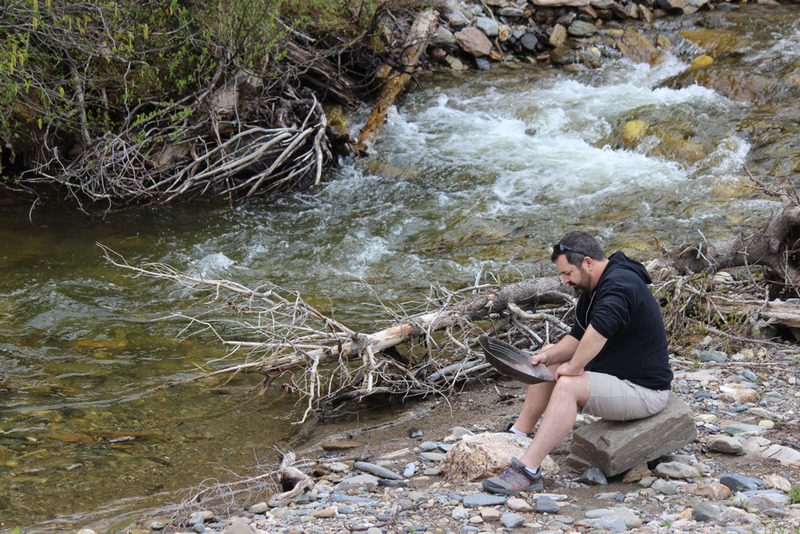 Just when you are about to give up, admit defeat, and throw in the towel and at a depth of 52 feet, your miles of travel and hours of labour begin to payoff! 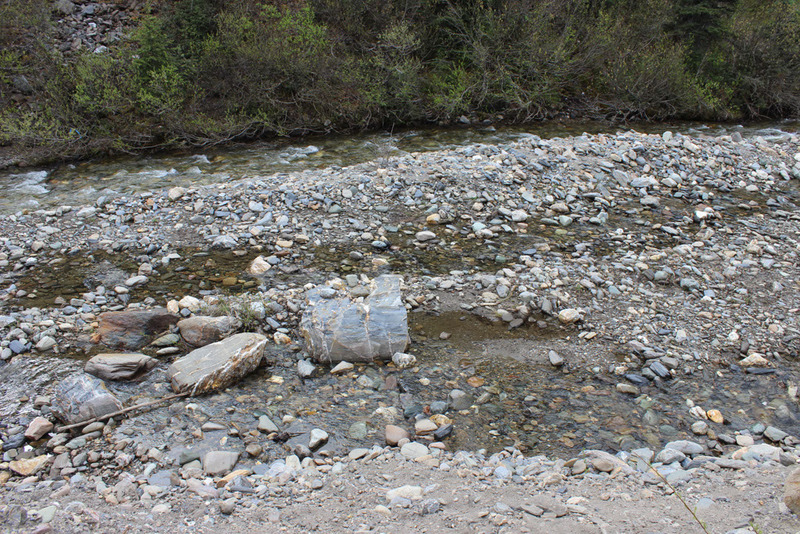 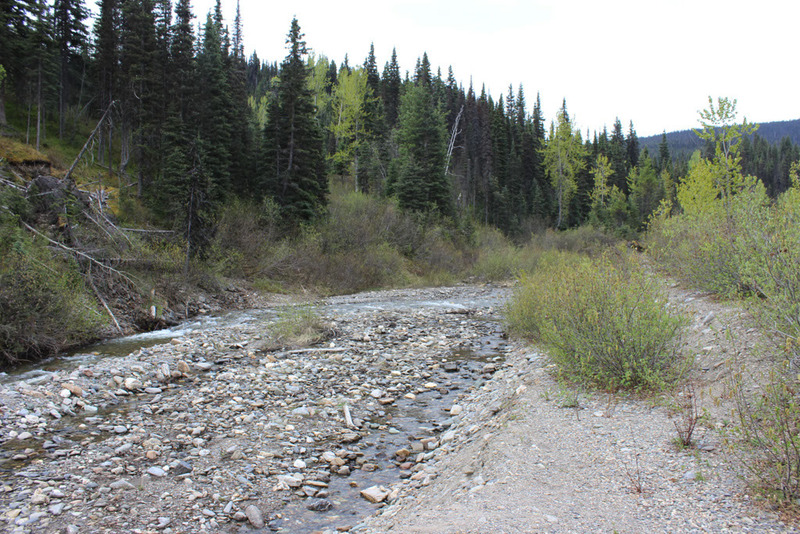 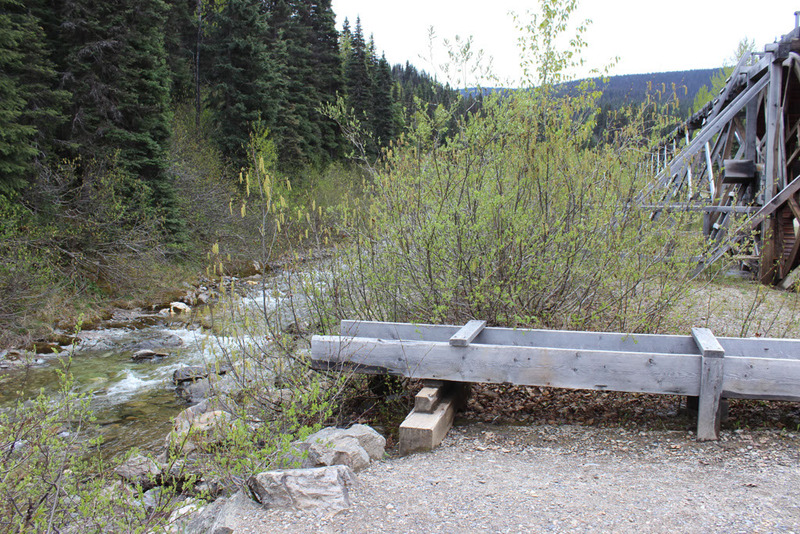 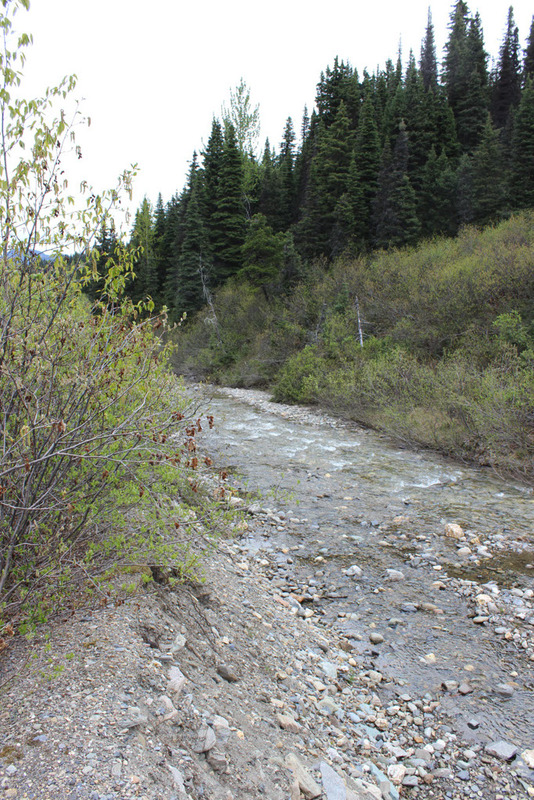 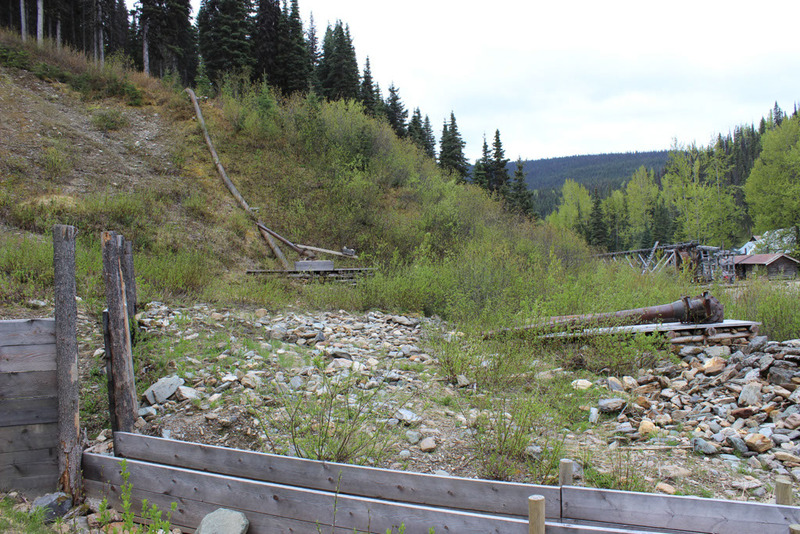 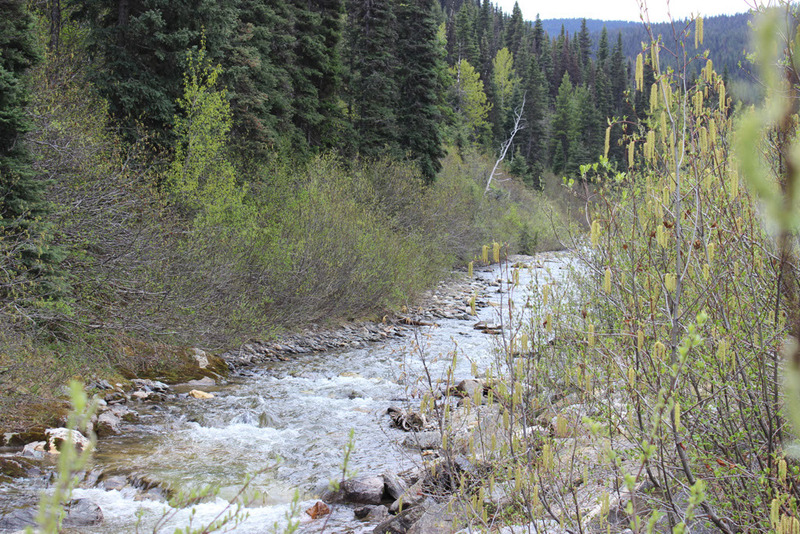 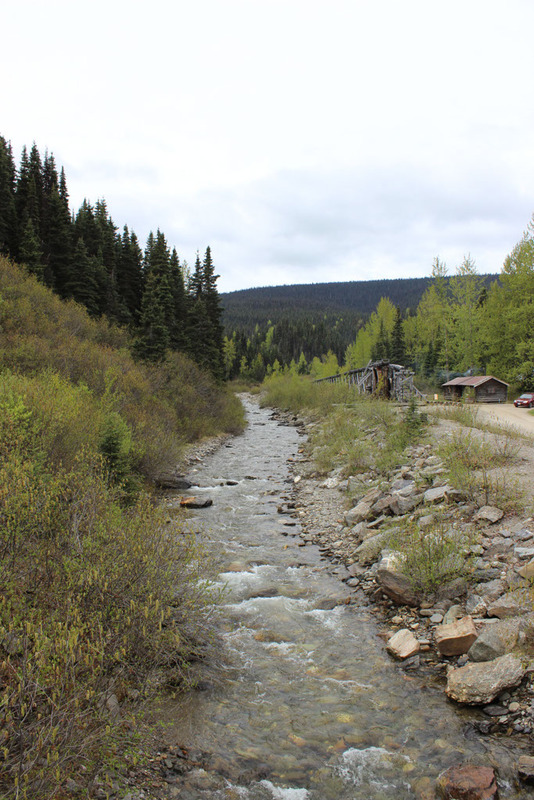 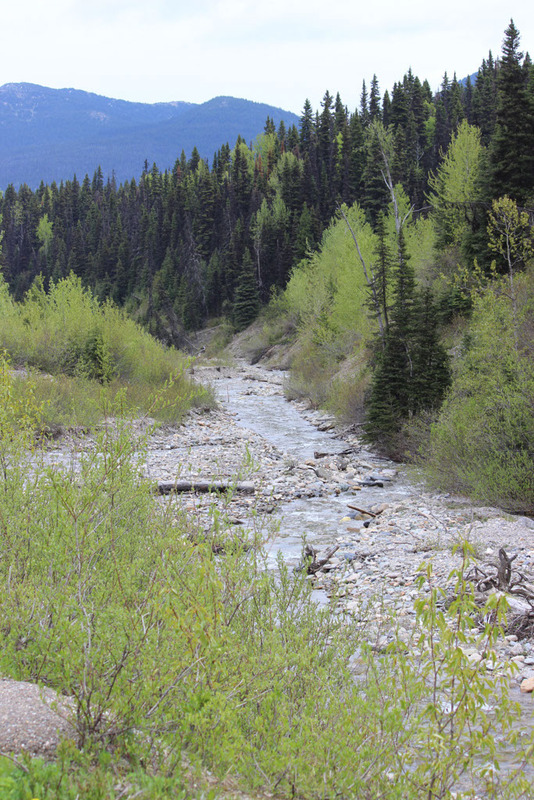 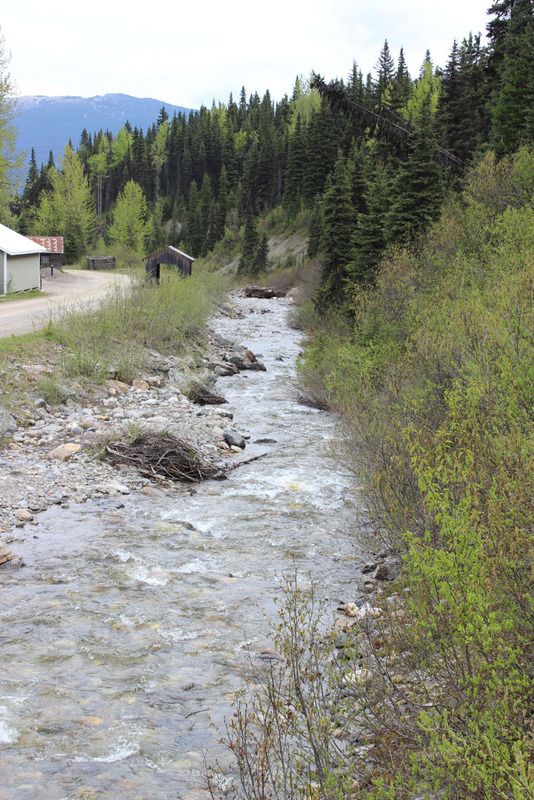 The goal you have only dreamt you could obtain has been reached and the greatest creek side placer gold deposit the world has ever seen has now been found! 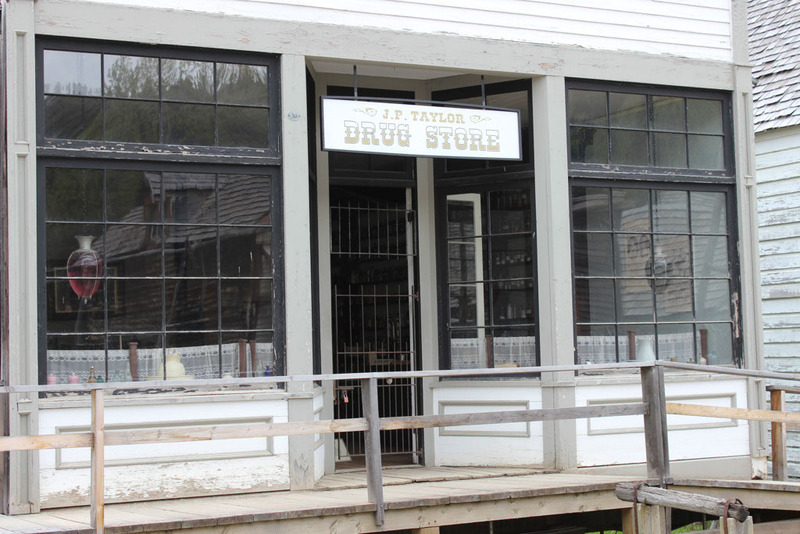 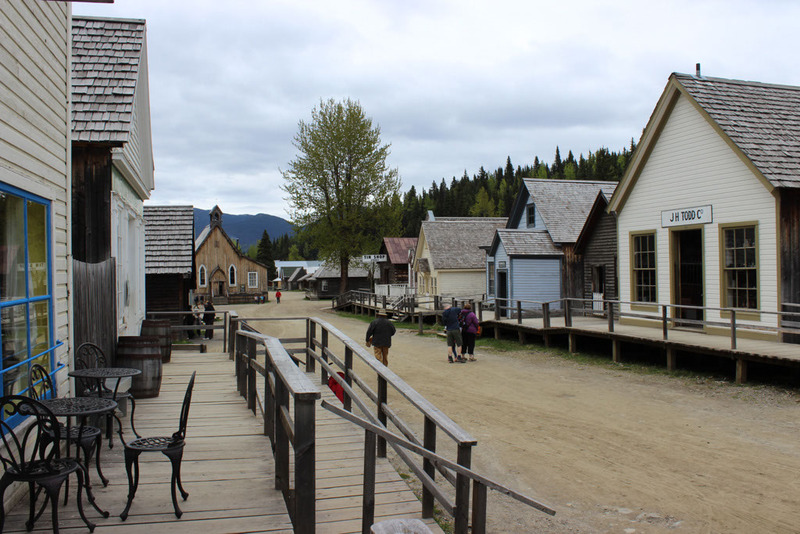 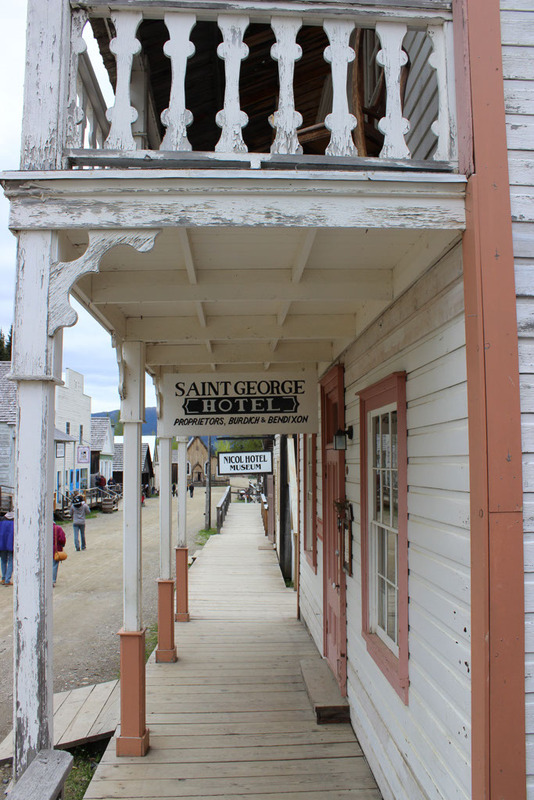 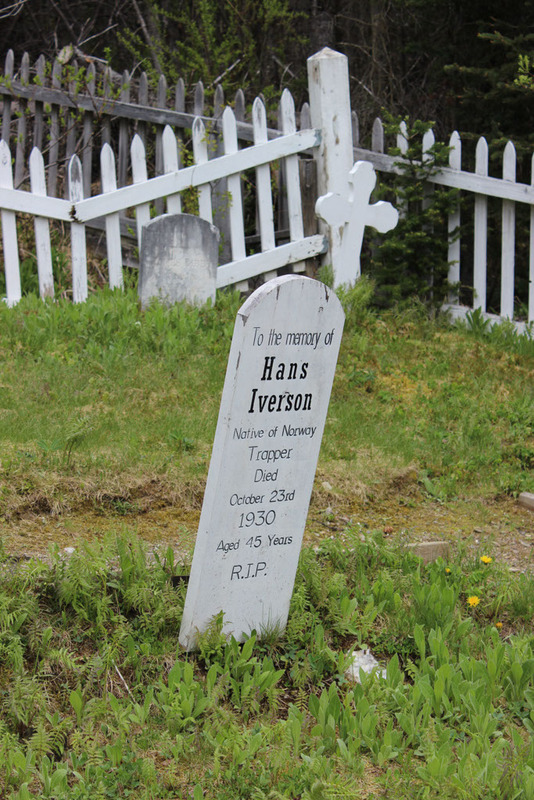 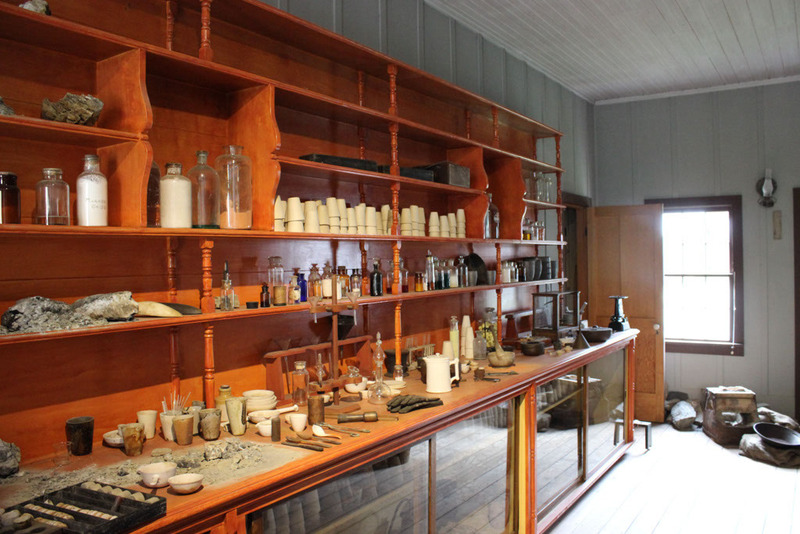 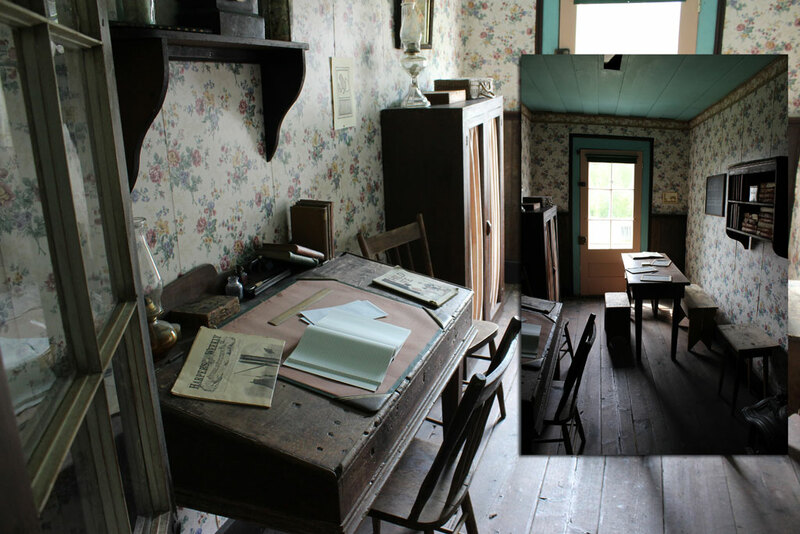 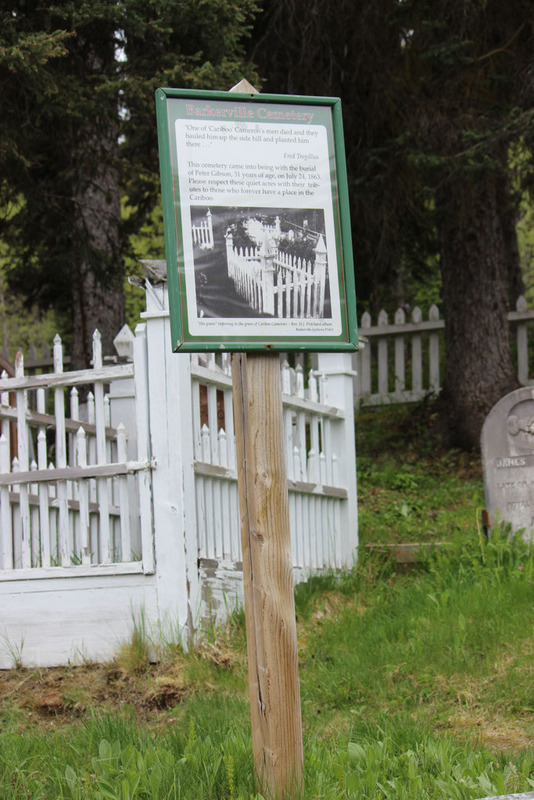 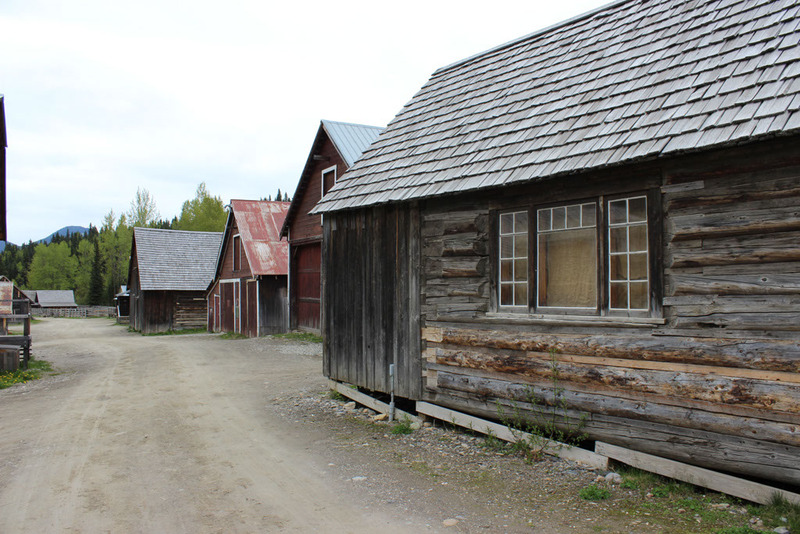 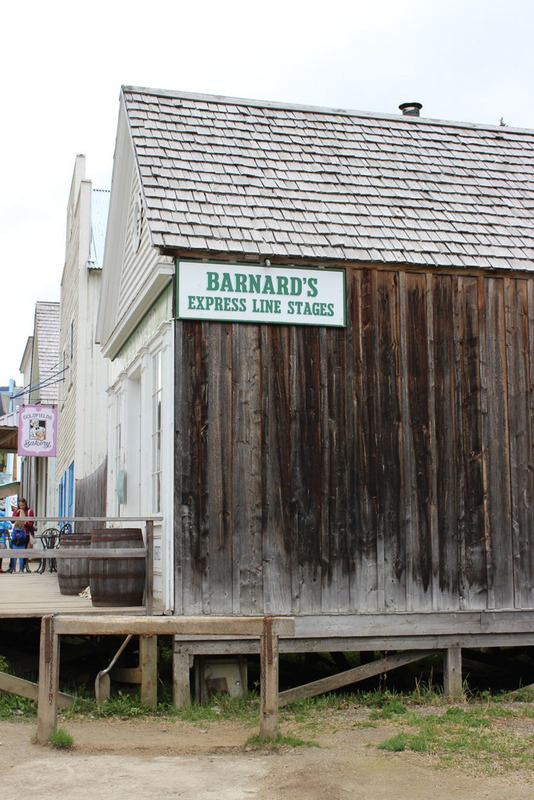 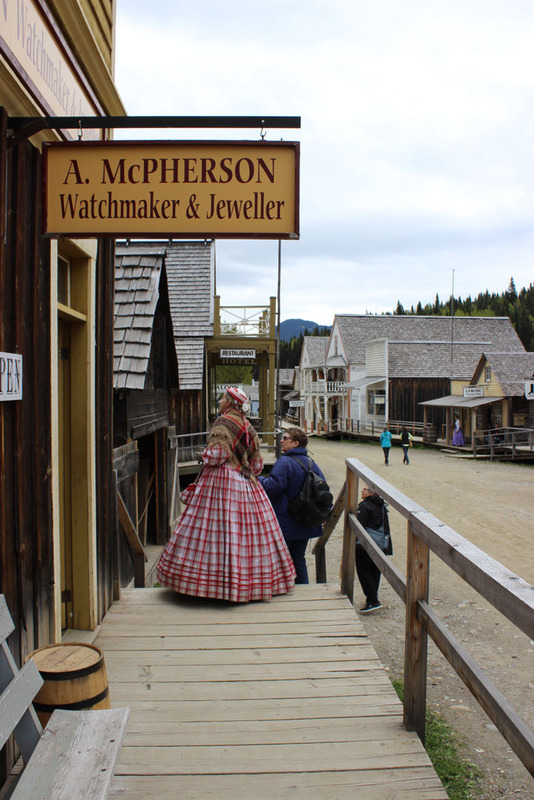 The year is 1862 and this is the story of the amazing town of Barkerville…I hope you will enjoy the 100+ images below, that I recently captured in the Spring of 2016. 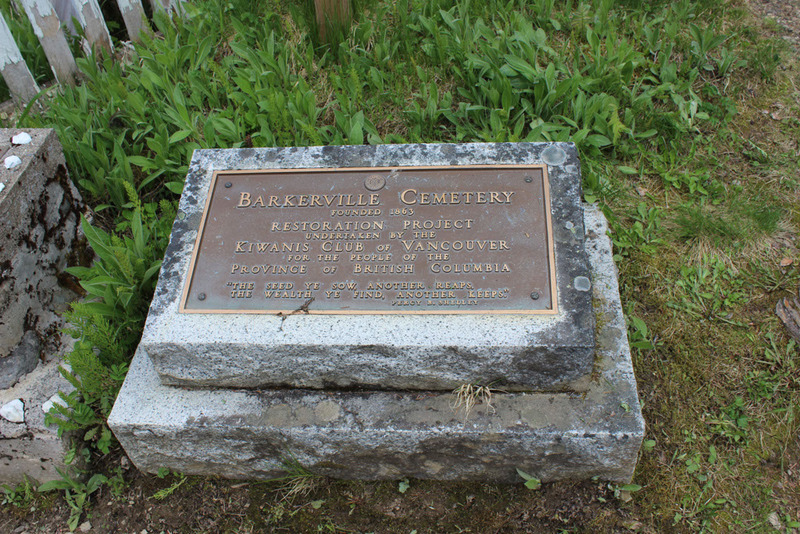 The following was Copied from the http://www.barkerville.ca/ website. 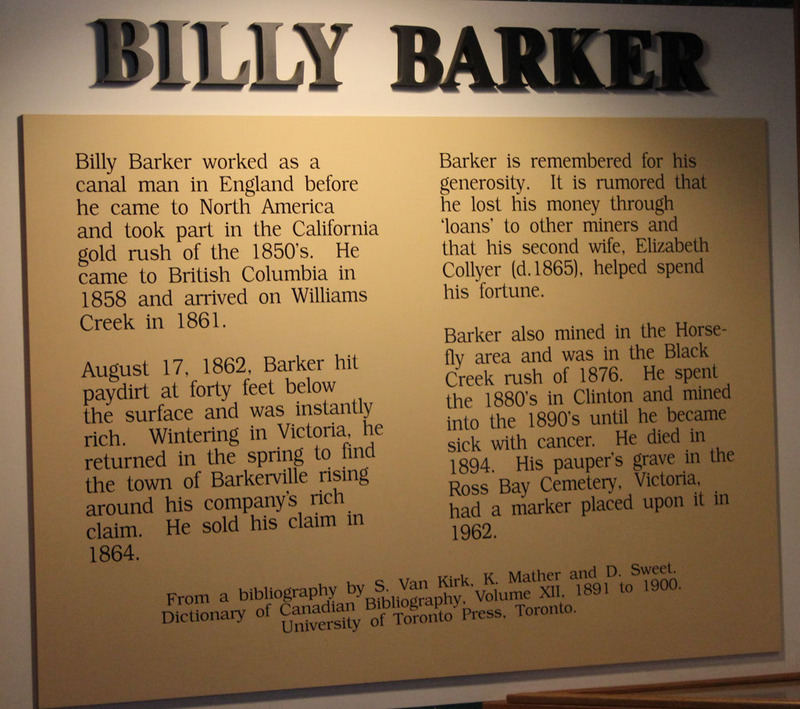 “British Columbia’s central interior has been profoundly shaped by gold thanks to a simple, working-class English prospector named William ‘Billy’ Barker who, in 1862, spearheaded a twenty-year, multi-billion dollar industrial revolution that literally helped build a Province. 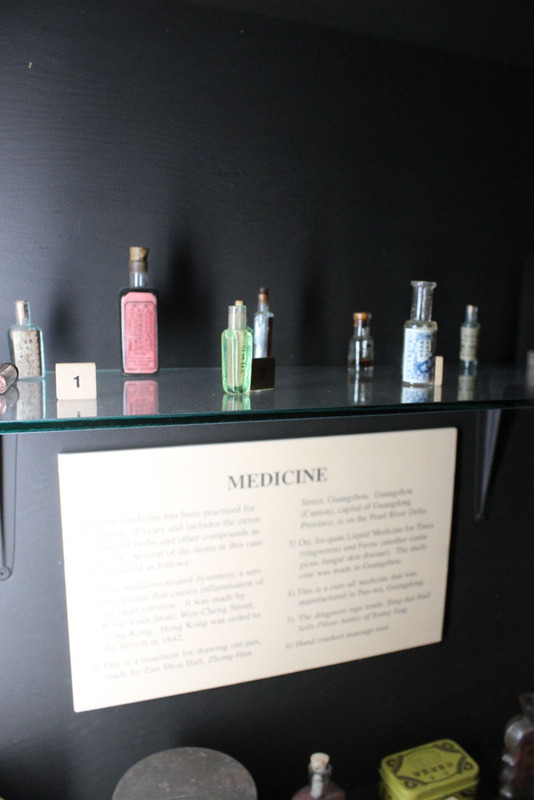 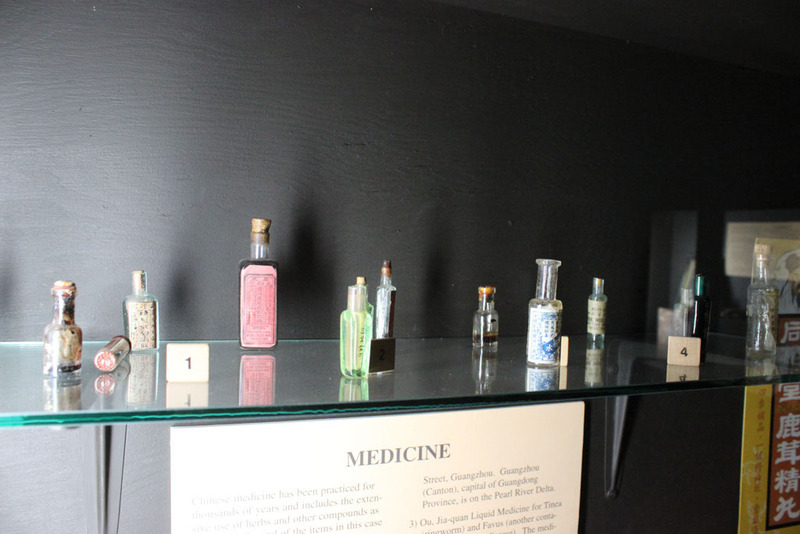 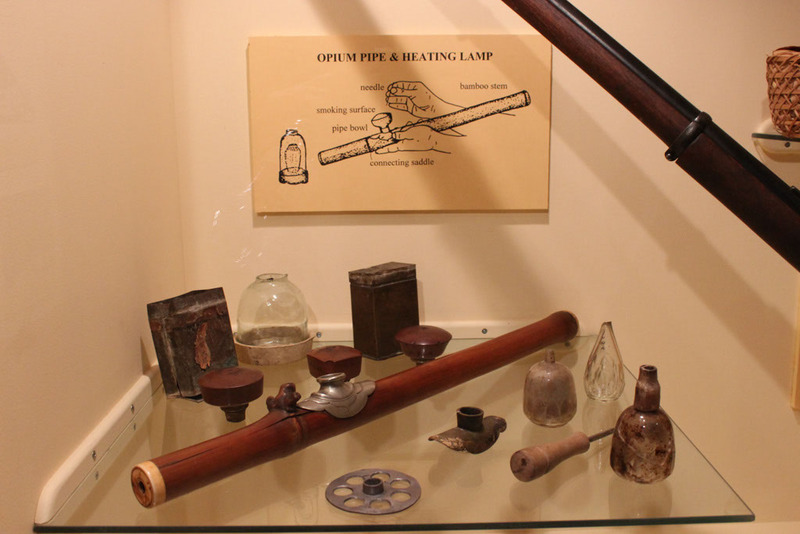 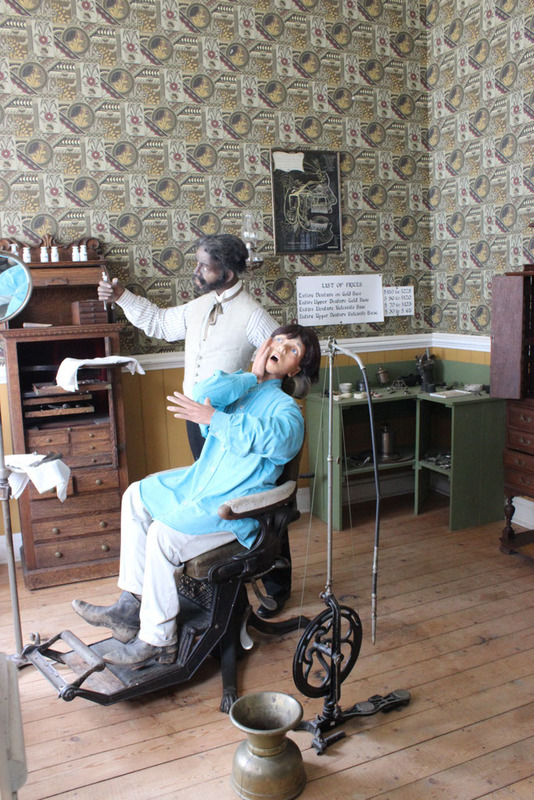 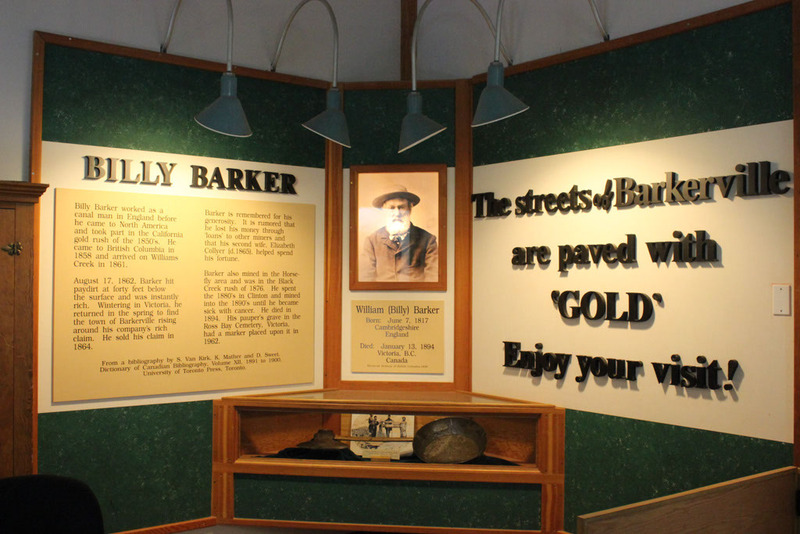 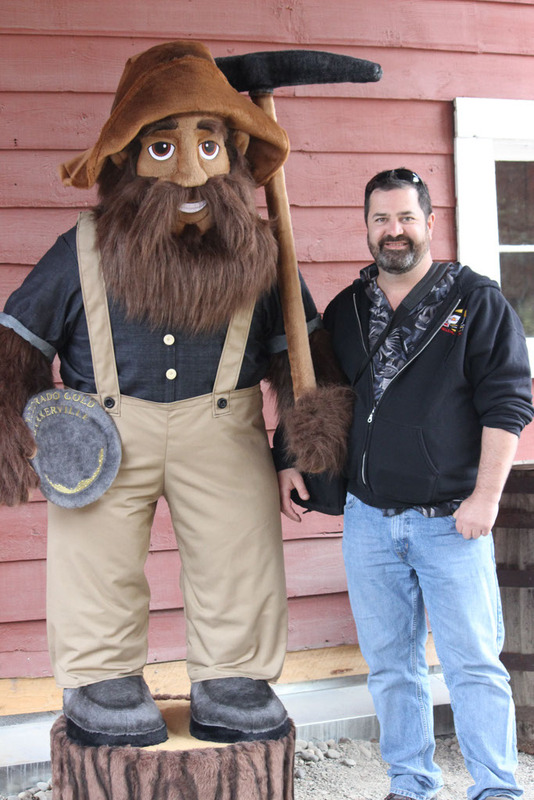 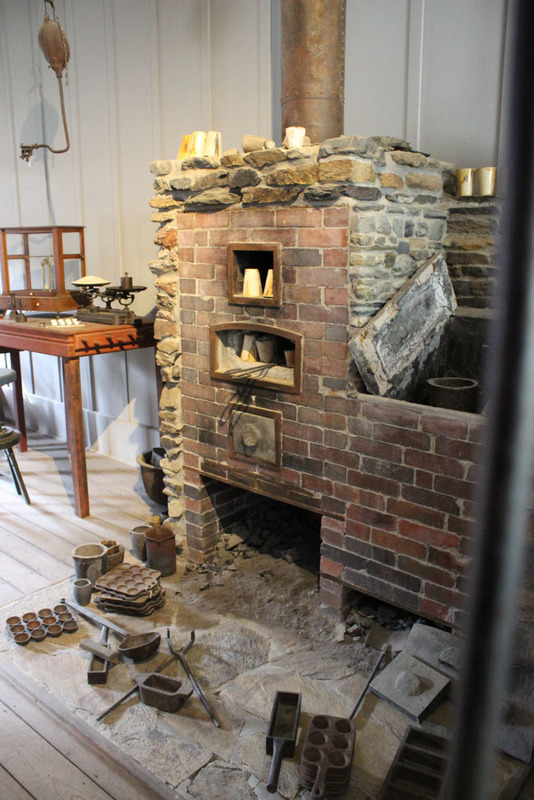 As with many early miners, Barker’s story began in the American gold fields in the mid-1800s where people from all over the world travelled to seek their fortune. 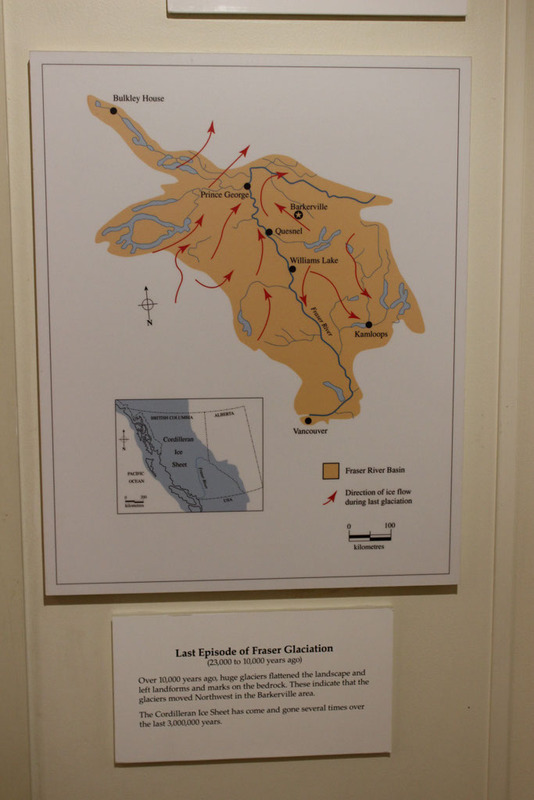 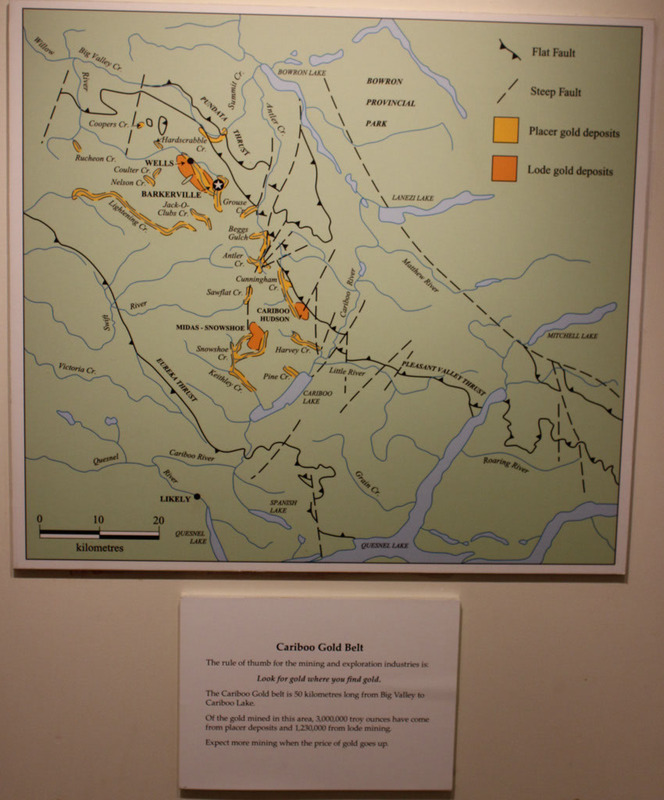 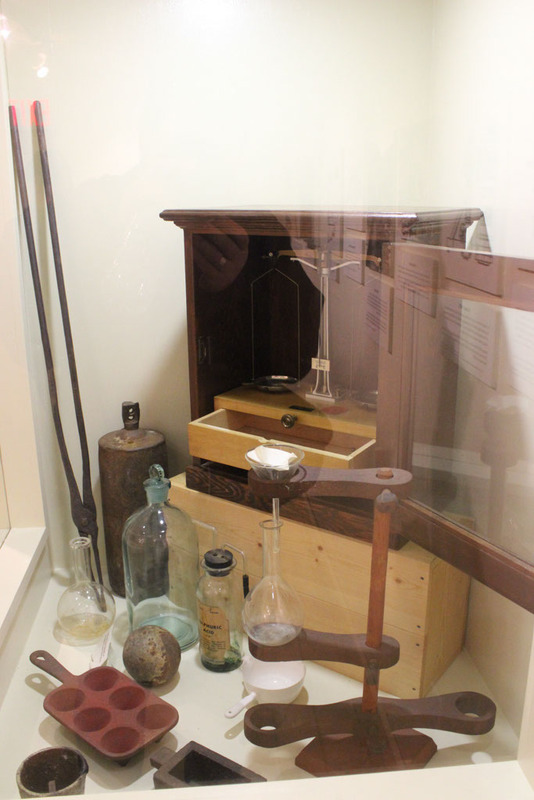 By the mid-1850s, gold finds were slowing and rumours began to surface of ‘easy gold’ on the Fraser River. 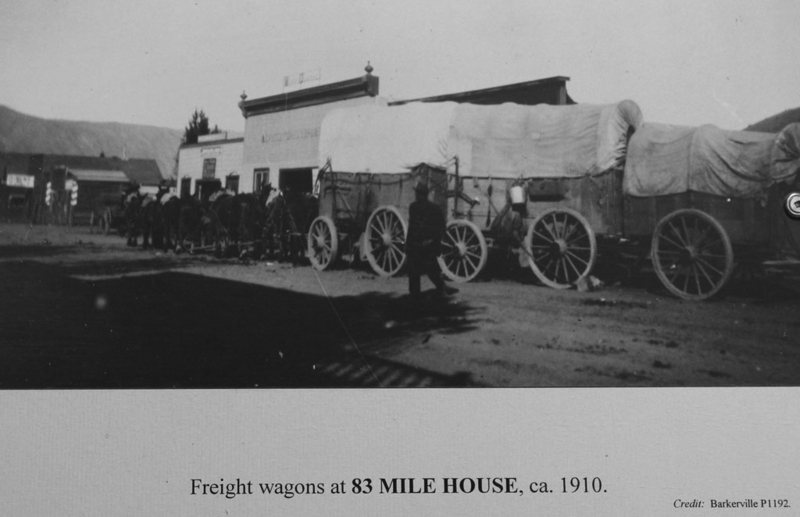 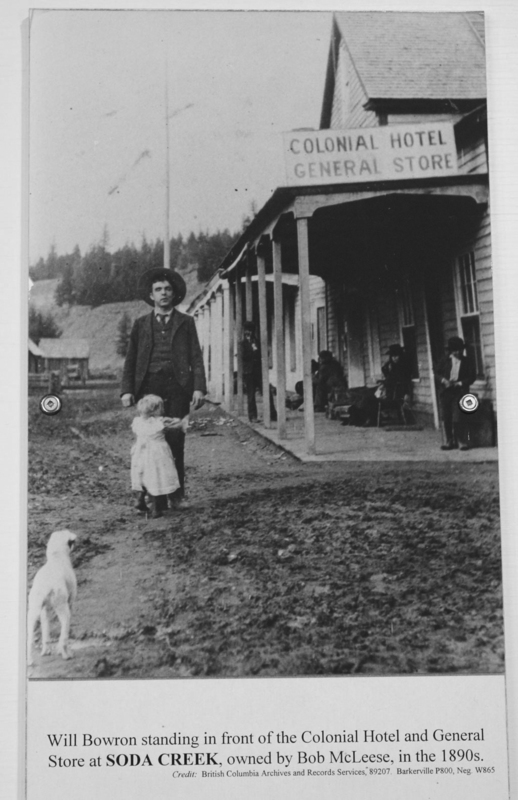 Barker had worked without much success in California and so he, along with thousands of men, headed north to the British territory that is now British Columbia. 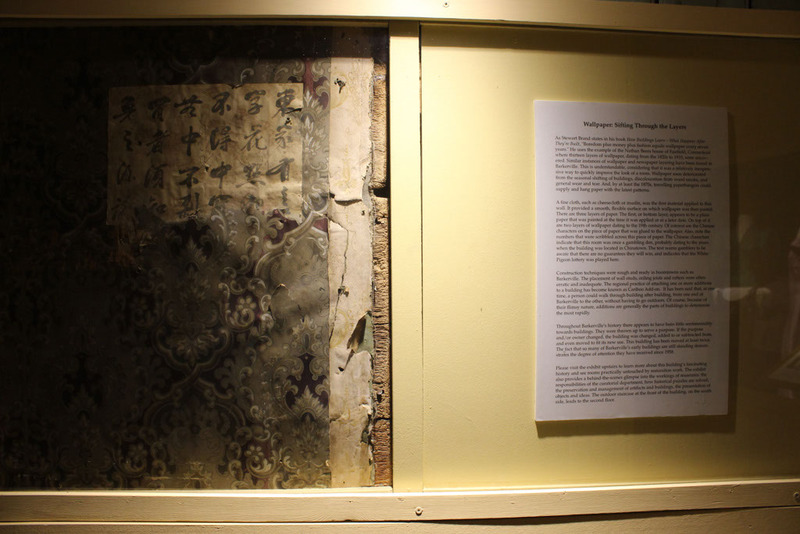 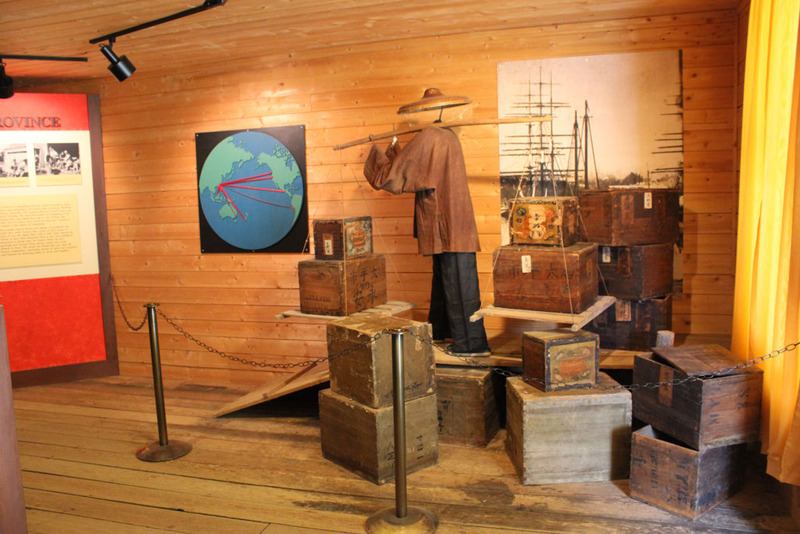 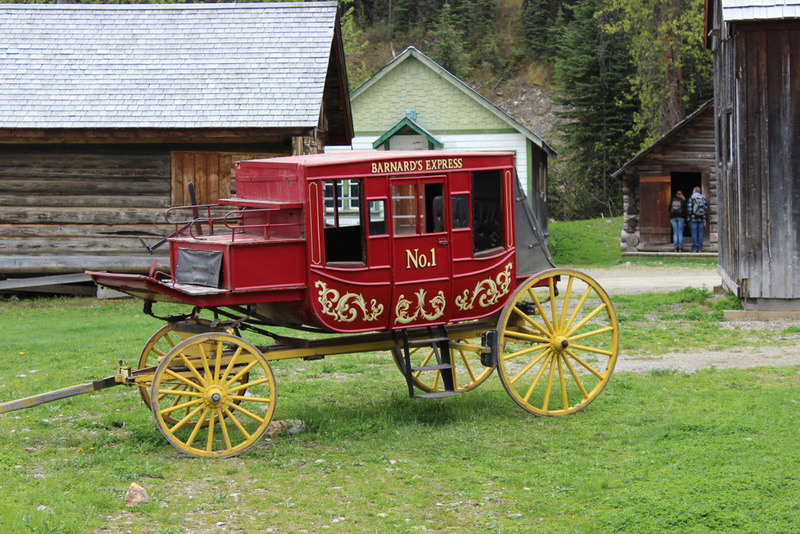 In addition to the north-bound travellers, groups later called “The Overlanders” trekked across Canada from the East, and hordes of people were arriving by boat from all over the world to travel up the Gold Trail from the coast towards to Fraser River to find fortune. 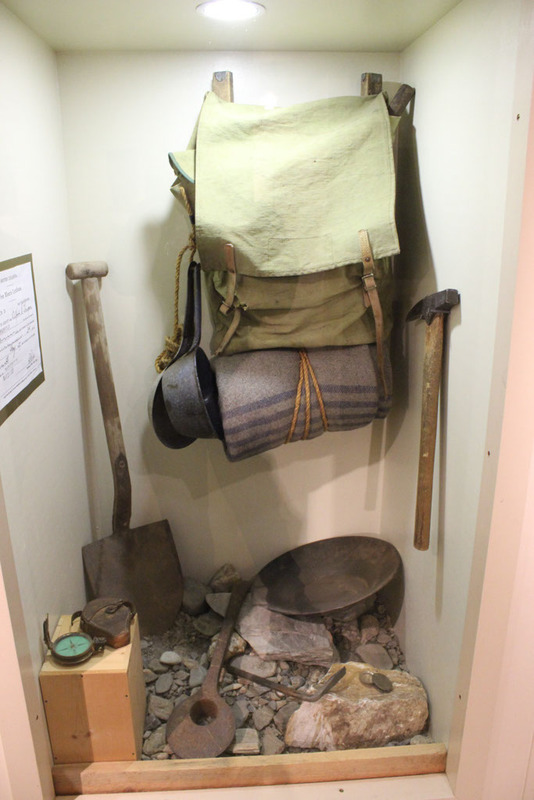 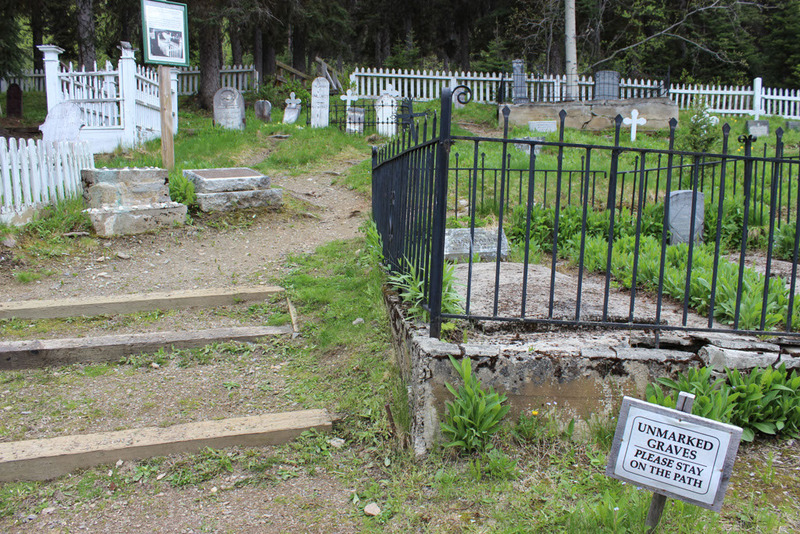 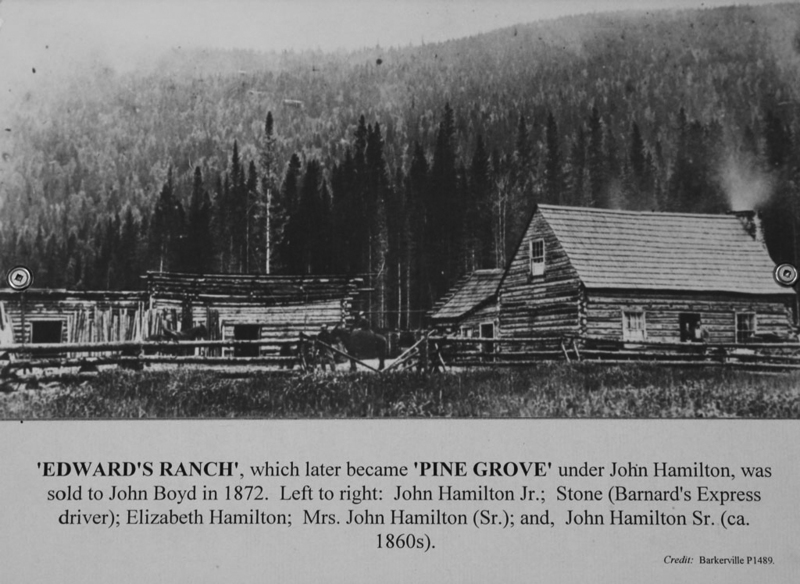 Eventually, prospectors made their way to the hills that surround Barkerville and one of the first finds was by William “Dutch Bill” Dietz, for whom William’s Creek (which flows through Barkerville) is named. 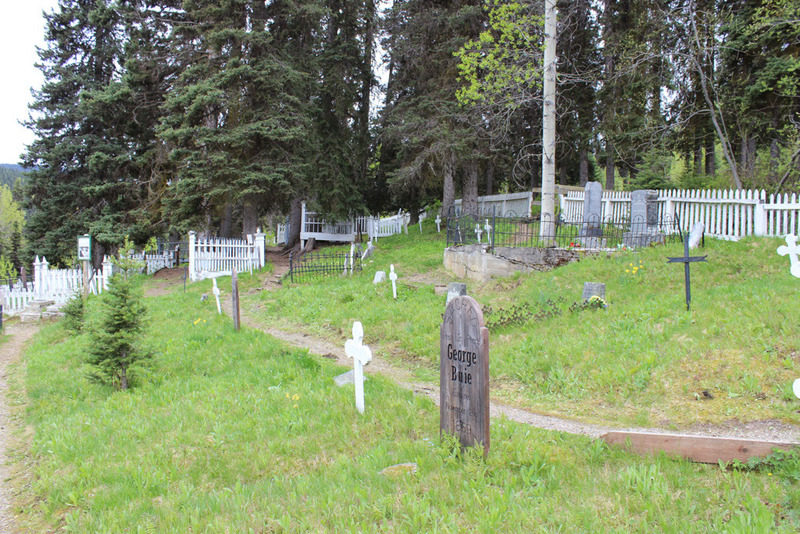 A small town began to spring up around the area, optimistically named Richfield. 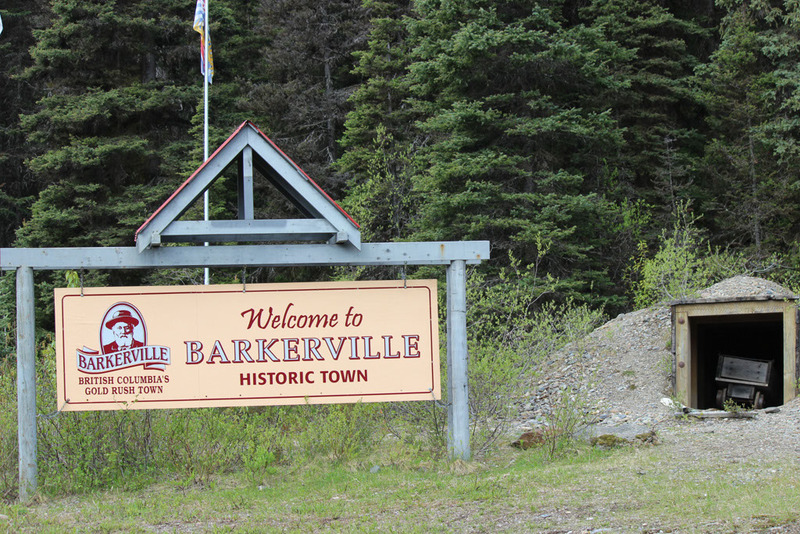 Barker eventually ended up in Richfield, trying his hand at a few spots around William’s Creek where his lack of success continued. 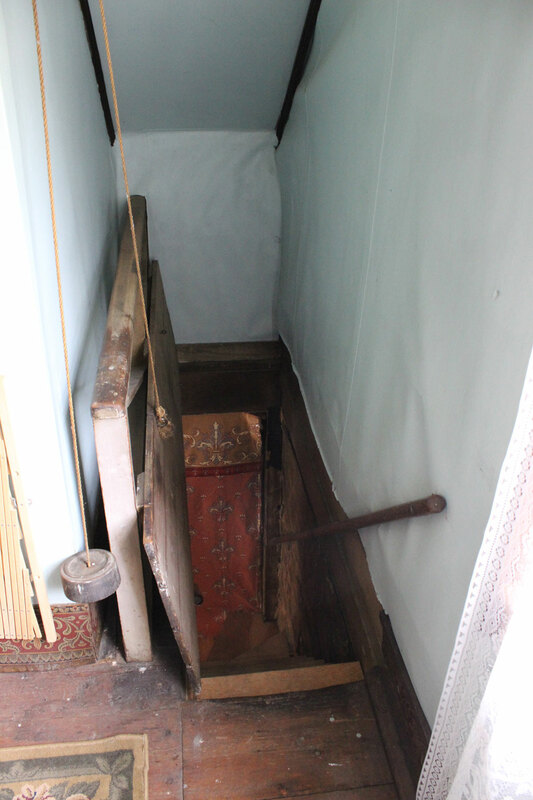 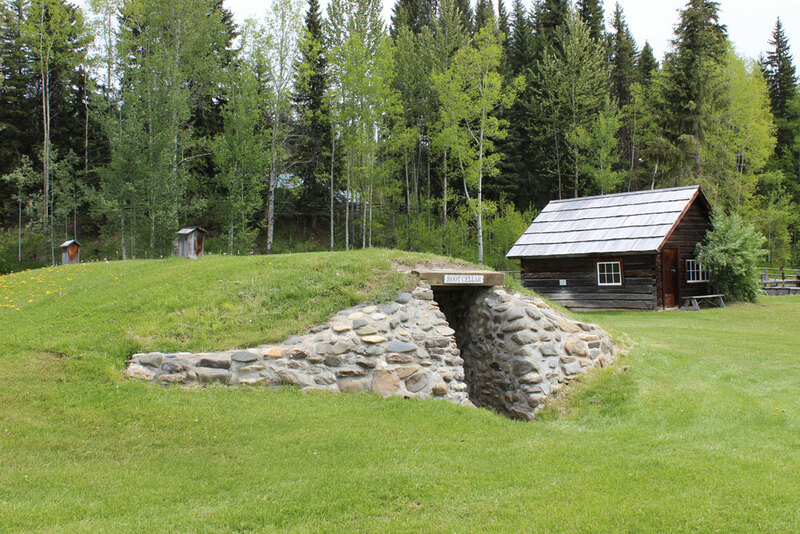 As time passed, he decided to mine further down the creek, in the area below Richfield. 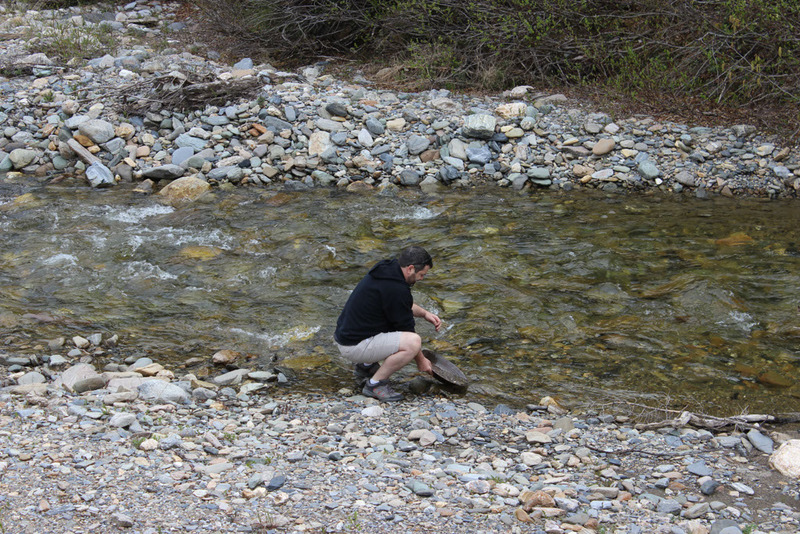 Many people questioned his decision, saying he would find no gold there. 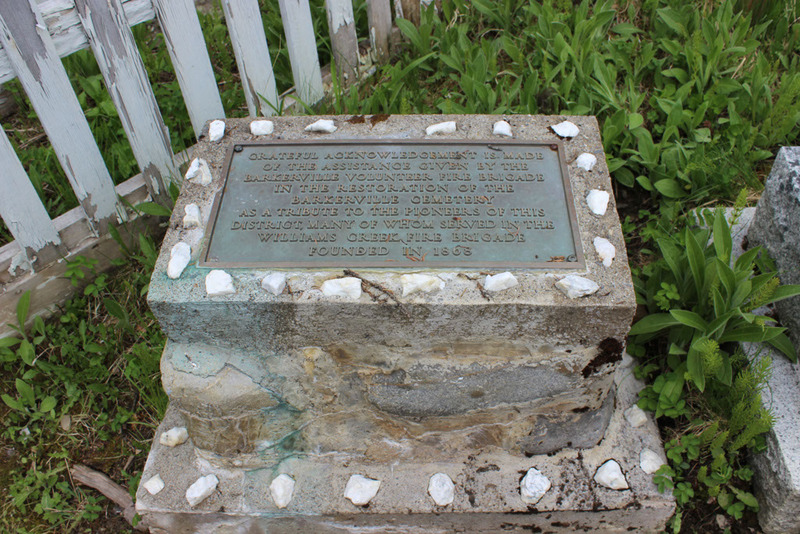 But Barker persisted and endured, and was finally proven right on August 17, 1862, when he and his crew ‘struck the lead,’ at a depth of 52 feet. 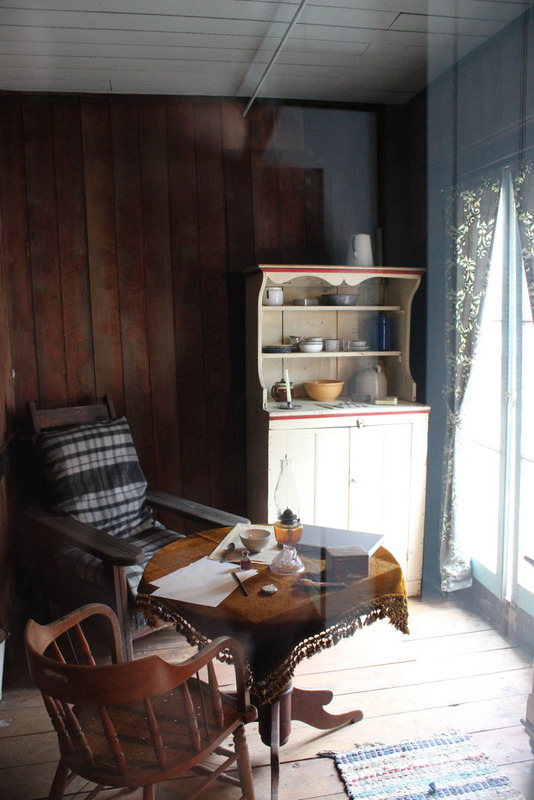 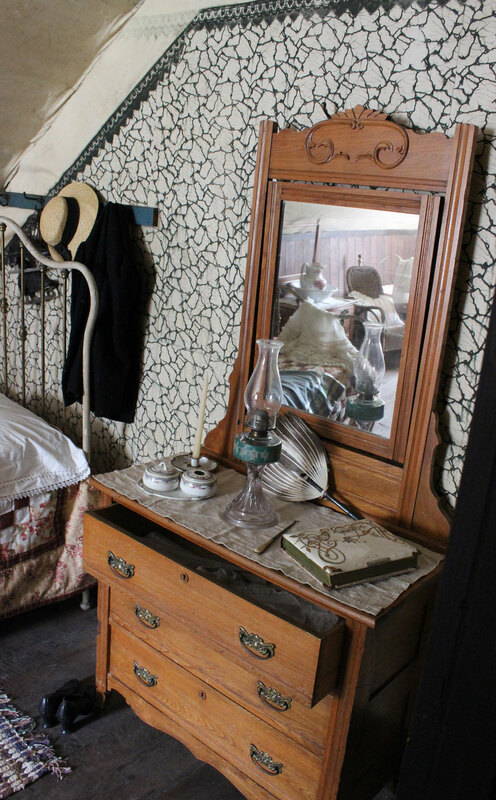 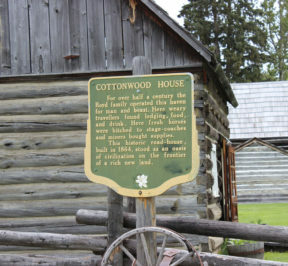 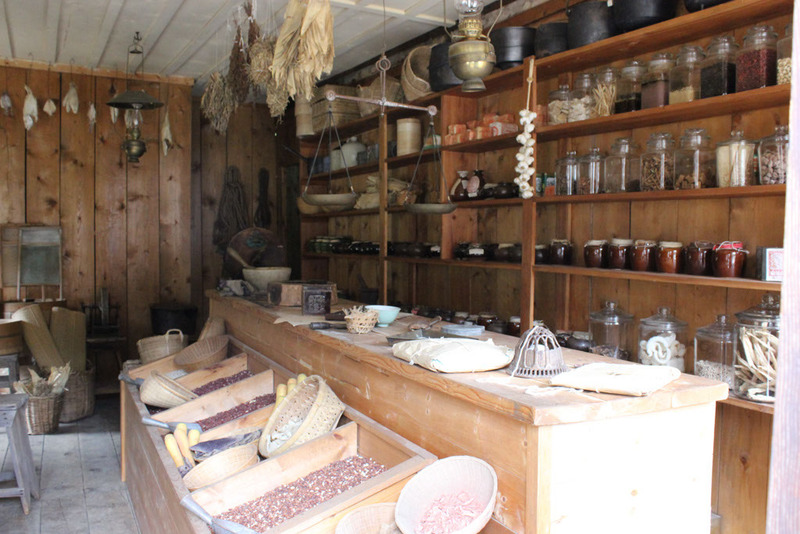 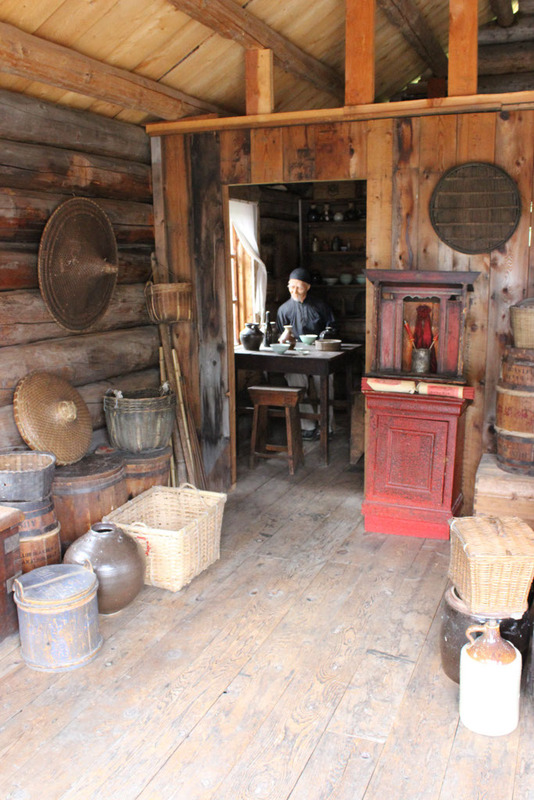 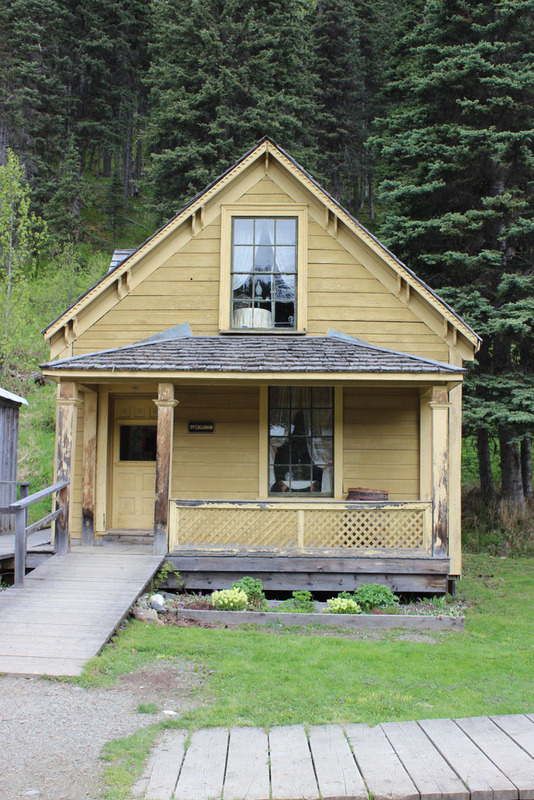 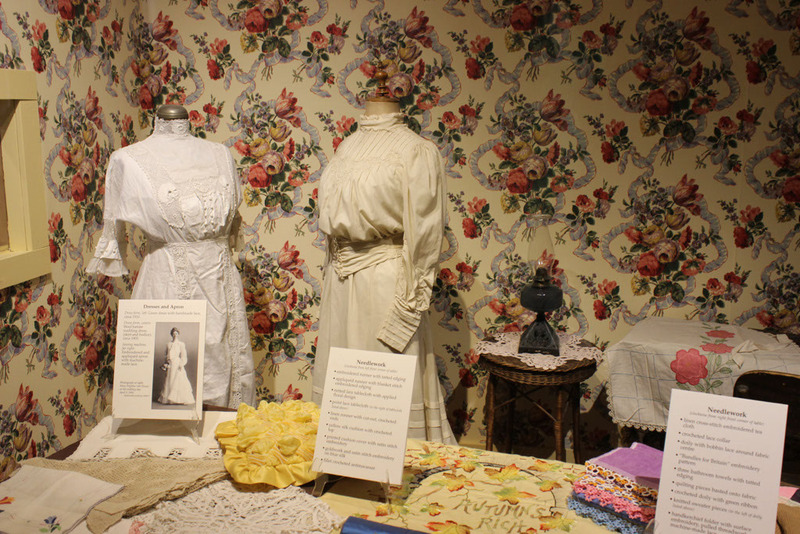 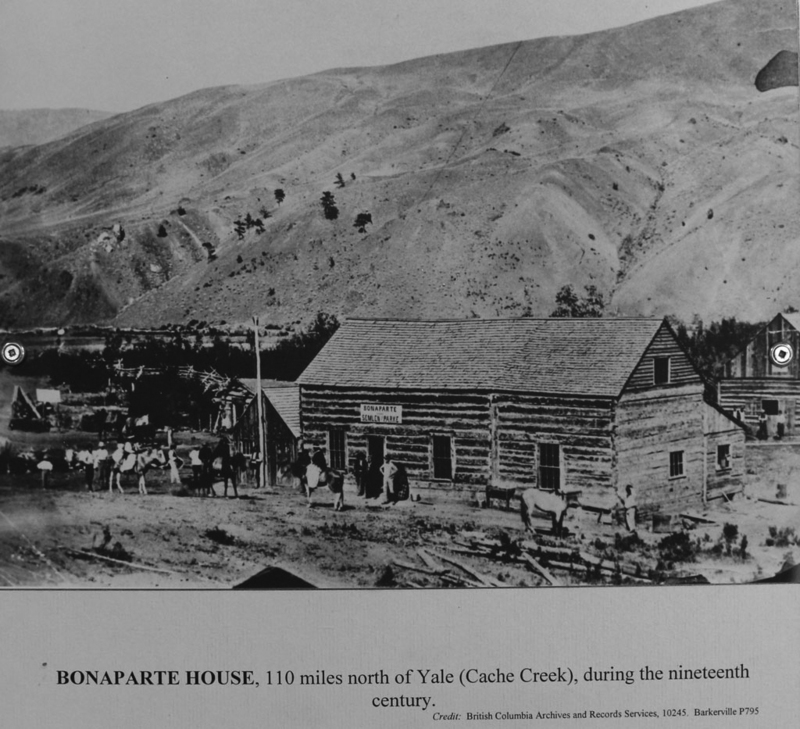 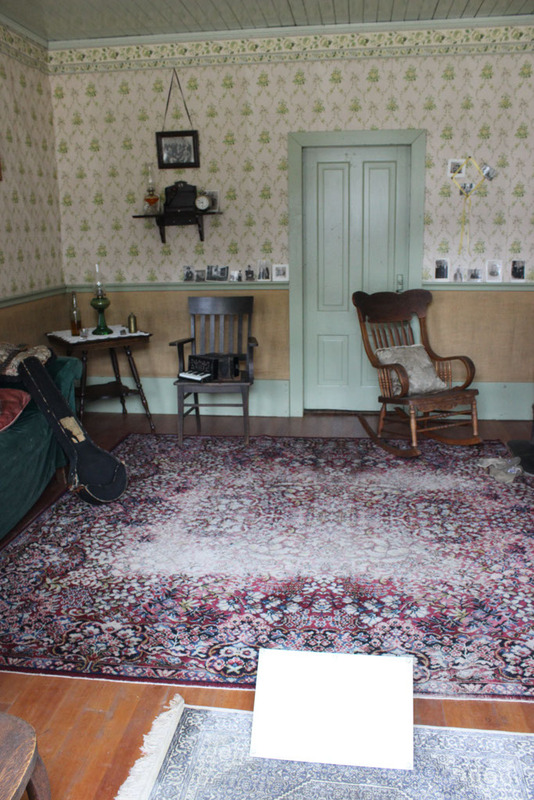 Cottonwood House Historic Site is located on the Gold Rush Trail to Barkerville. 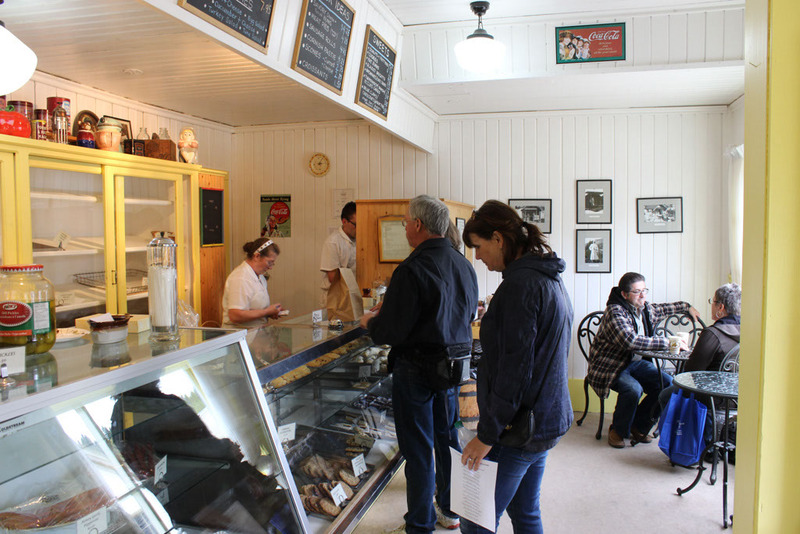 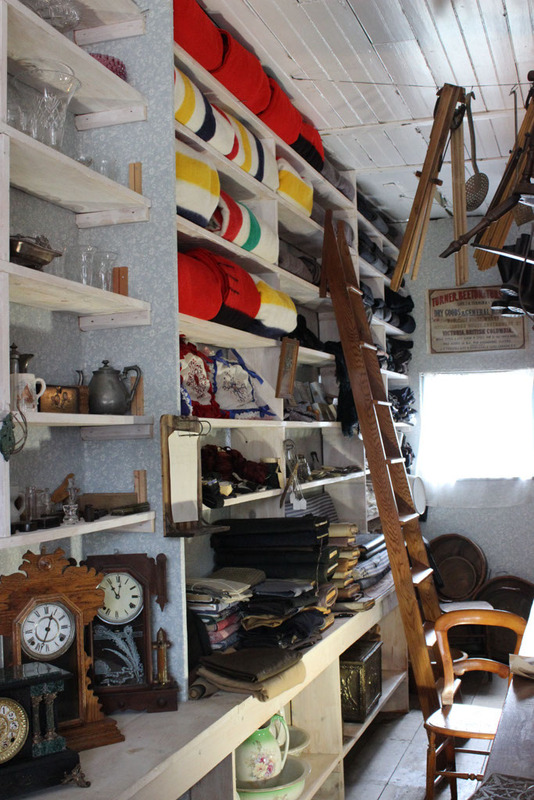 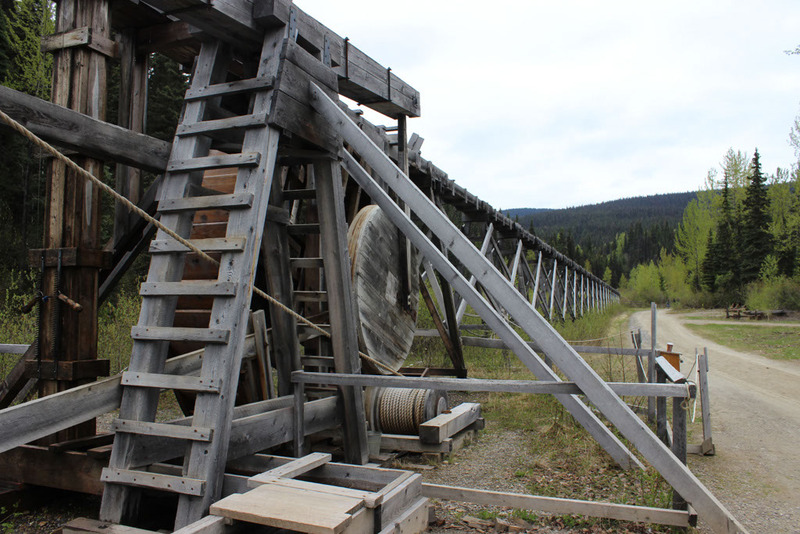 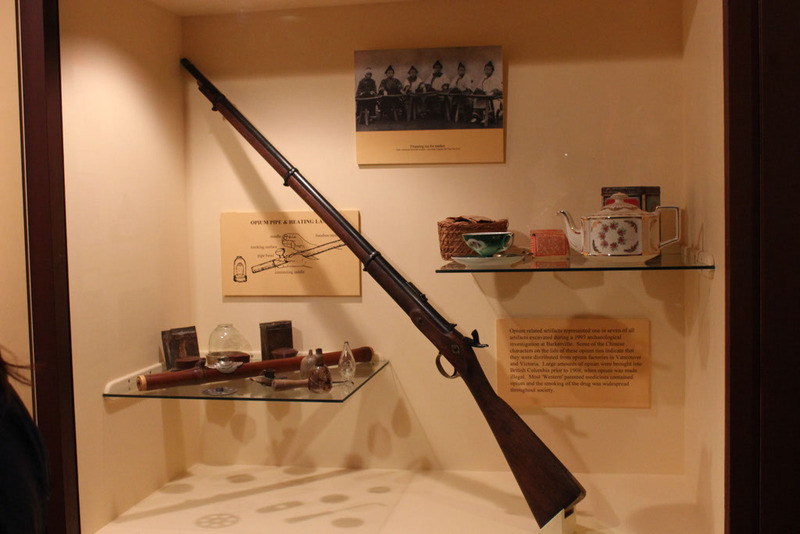 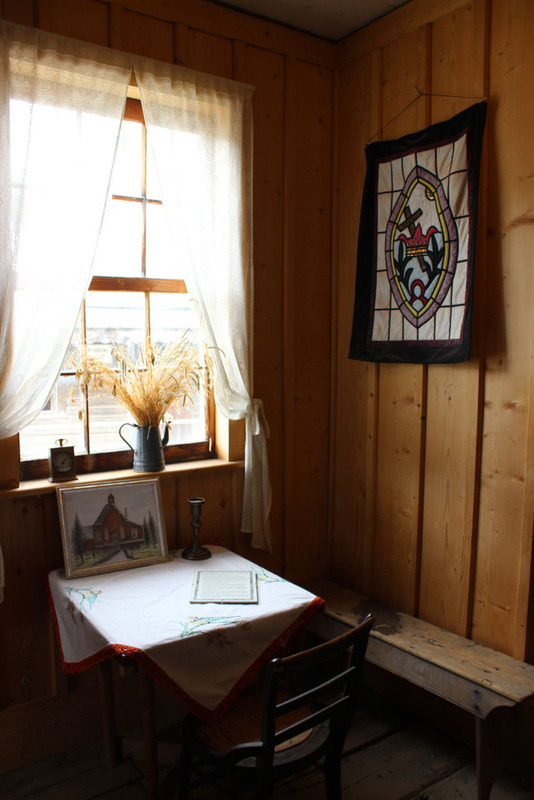 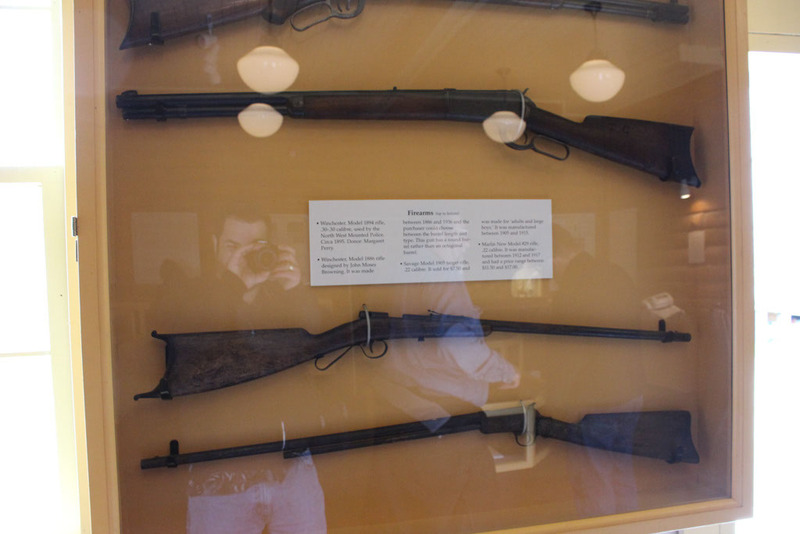 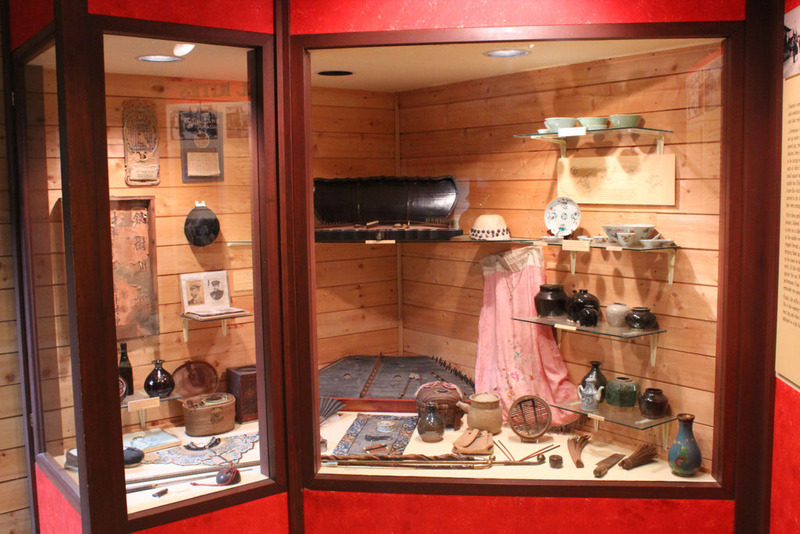 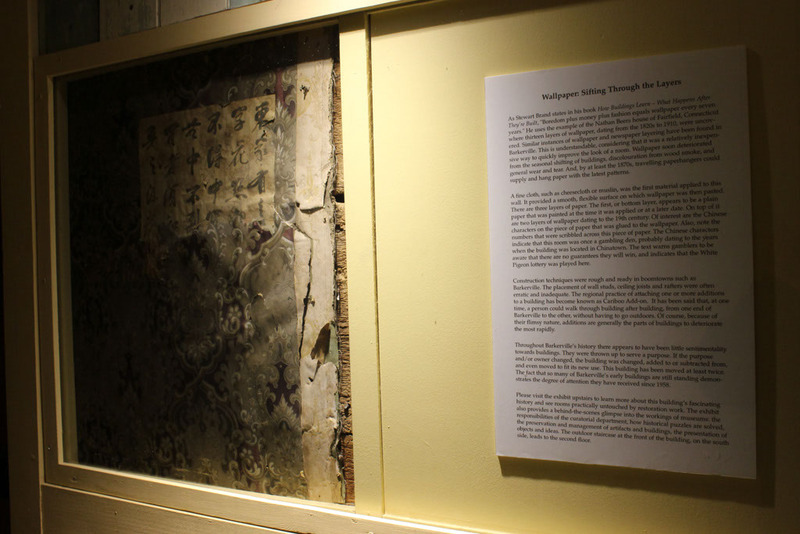 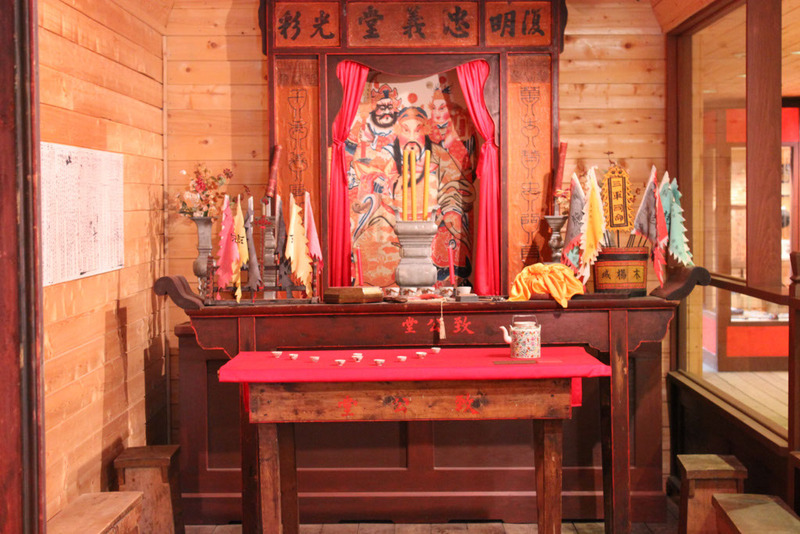 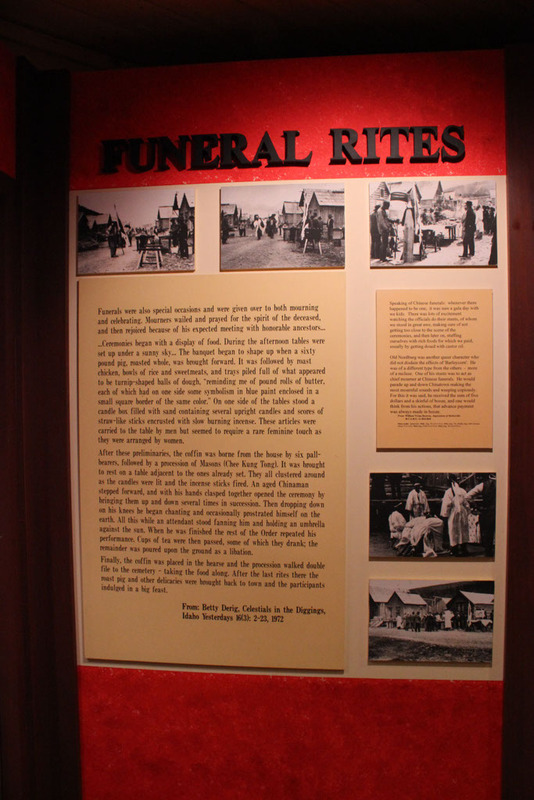 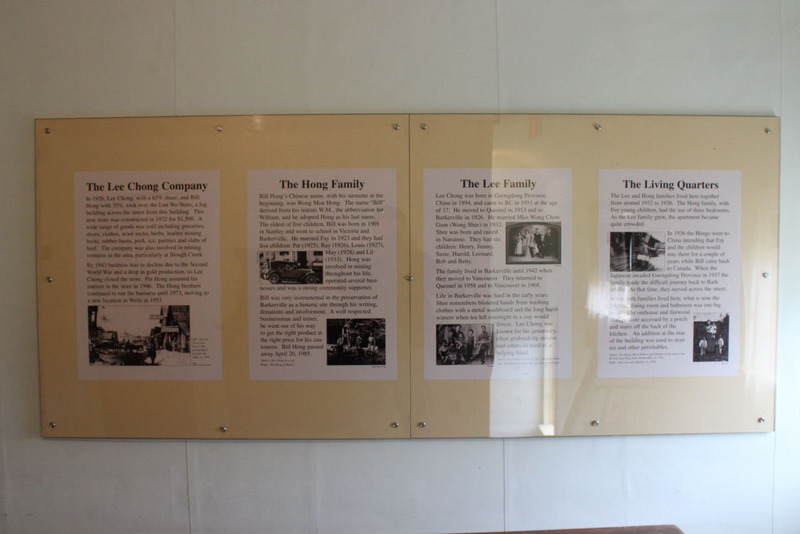 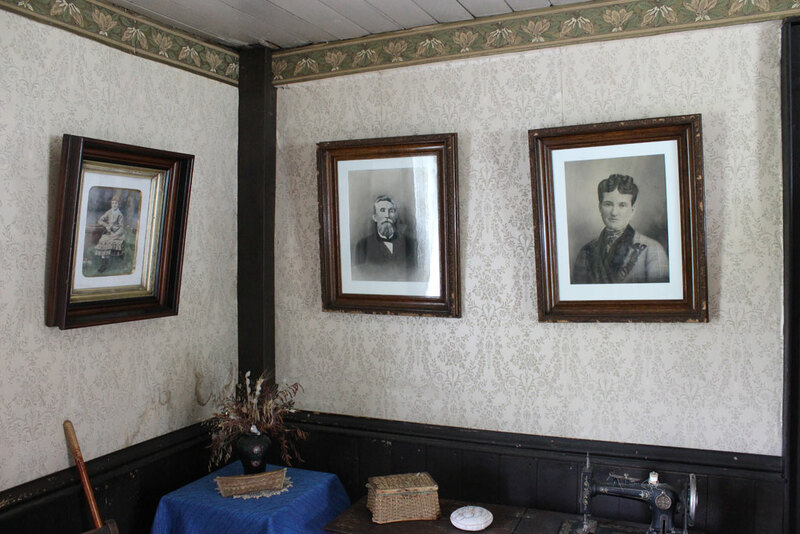 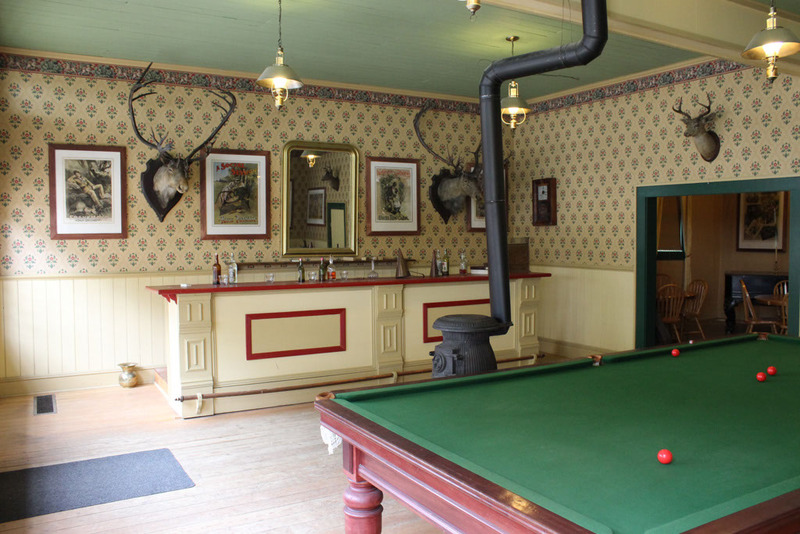 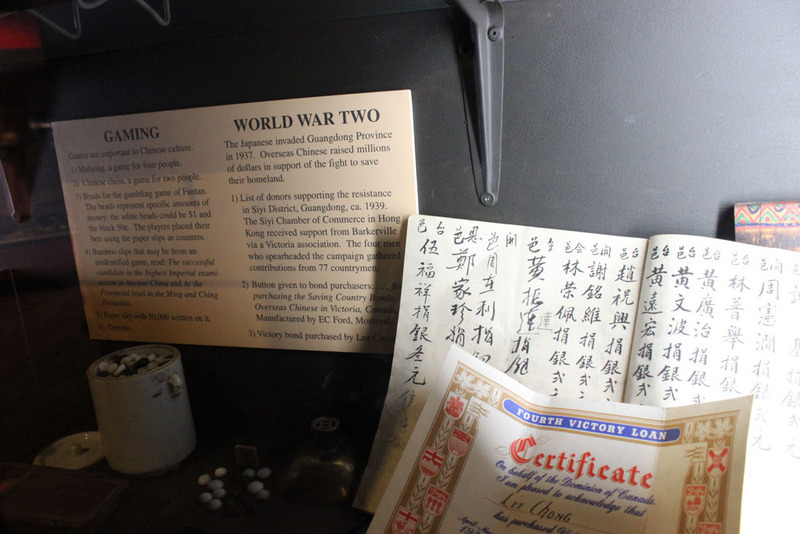 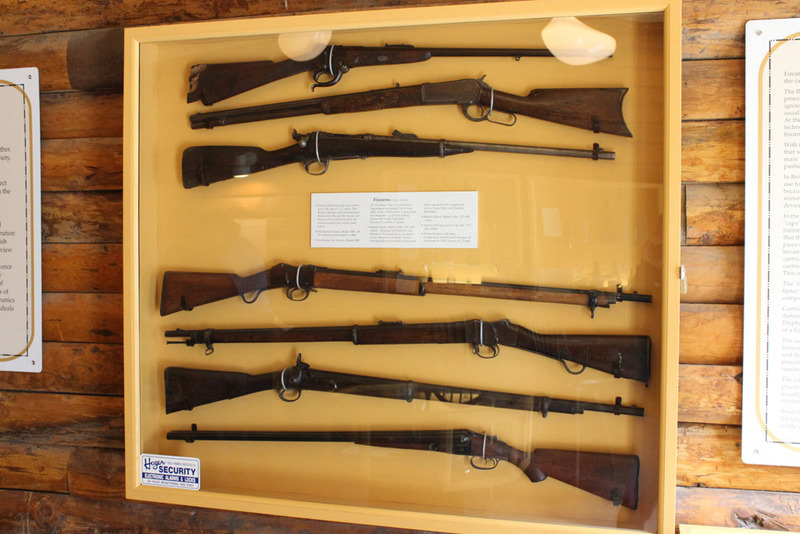 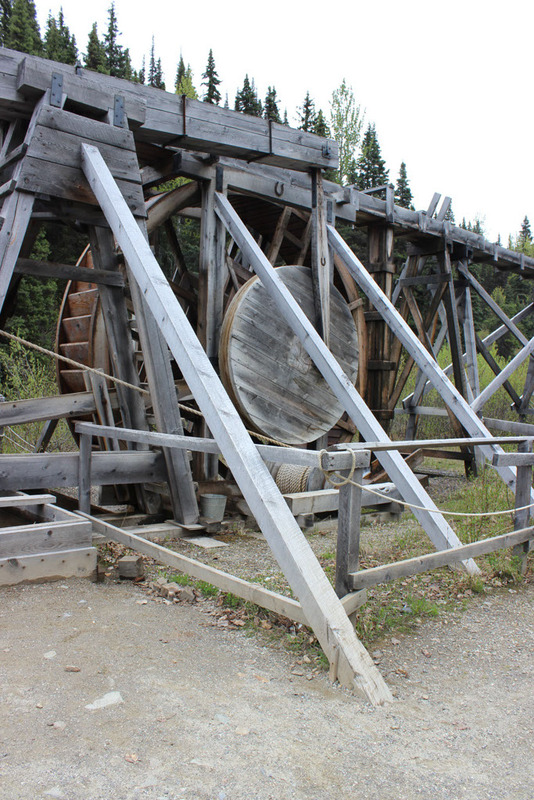 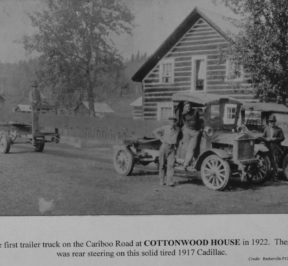 It currently still operates and offers heritage interpretation, accommodation and food to those wanting to explore and experience the Cariboo and its rich history. 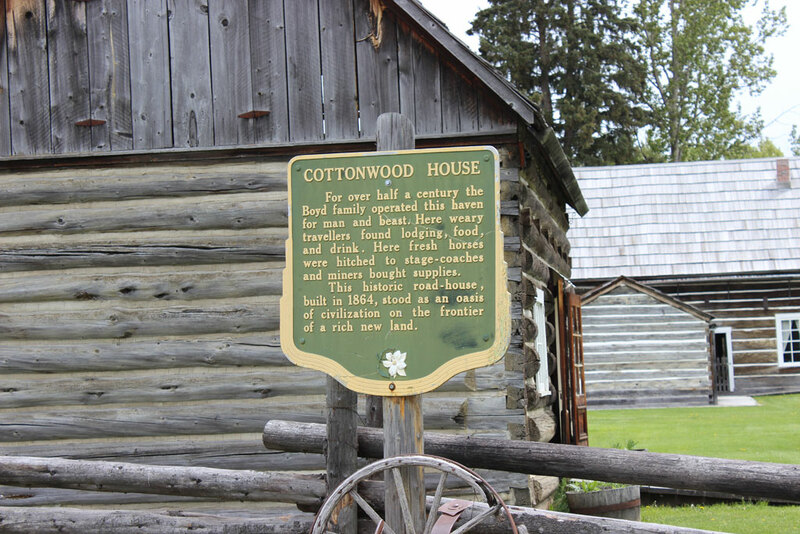 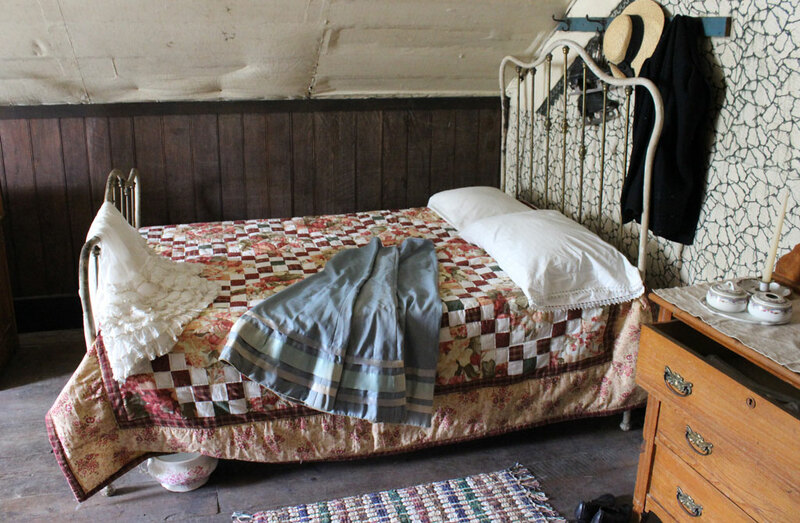 Cottonwood House is one of the last remaining roadhouses in British Columbia. 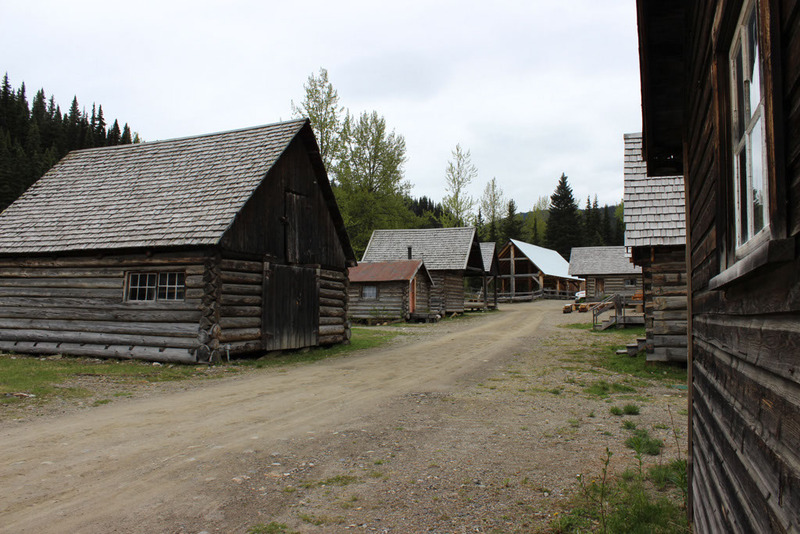 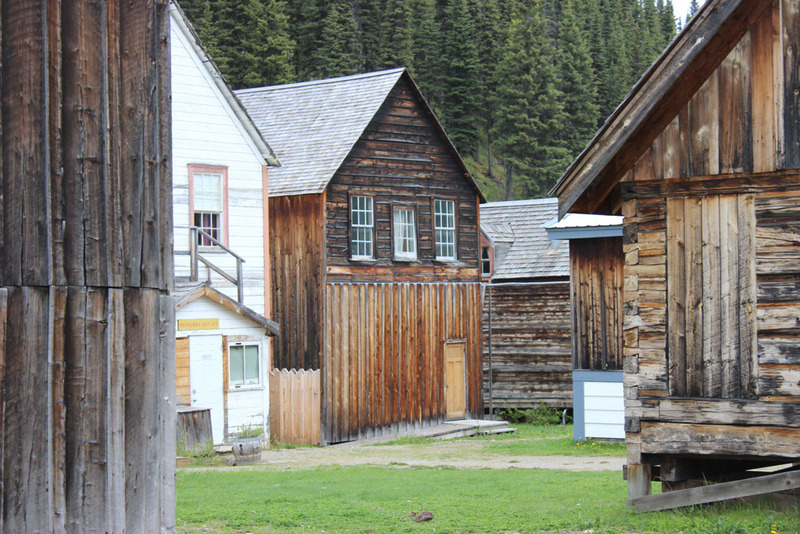 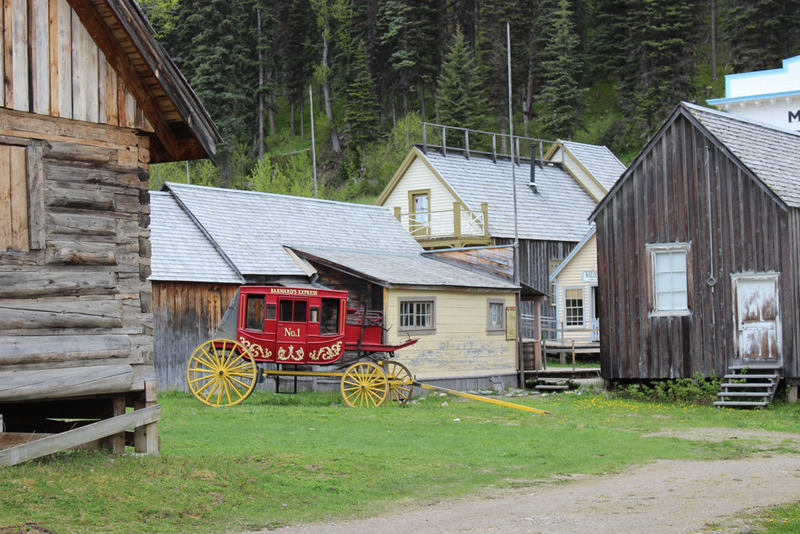 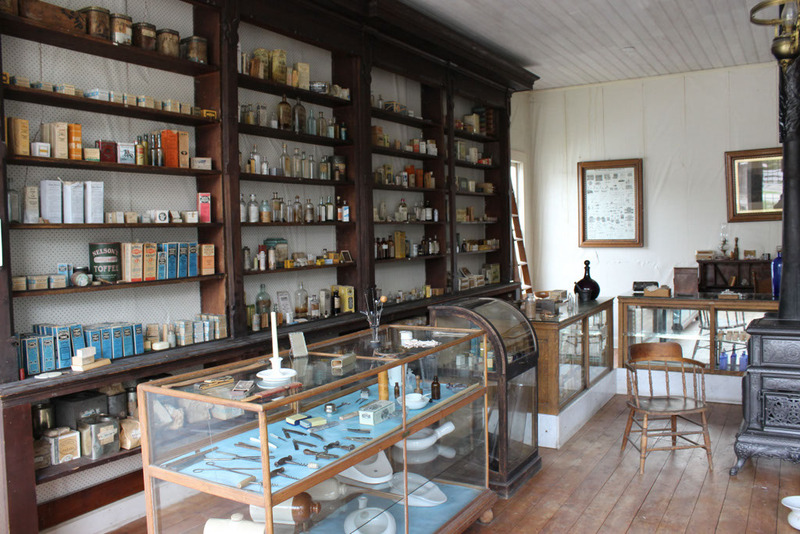 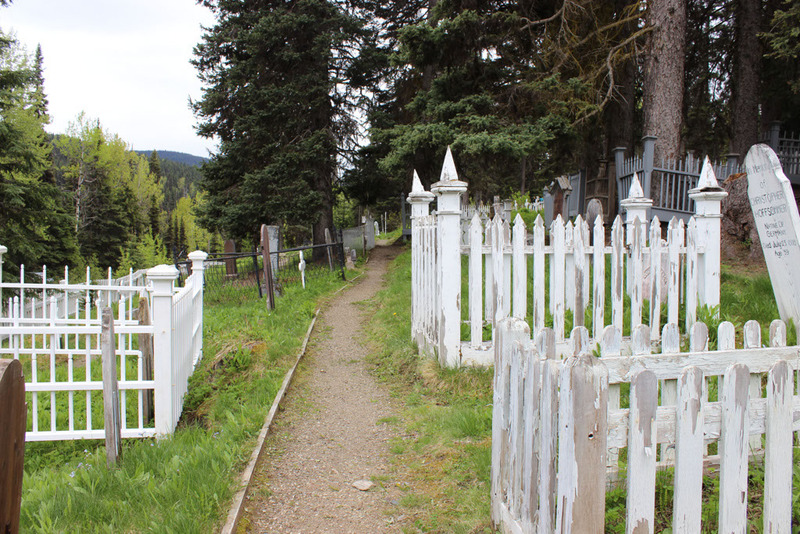 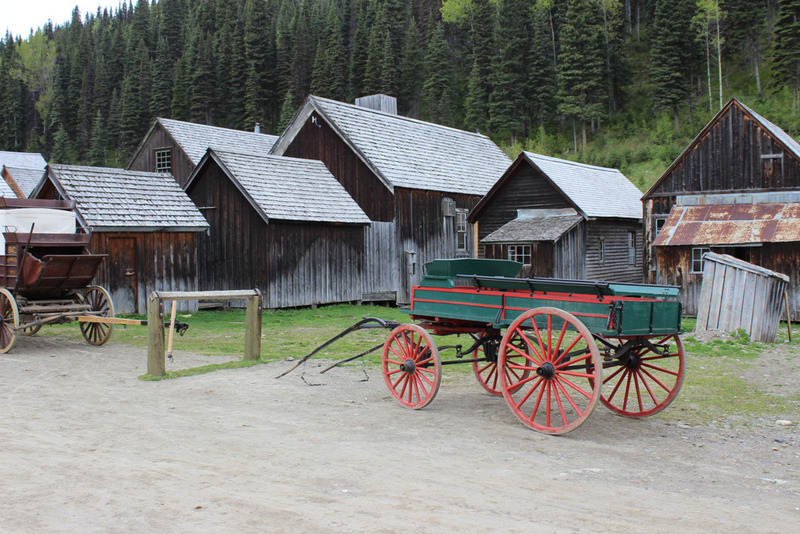 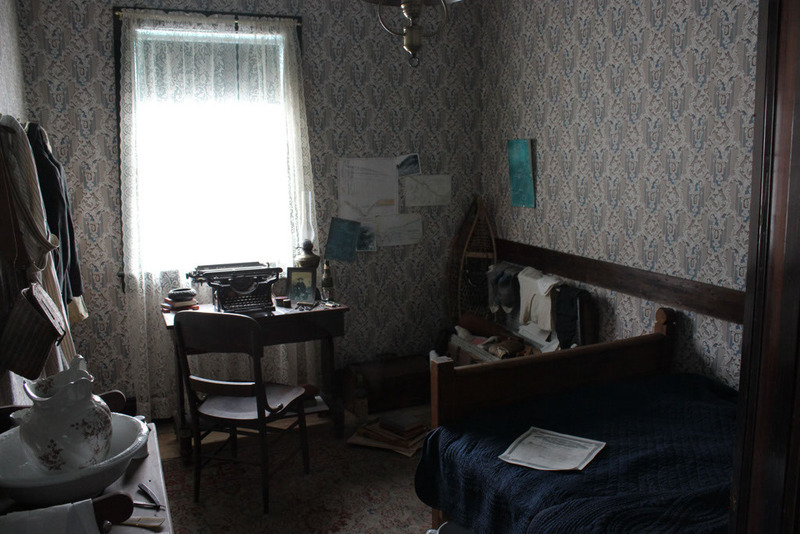 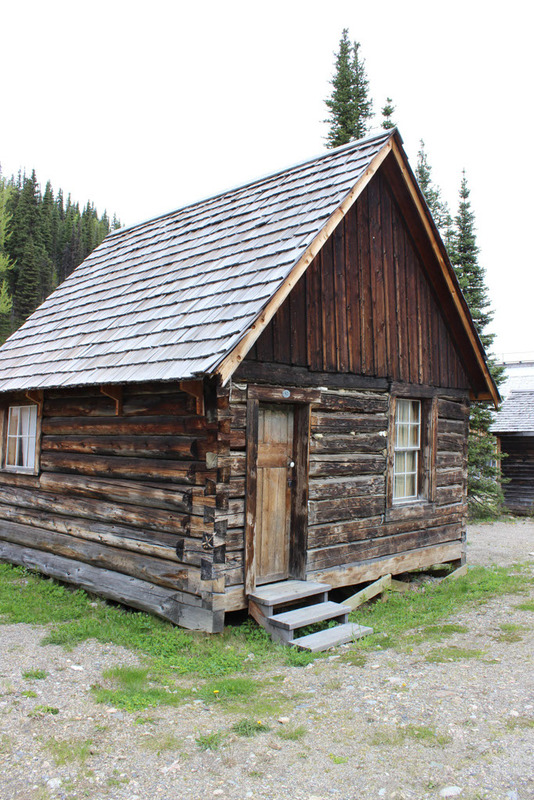 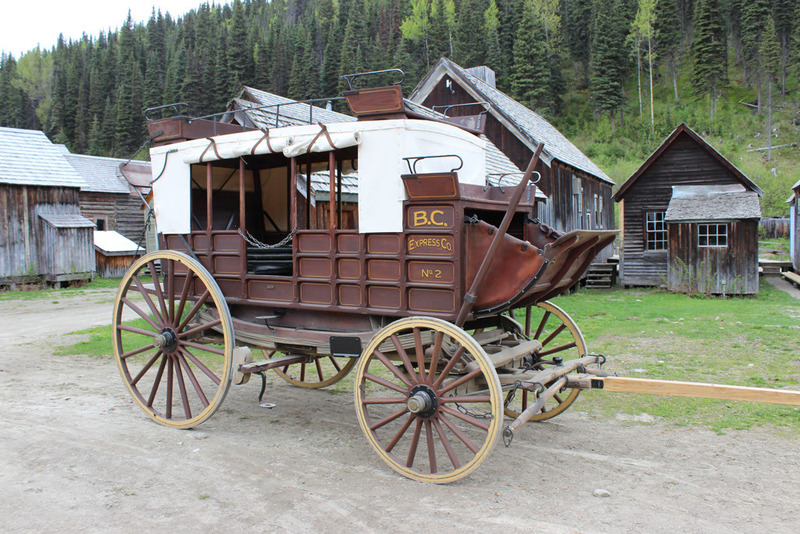 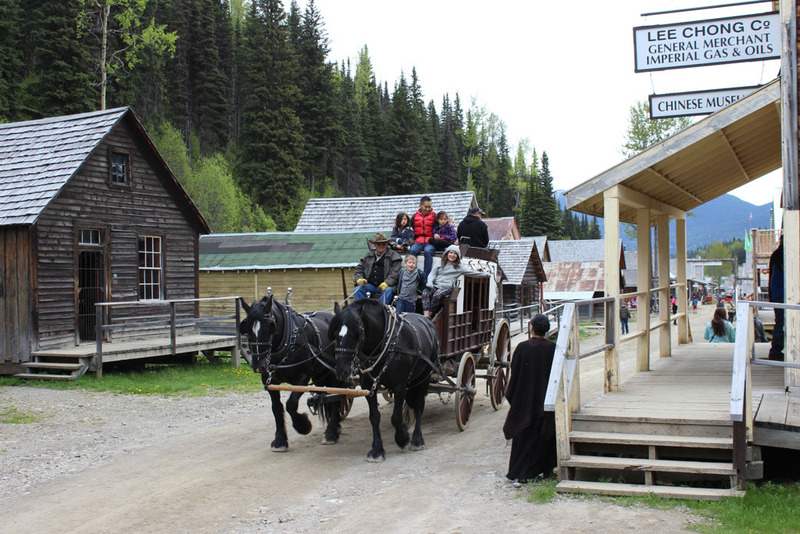 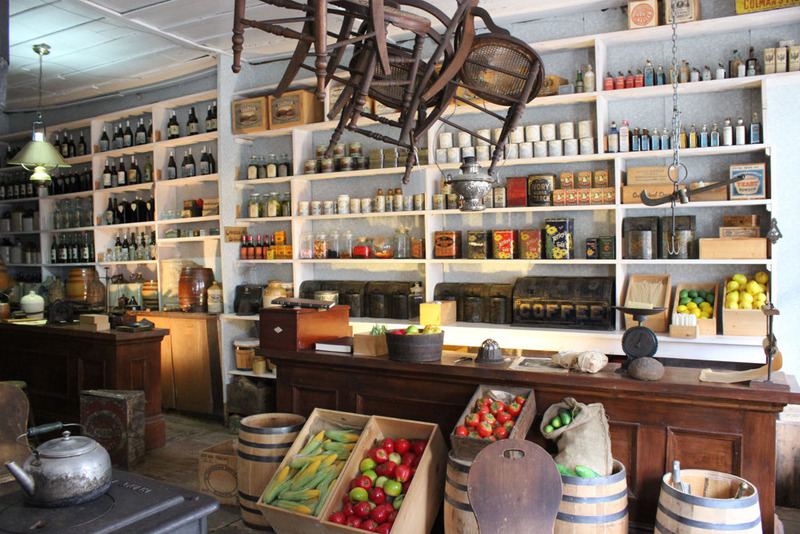 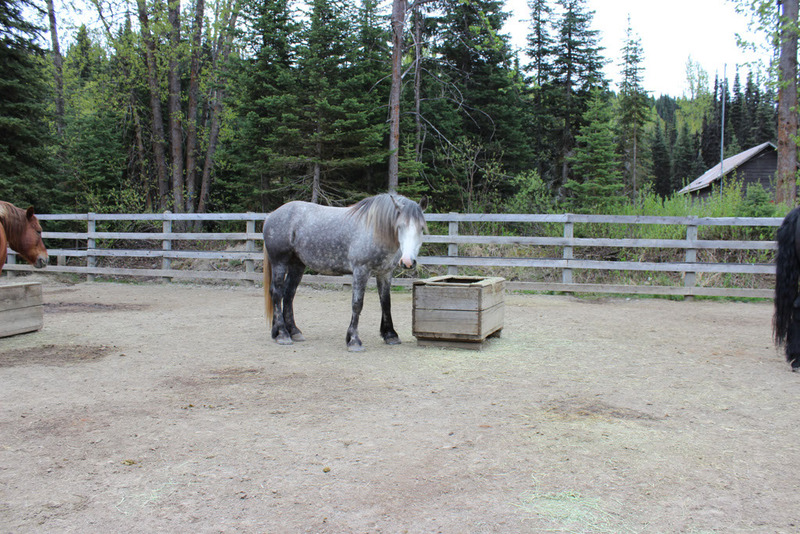 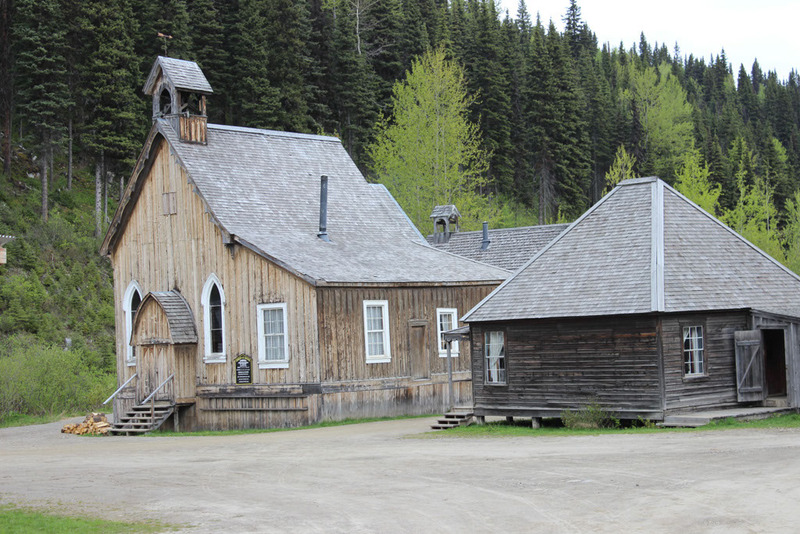 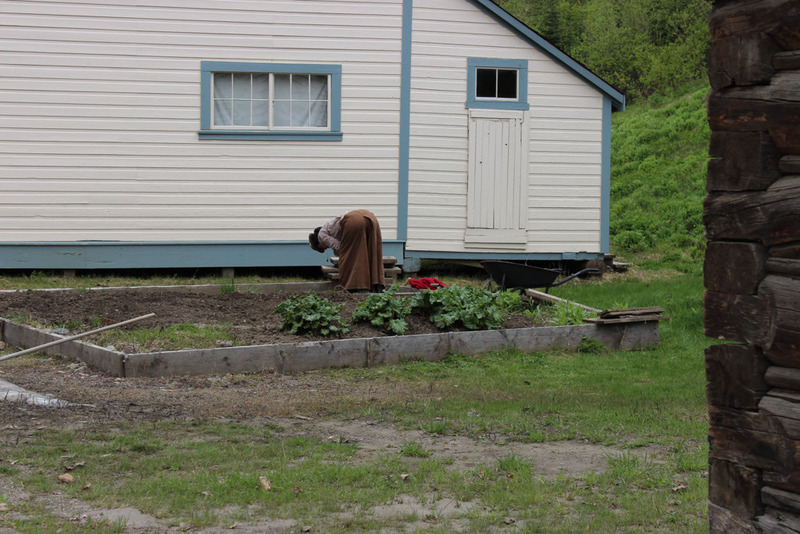 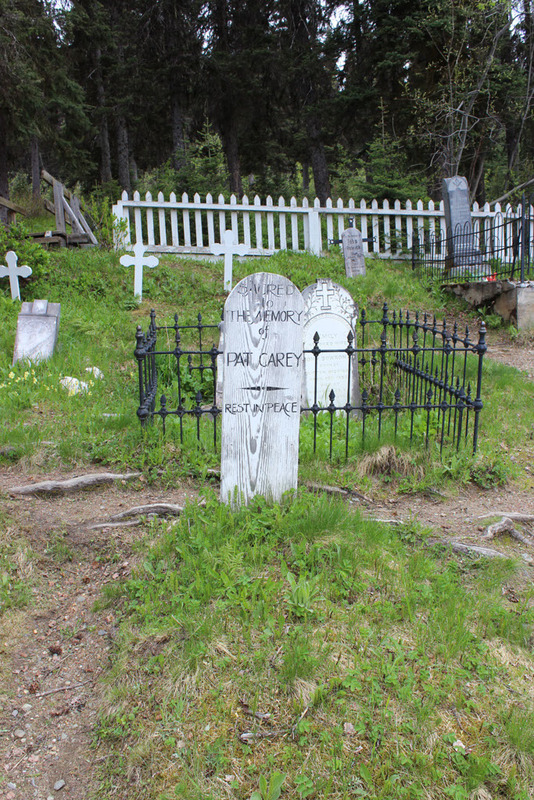 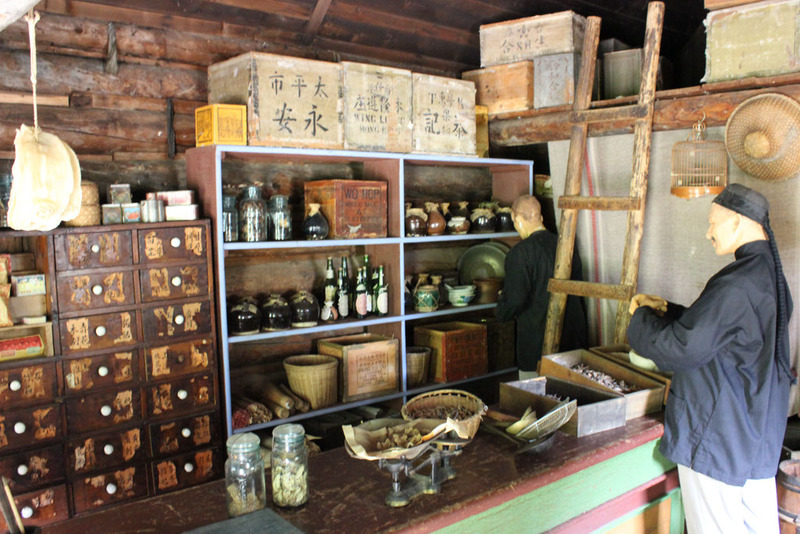 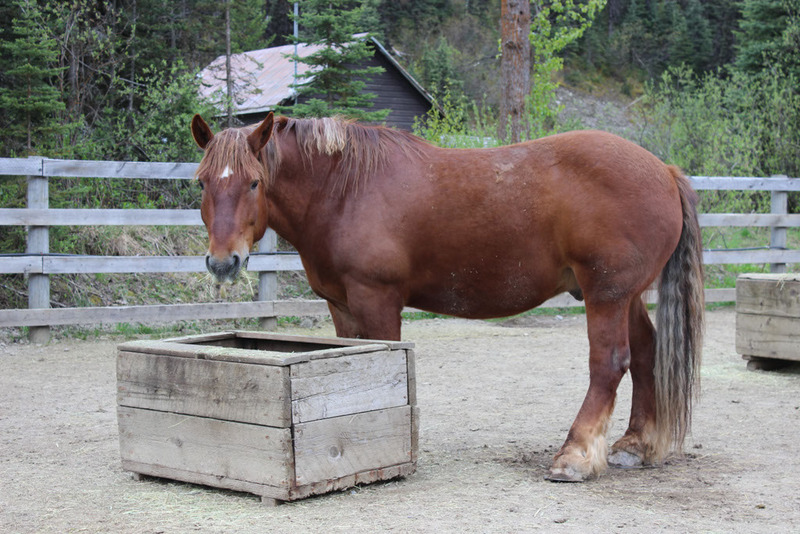 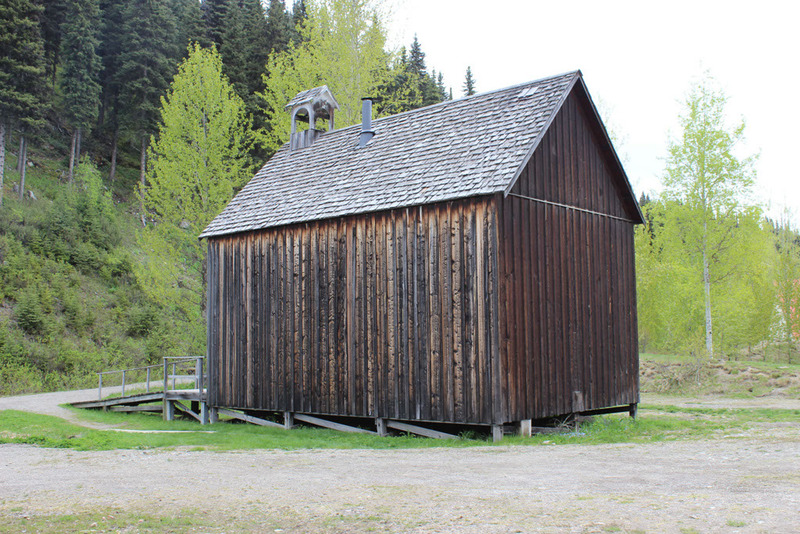 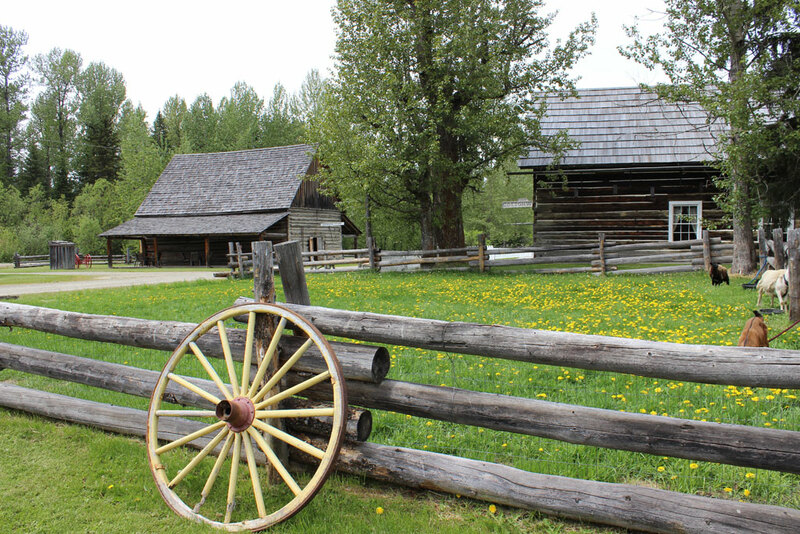 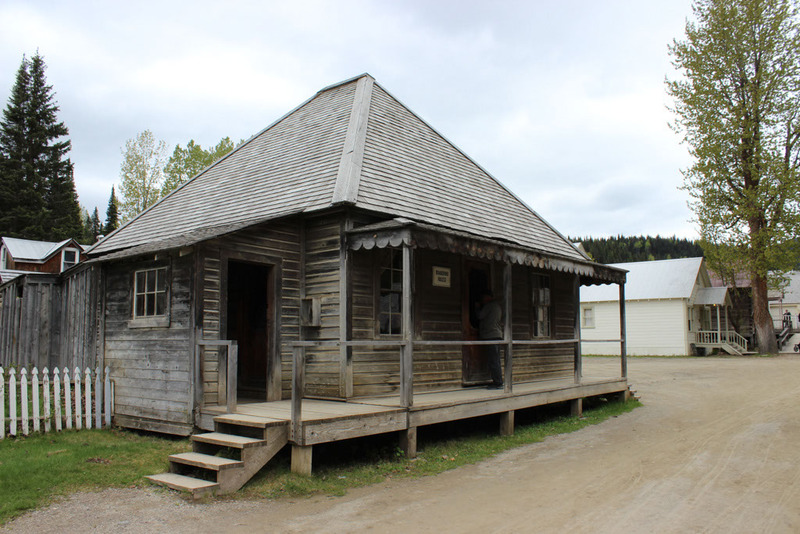 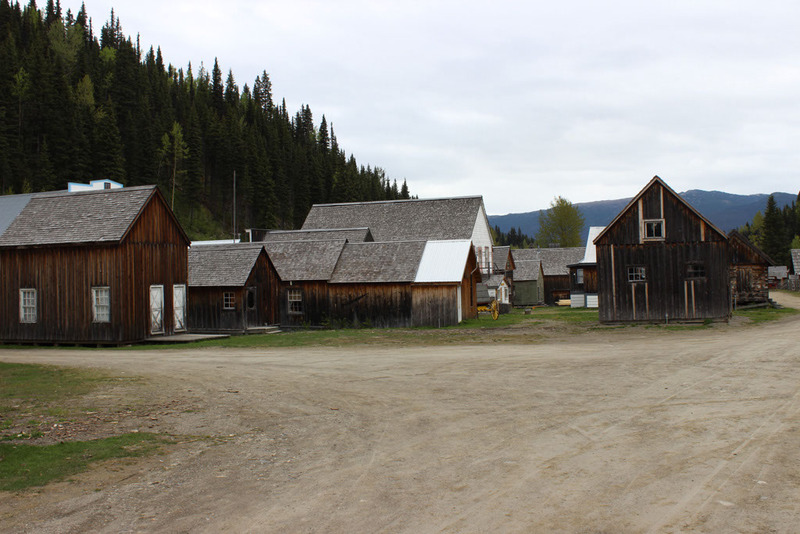 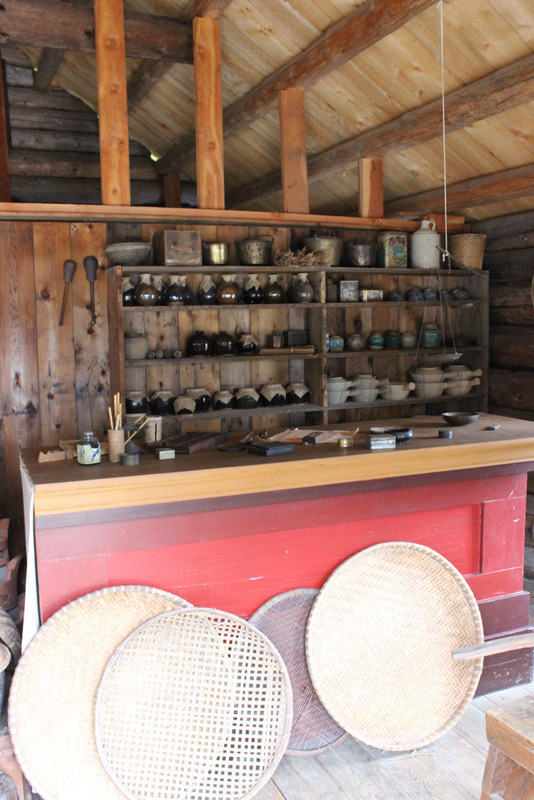 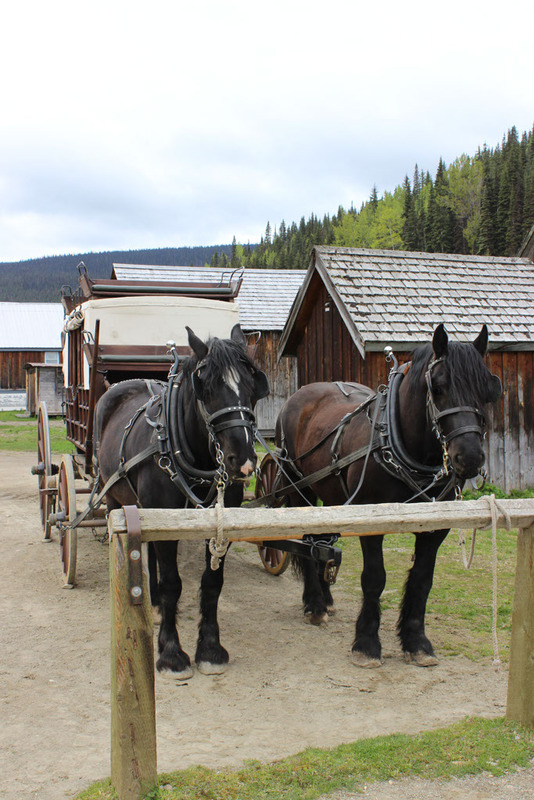 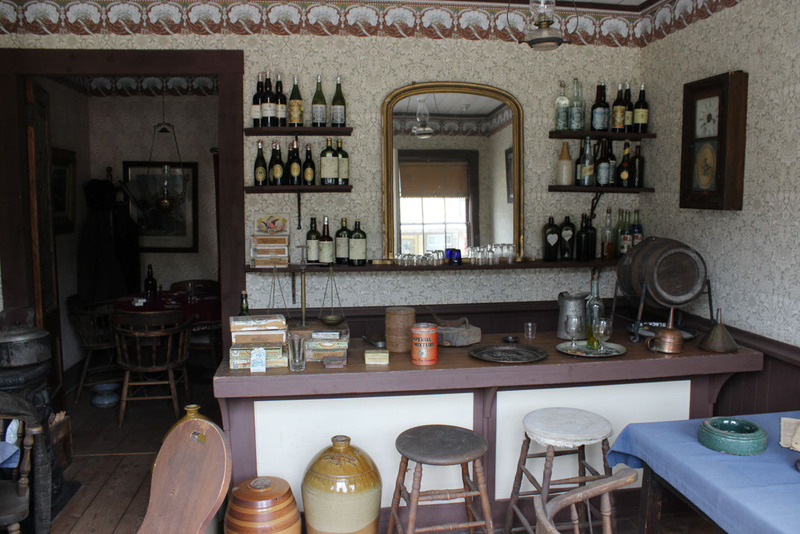 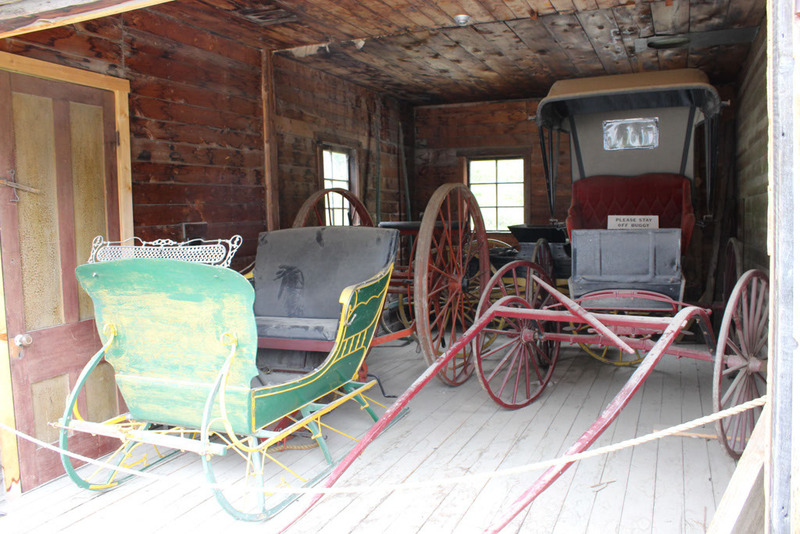 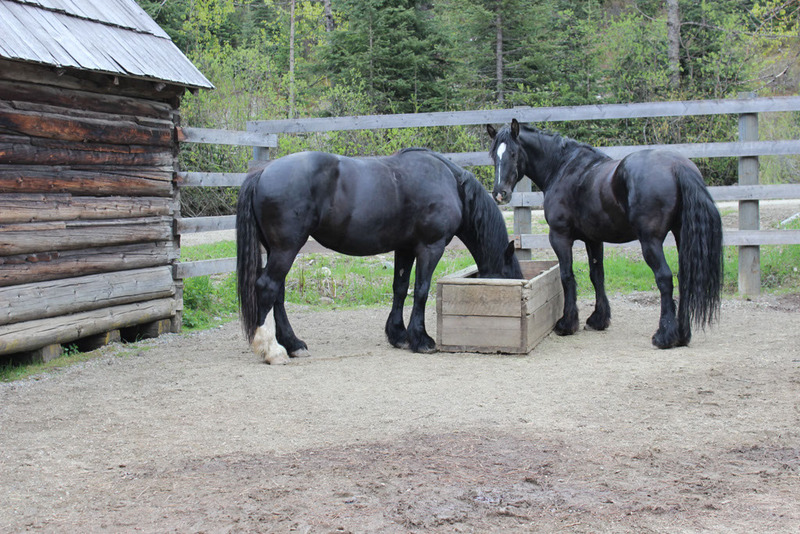 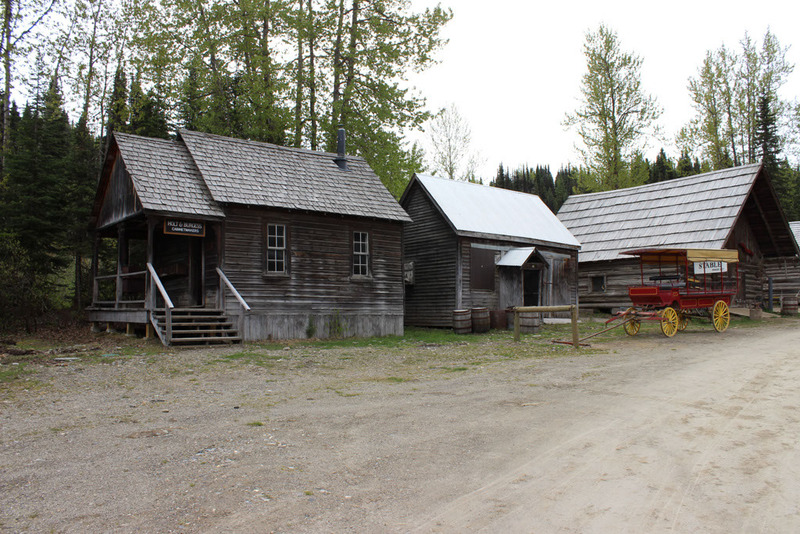 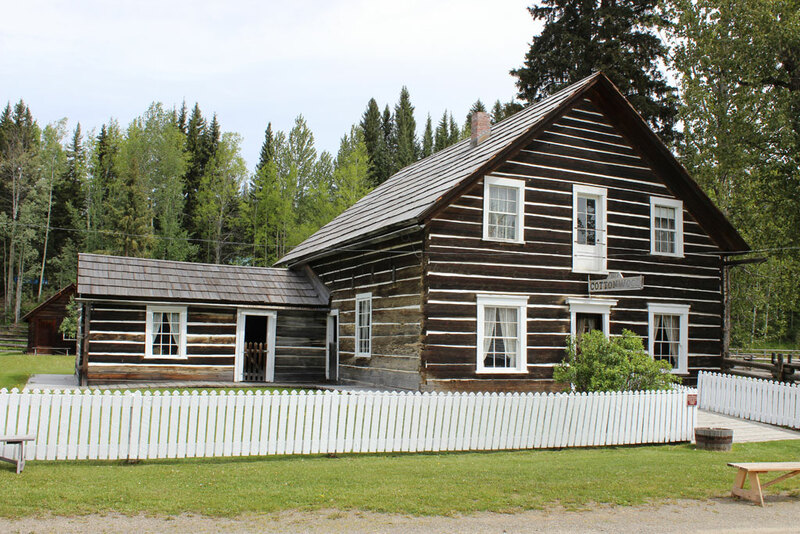 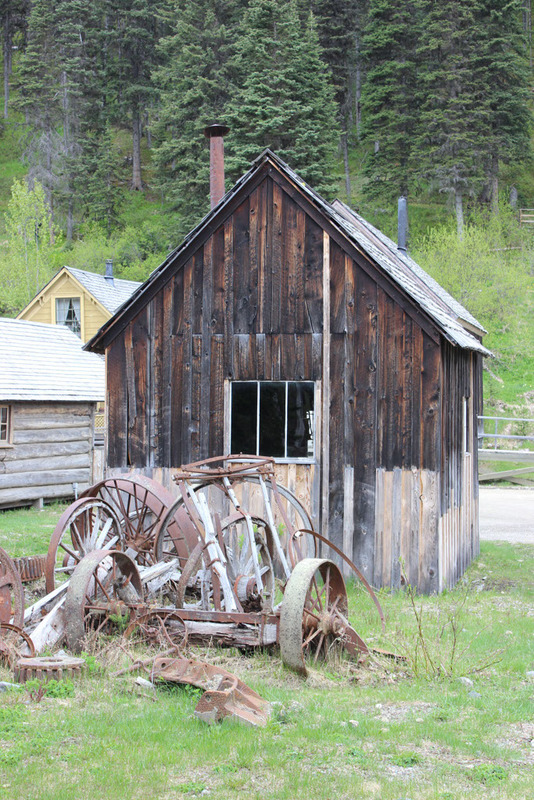 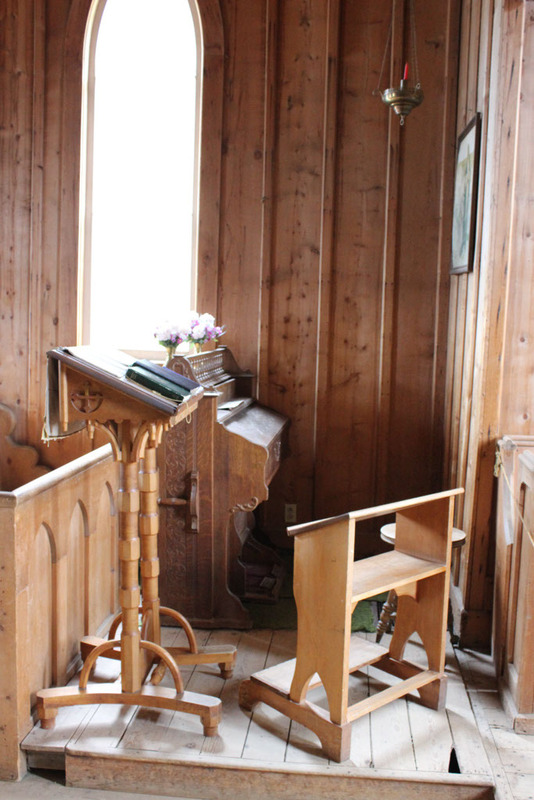 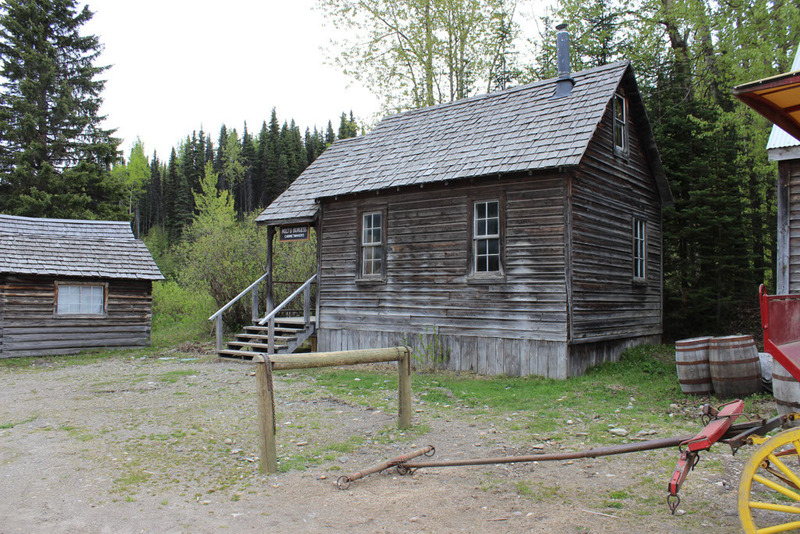 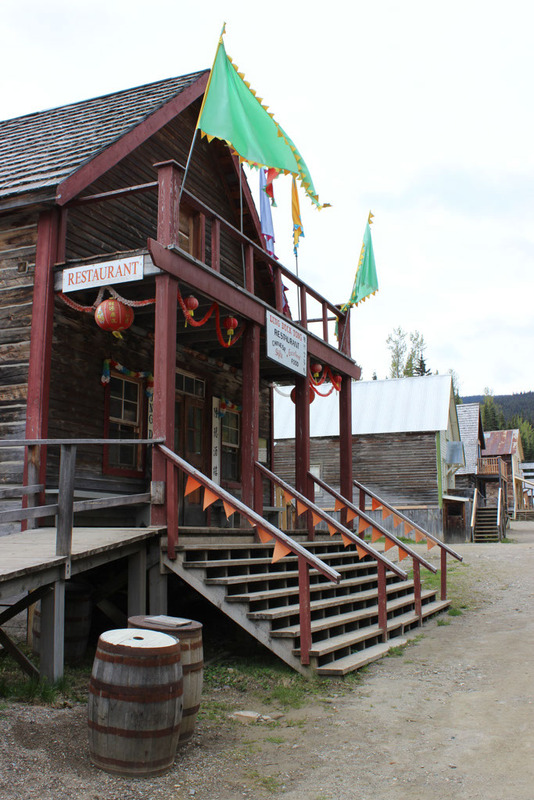 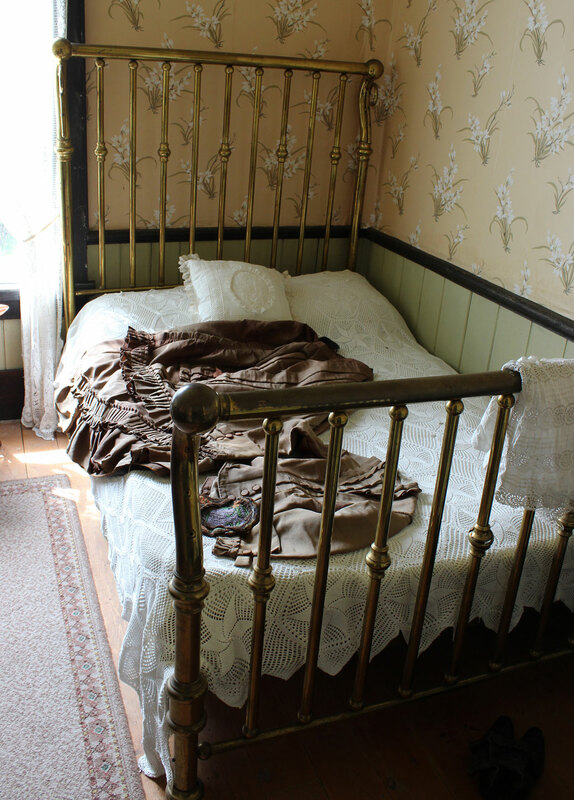 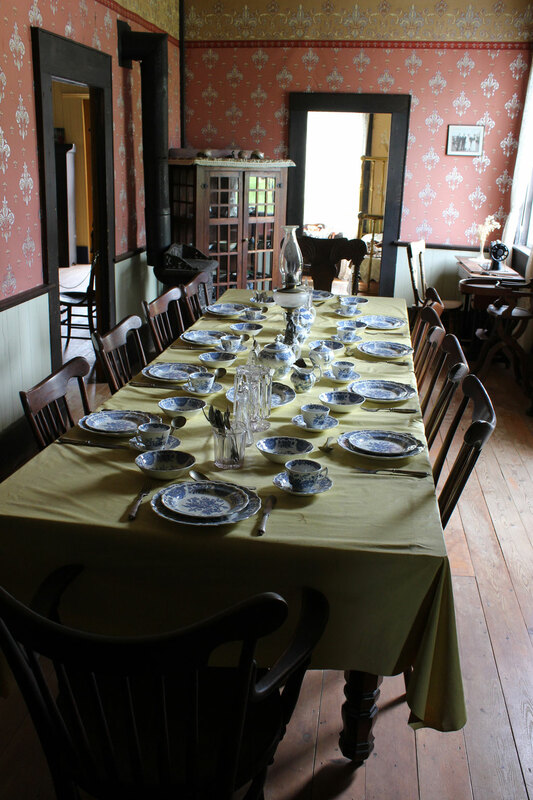 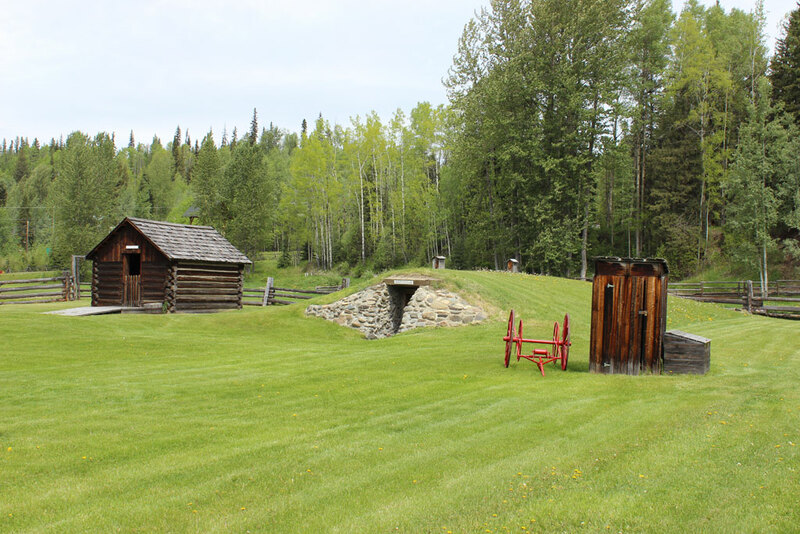 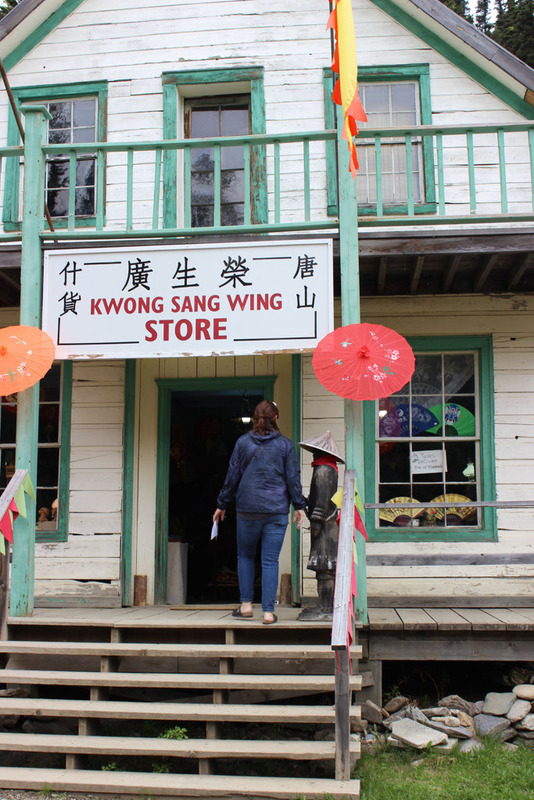 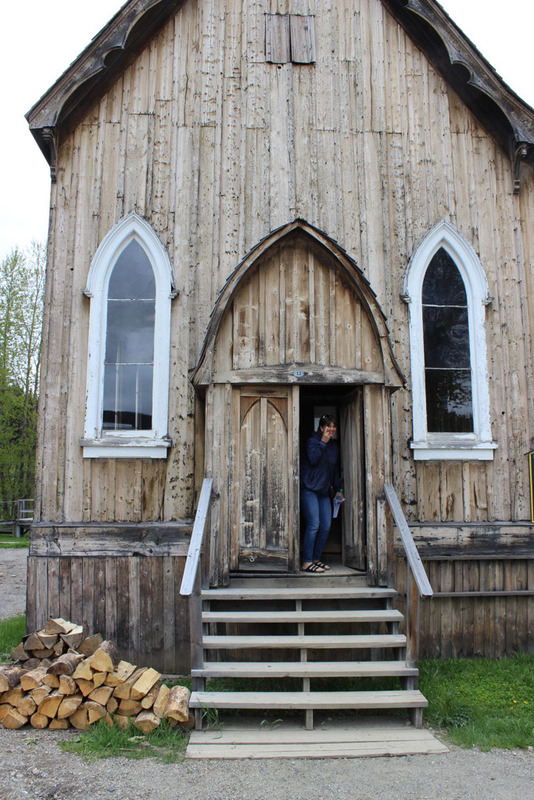 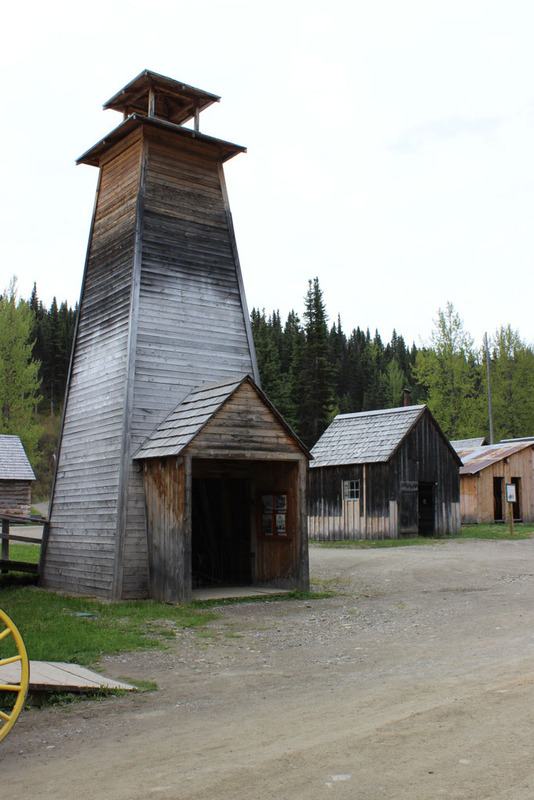 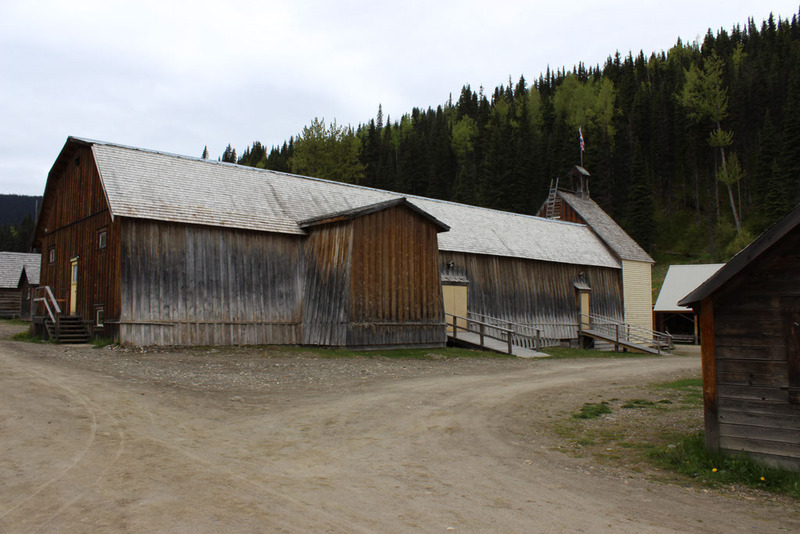 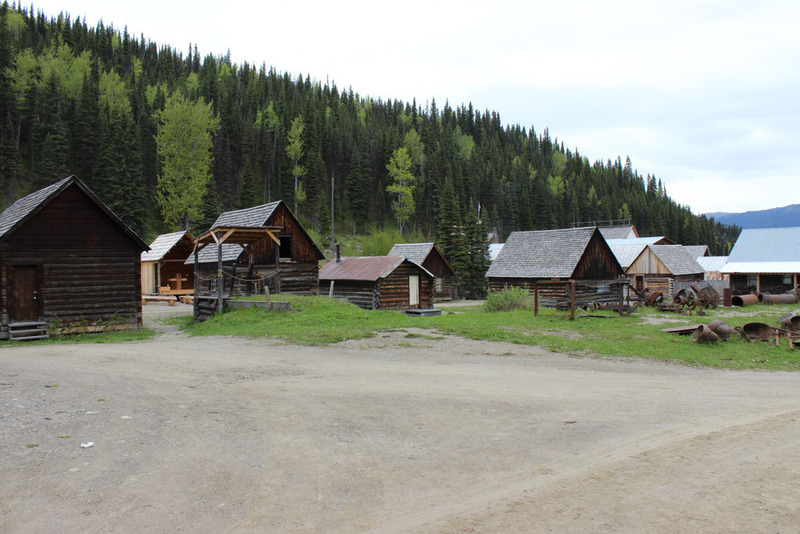 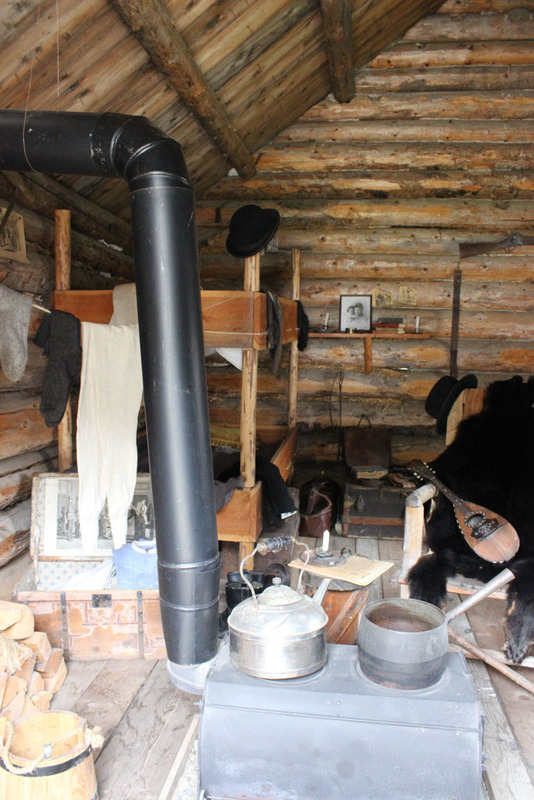 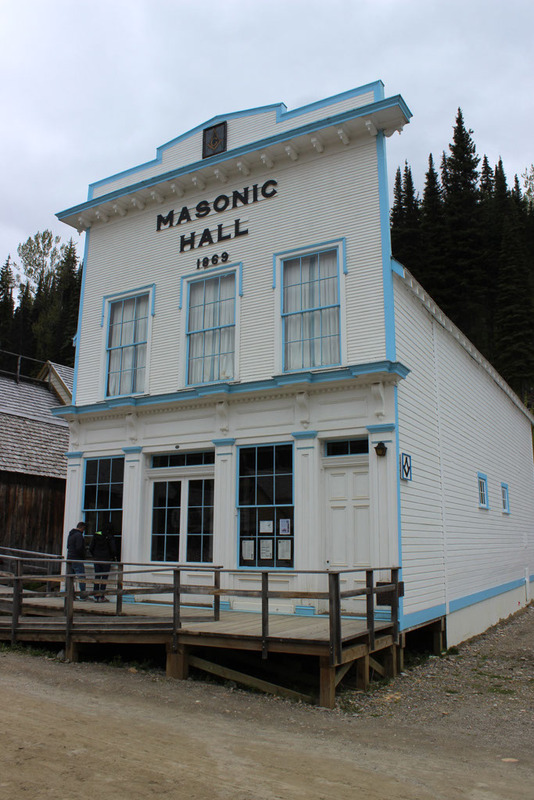 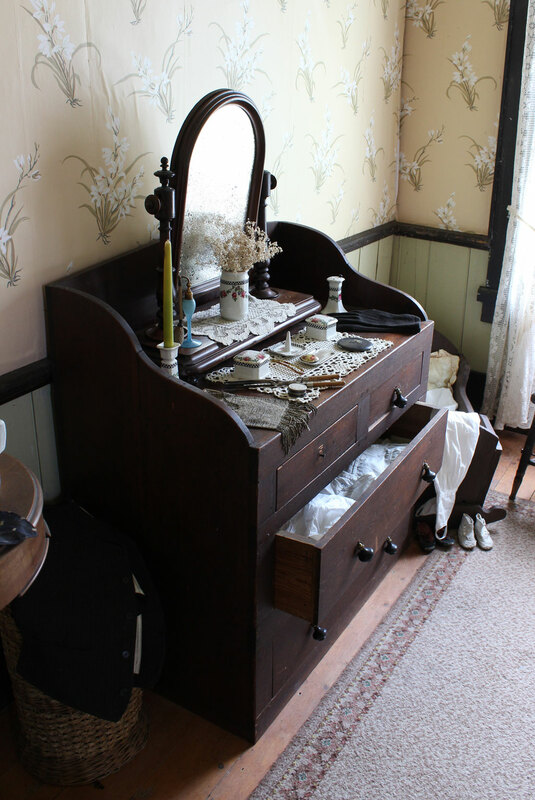 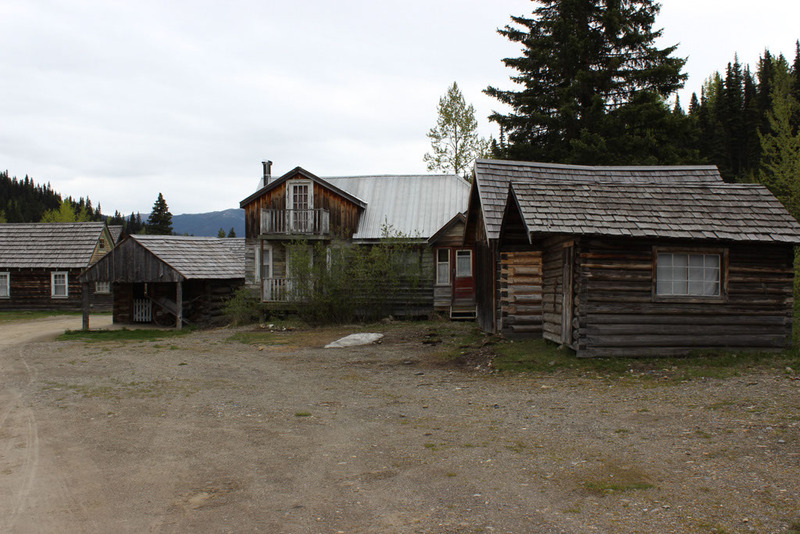 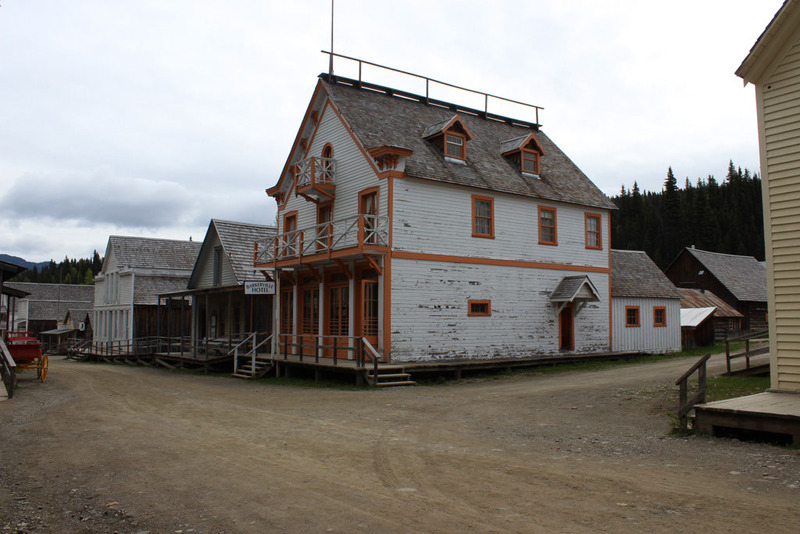 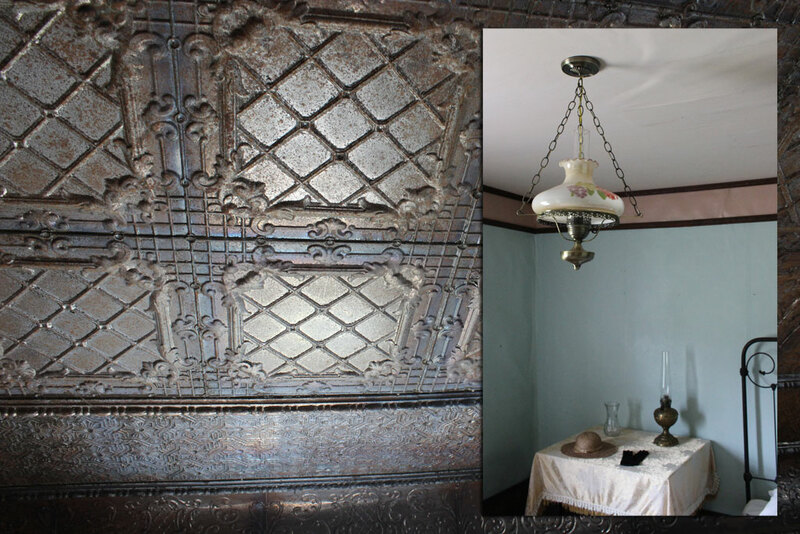 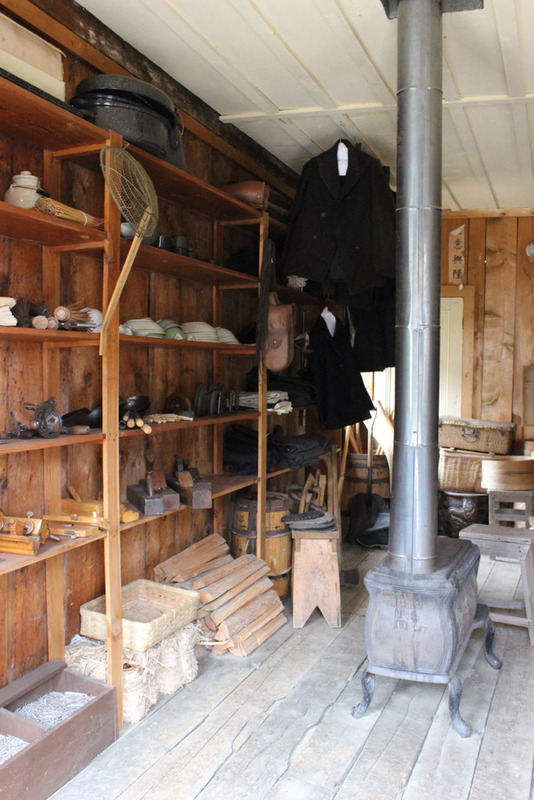 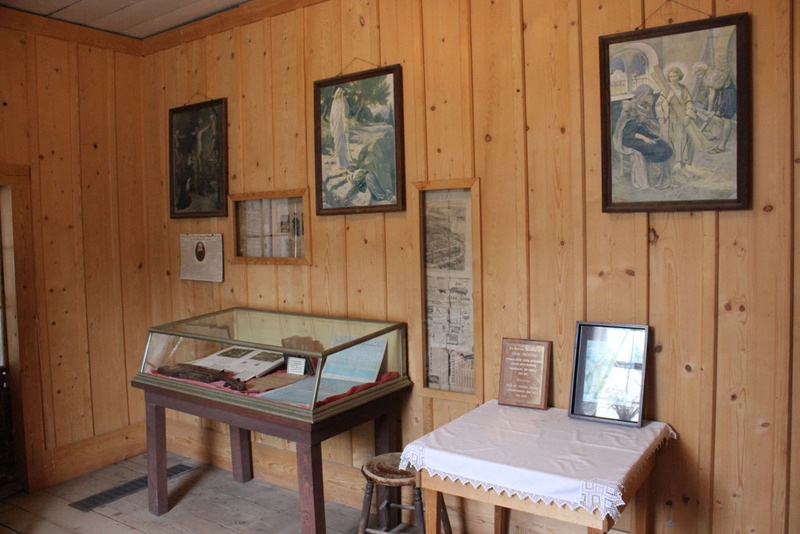 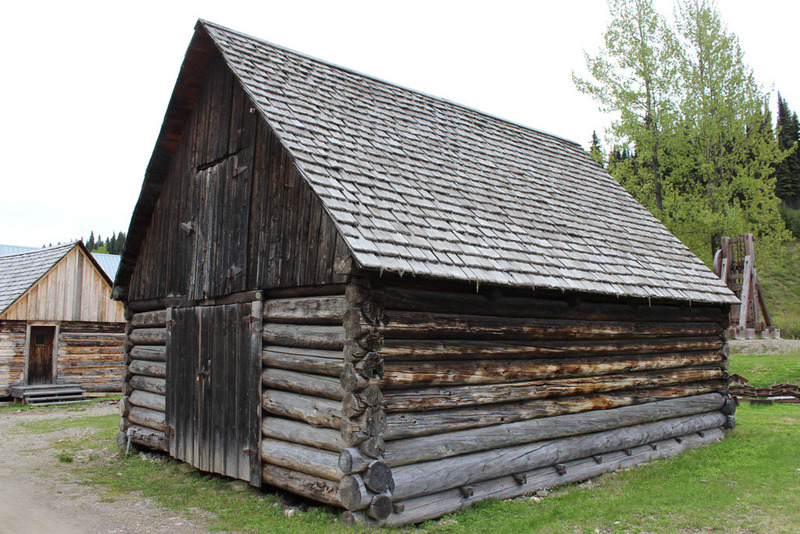 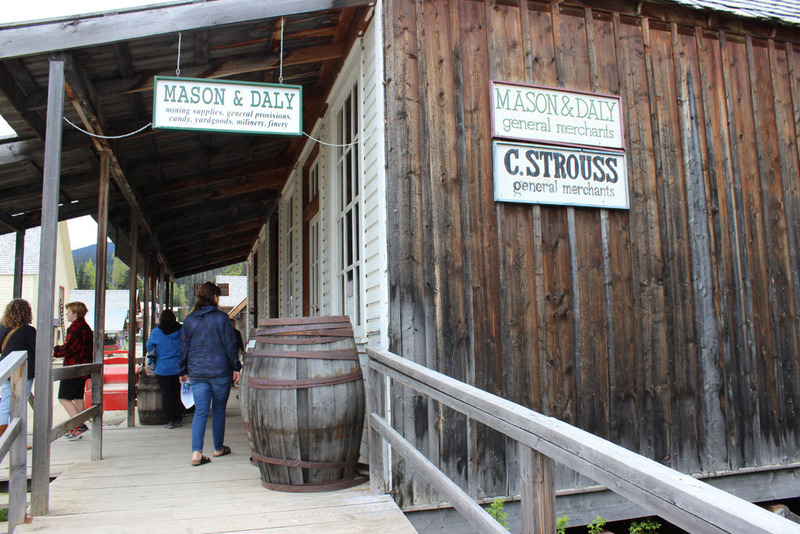 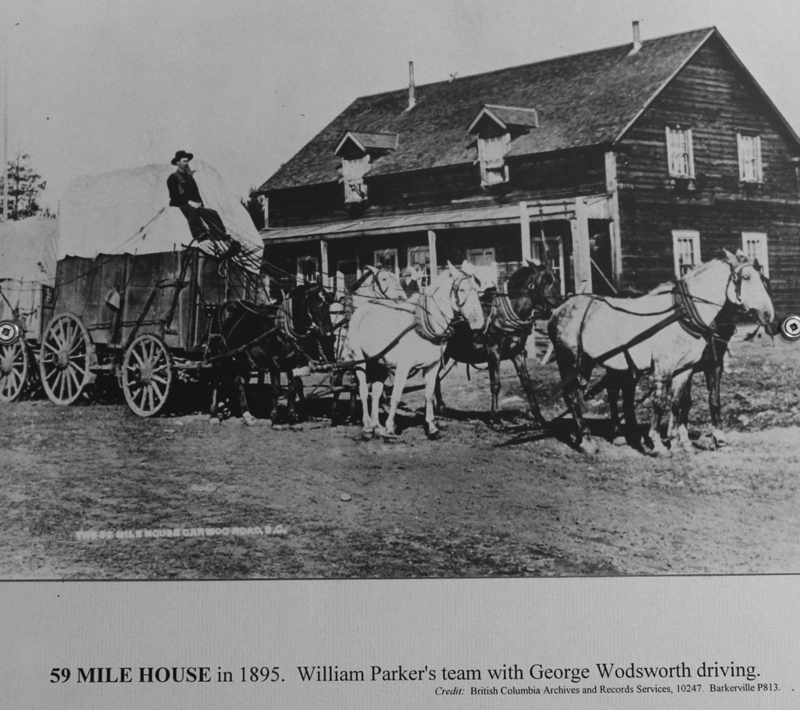 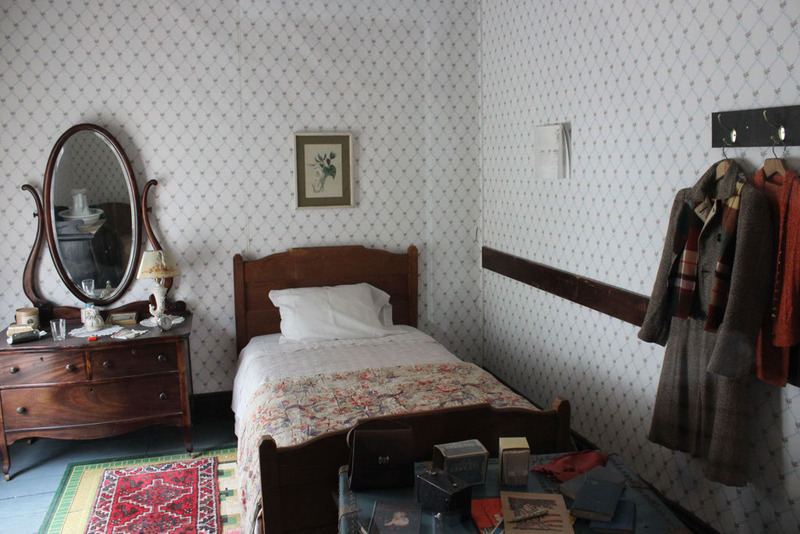 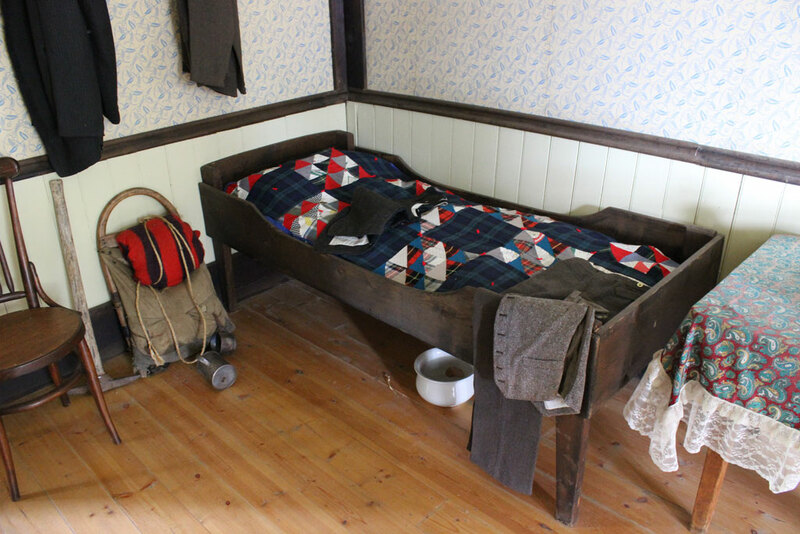 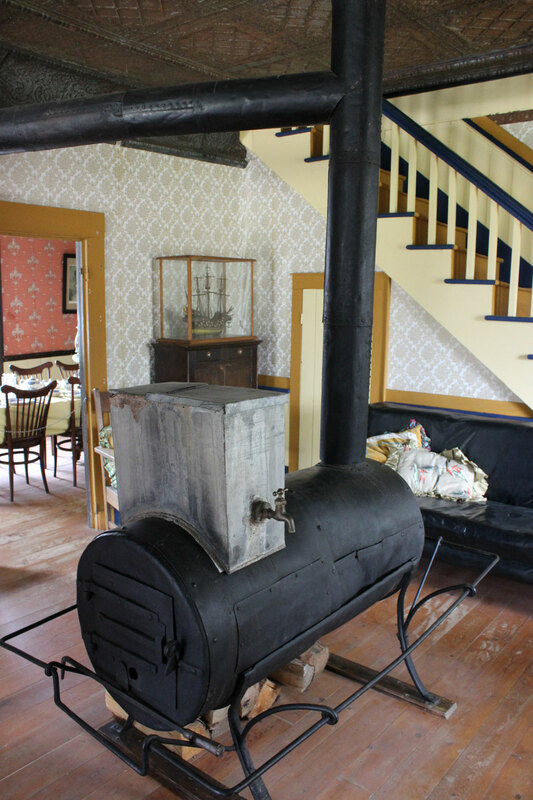 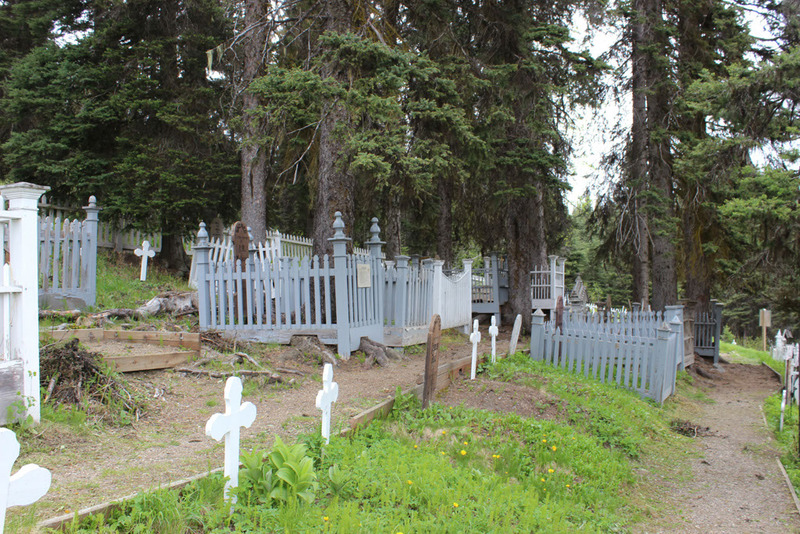 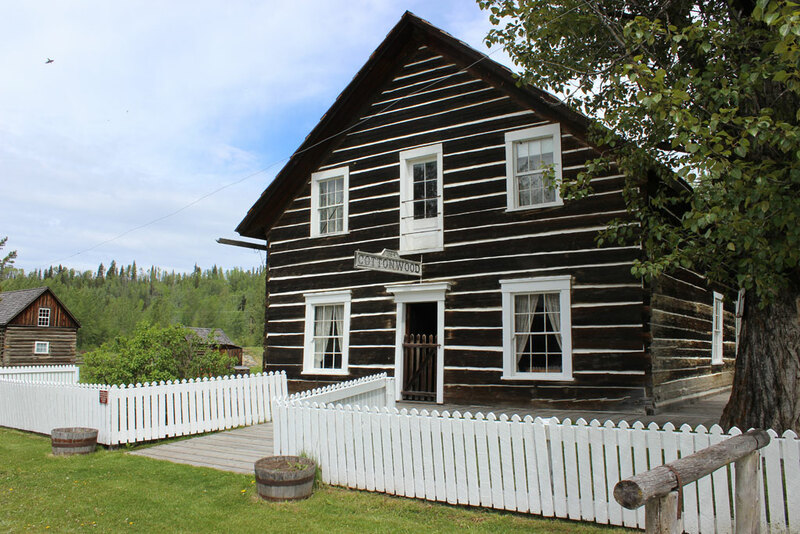 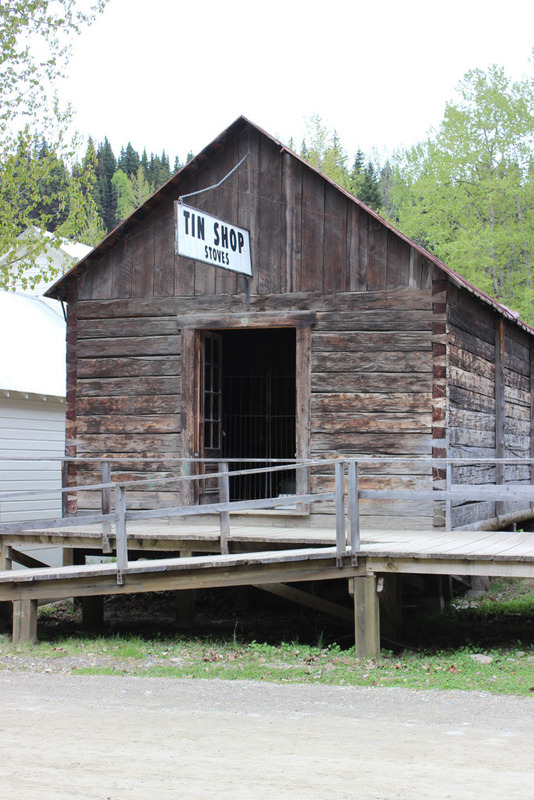 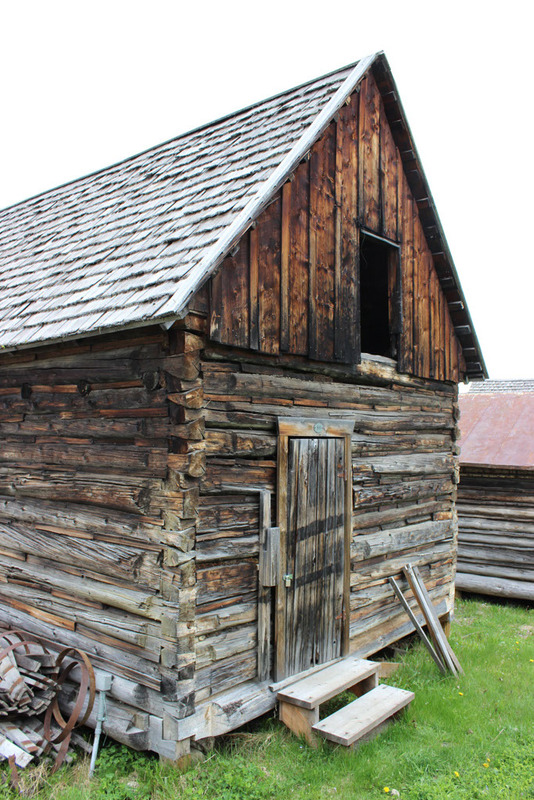 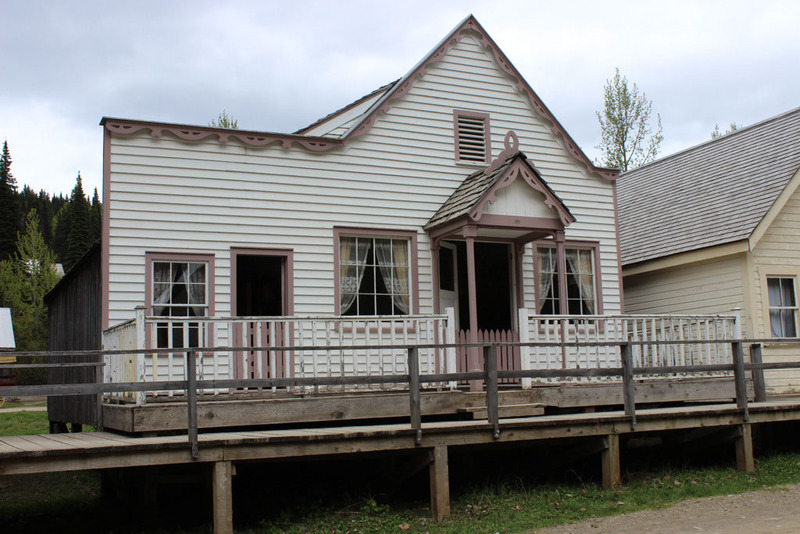 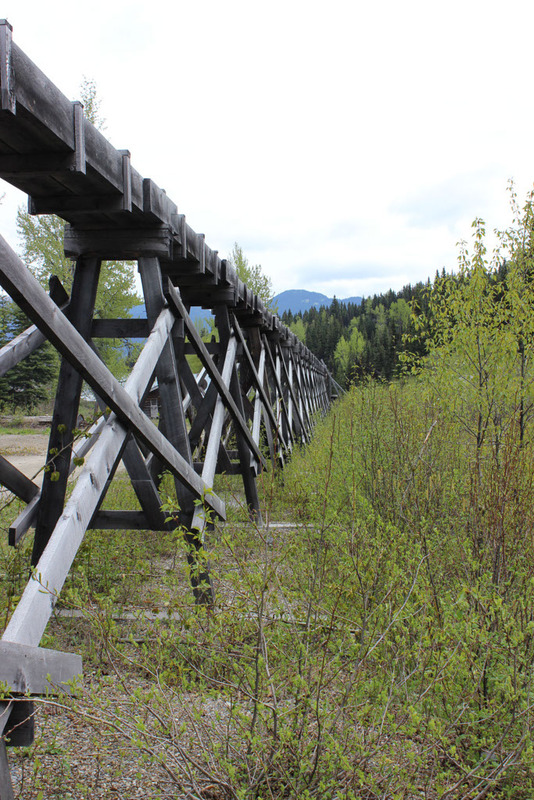 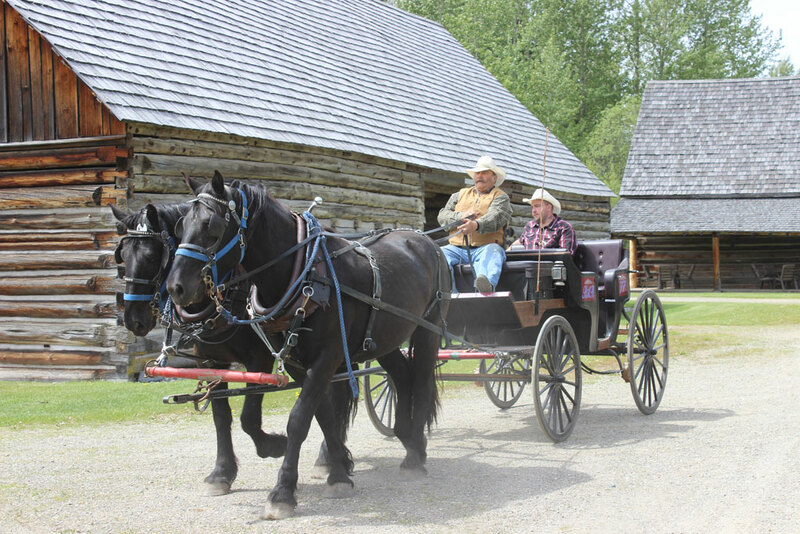 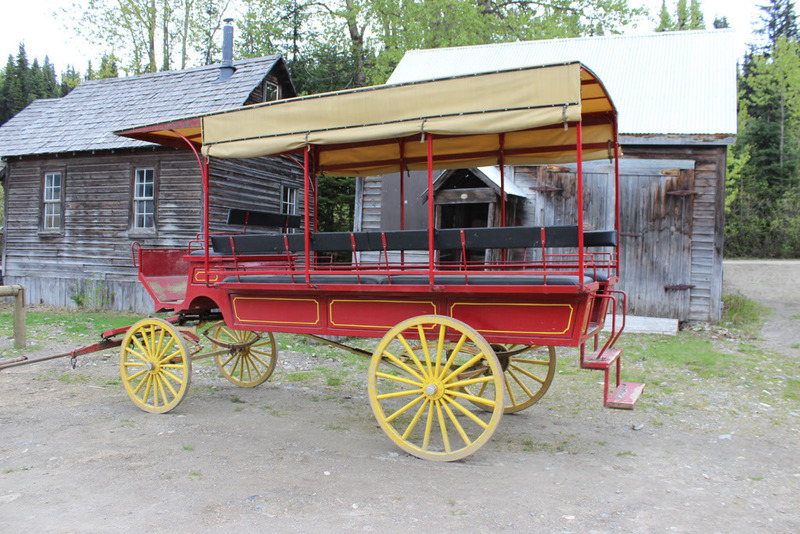 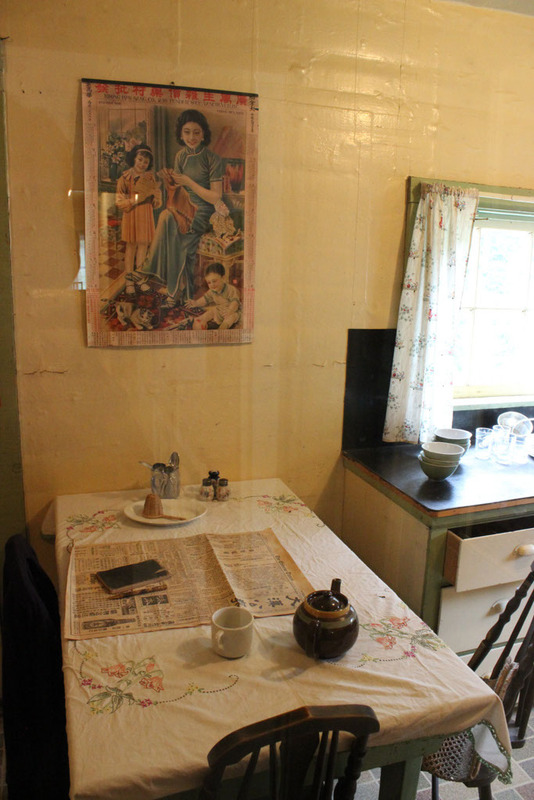 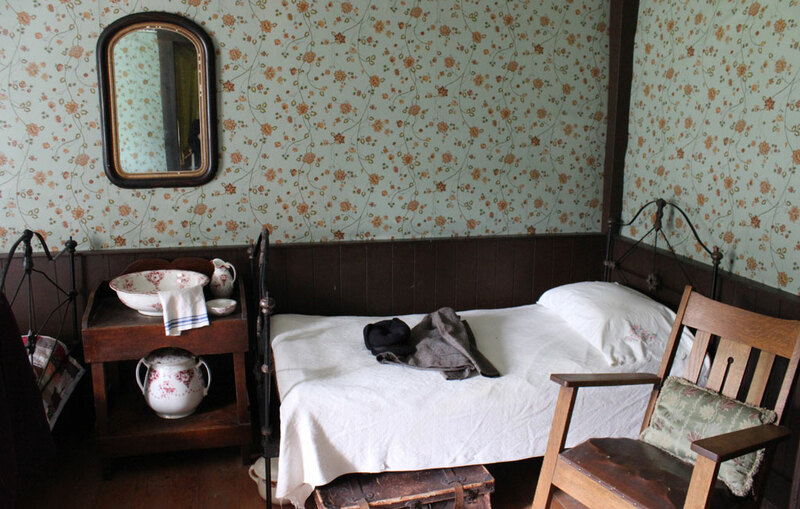 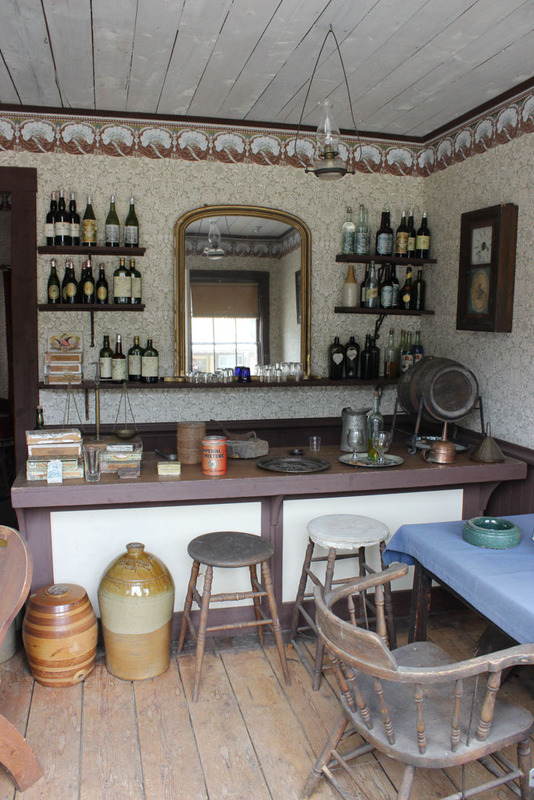 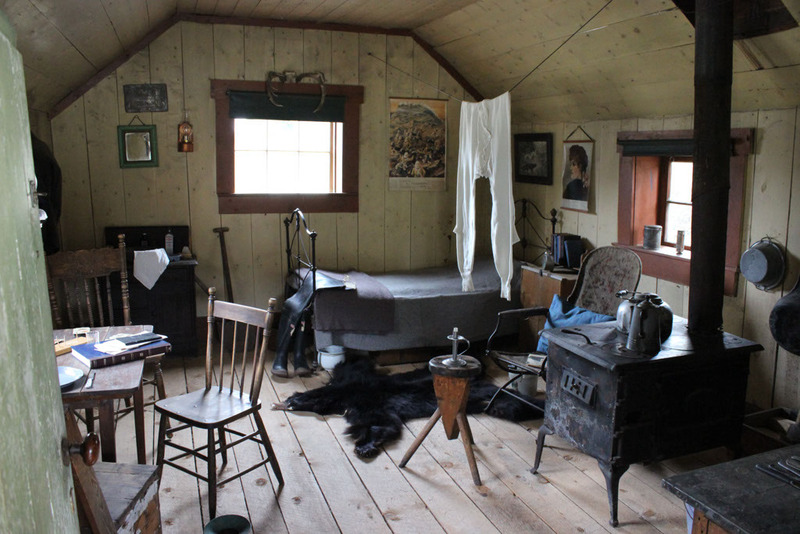 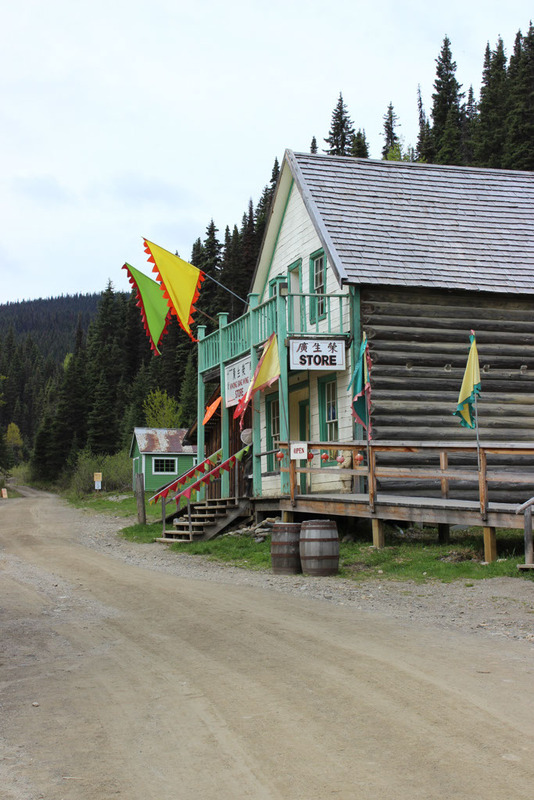 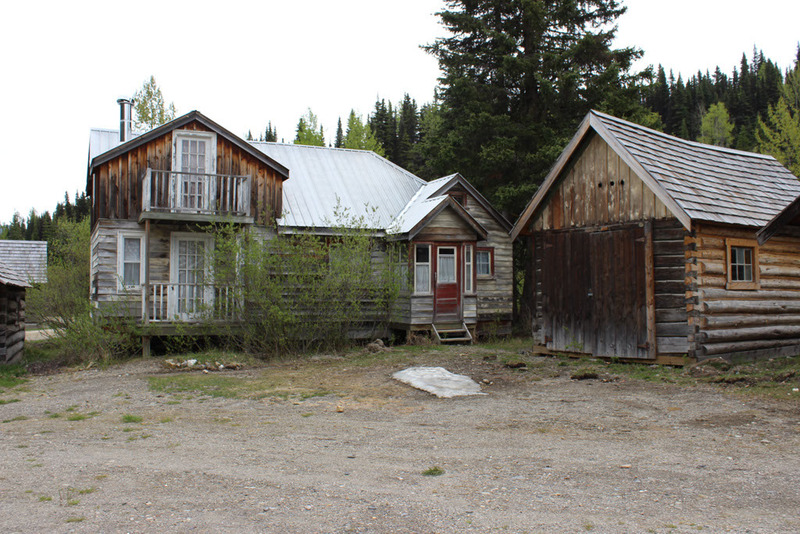 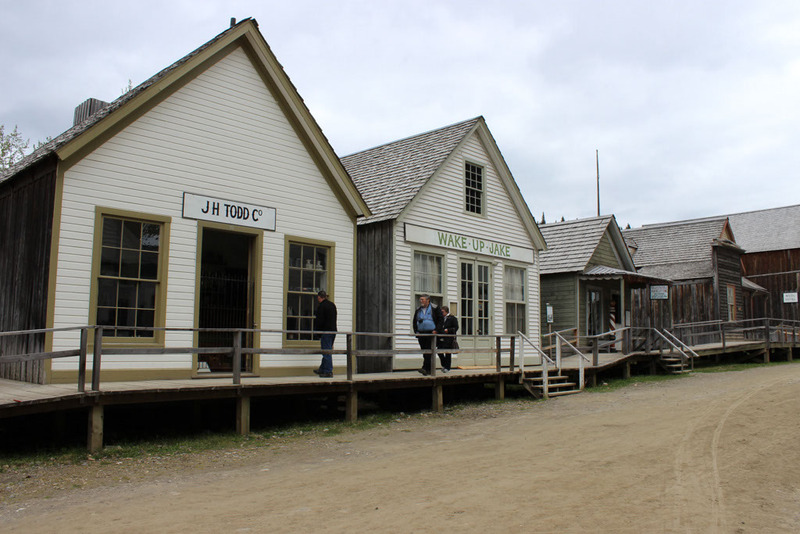 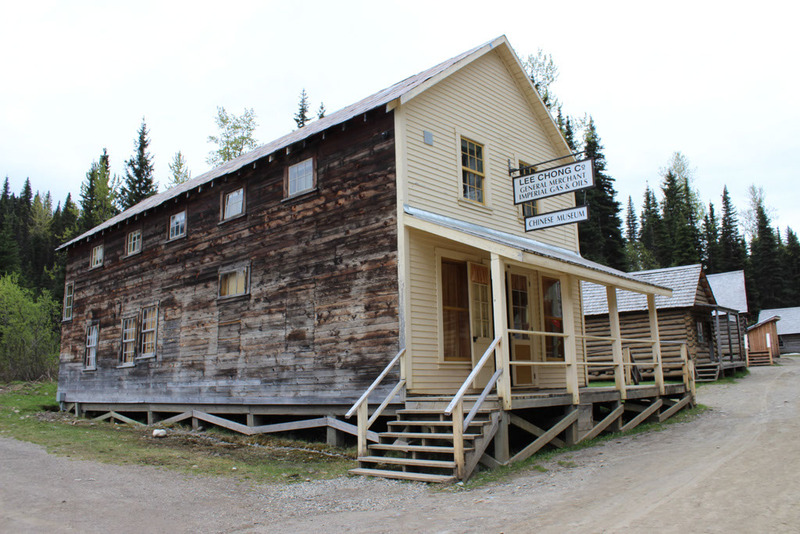 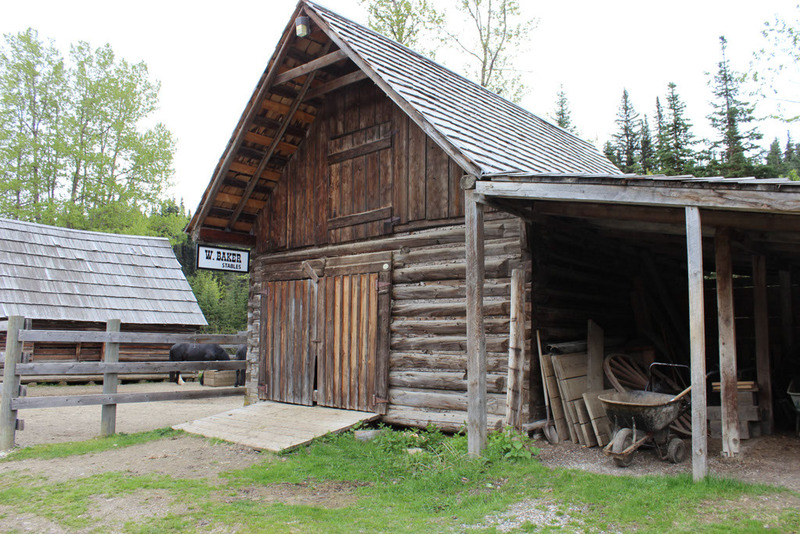 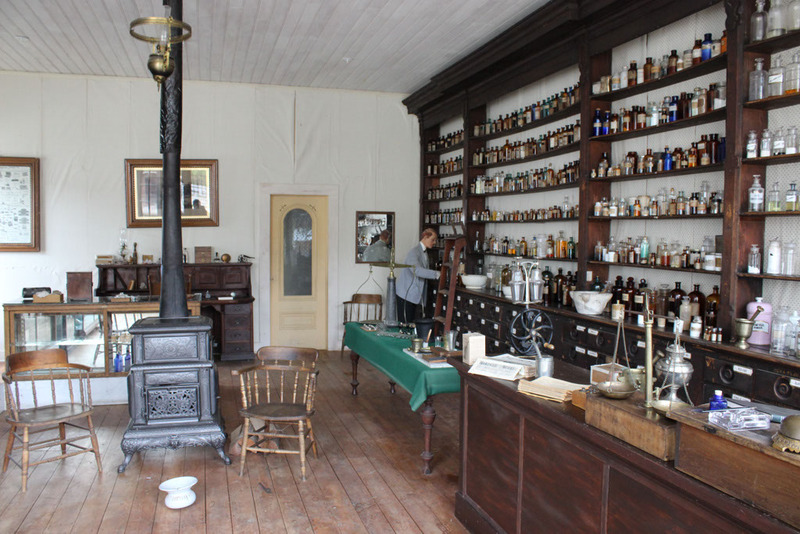 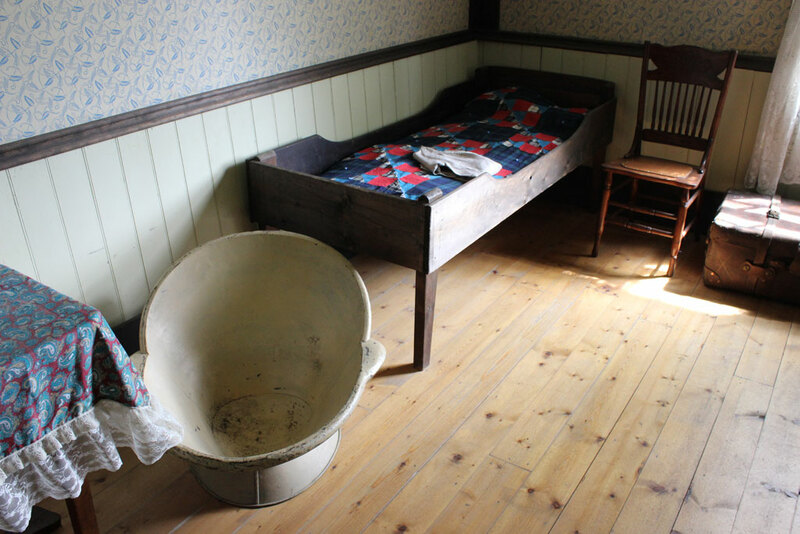 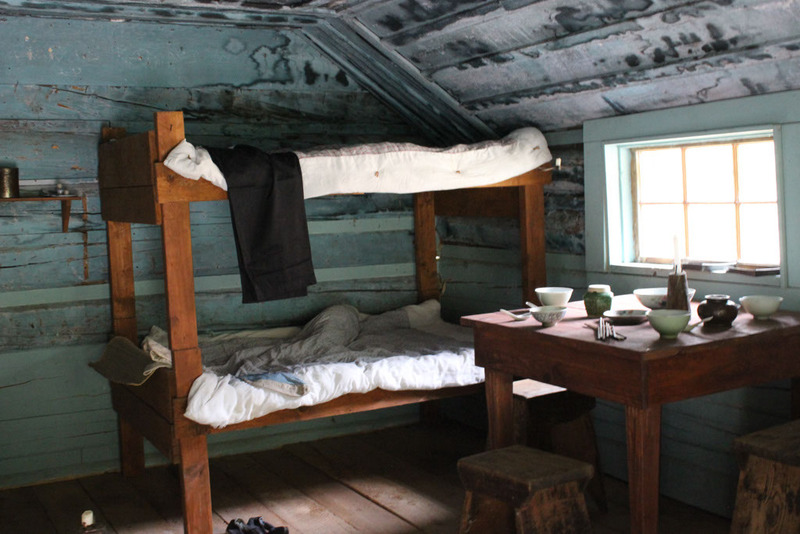 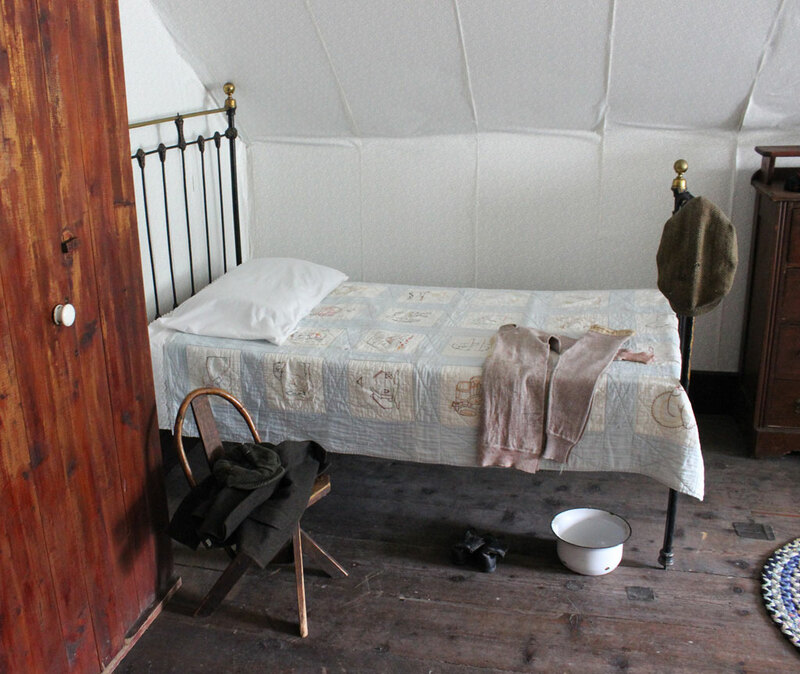 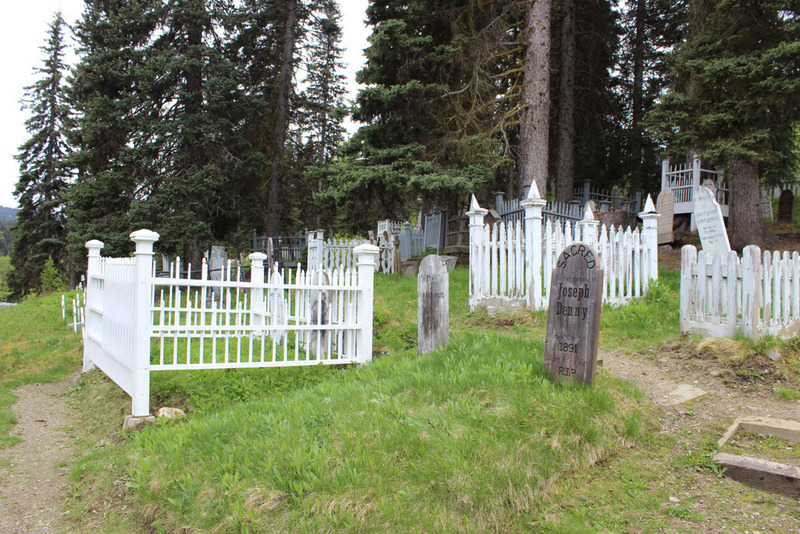 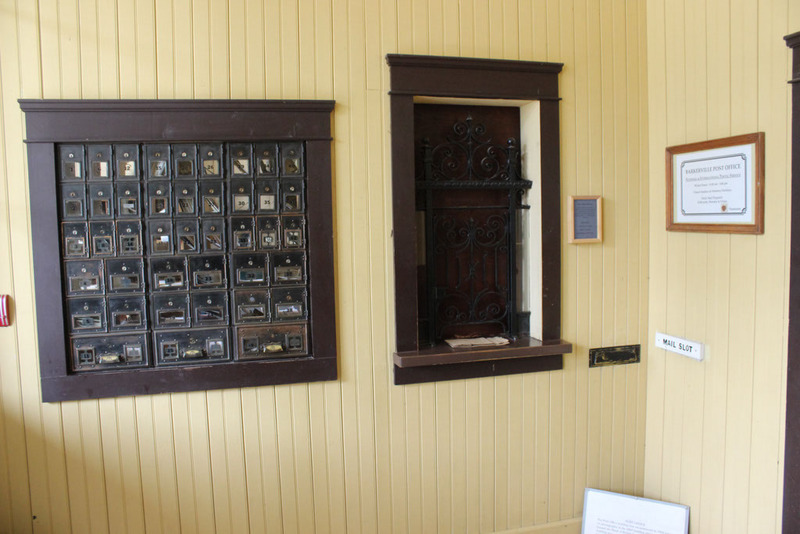 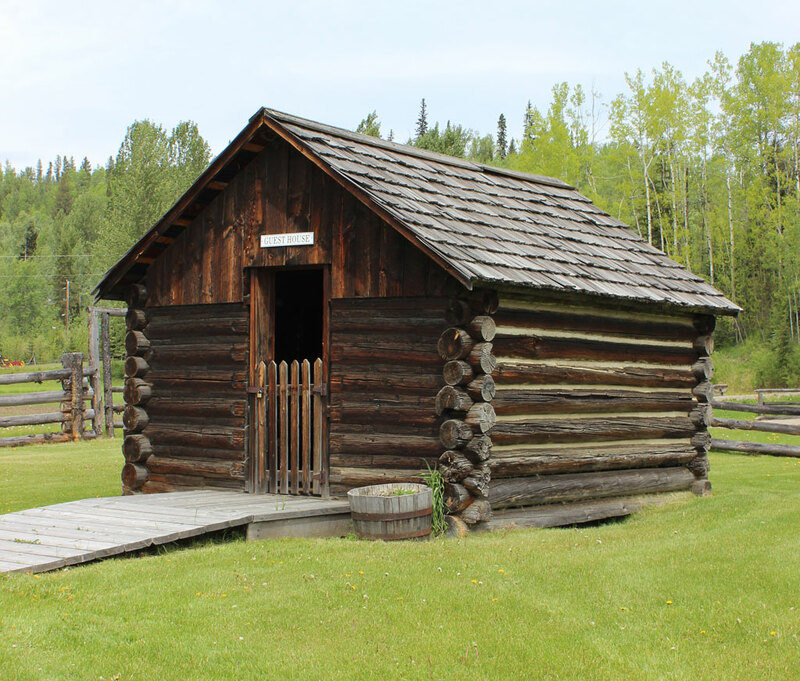 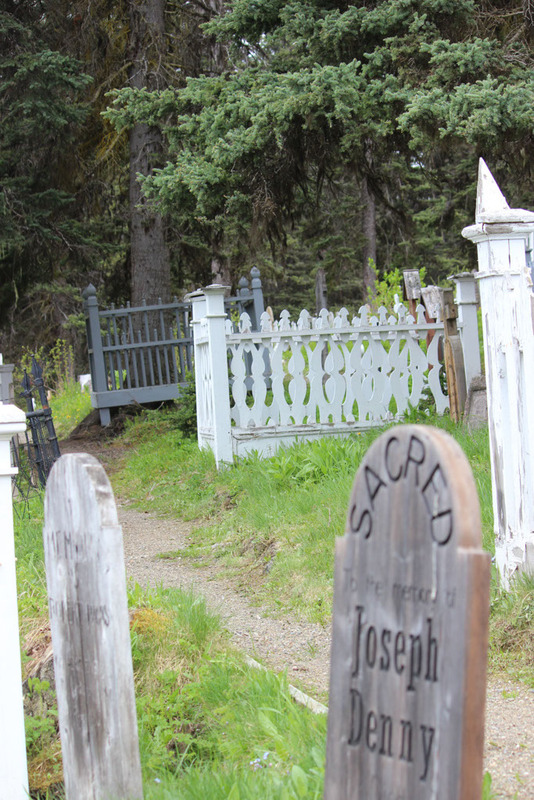 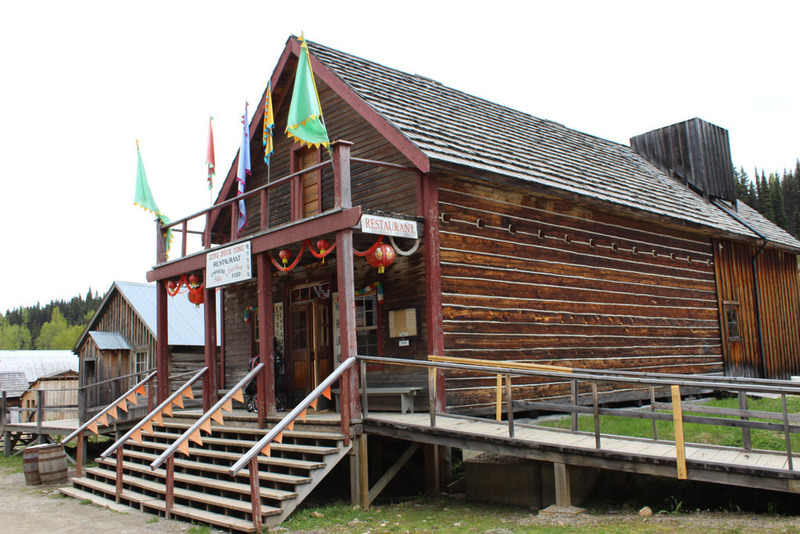 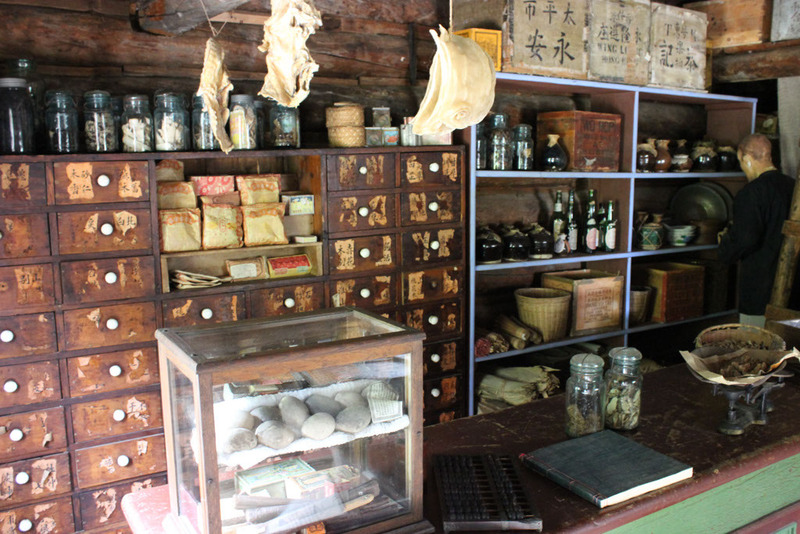 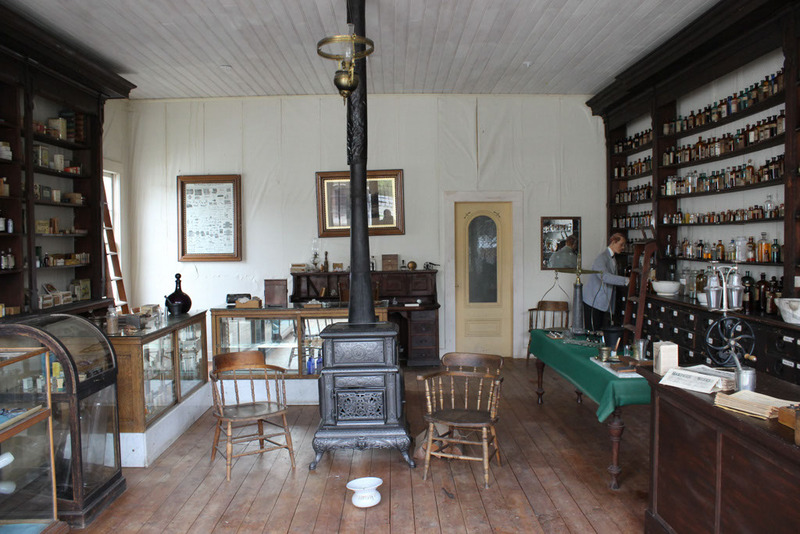 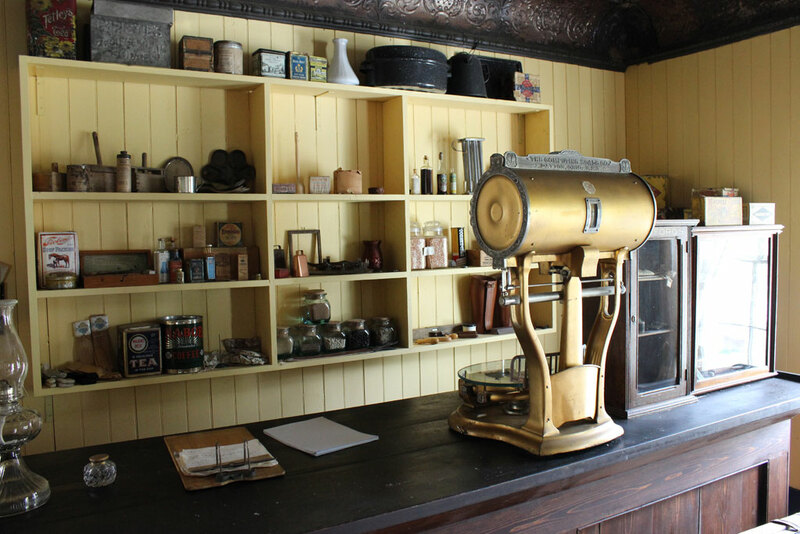 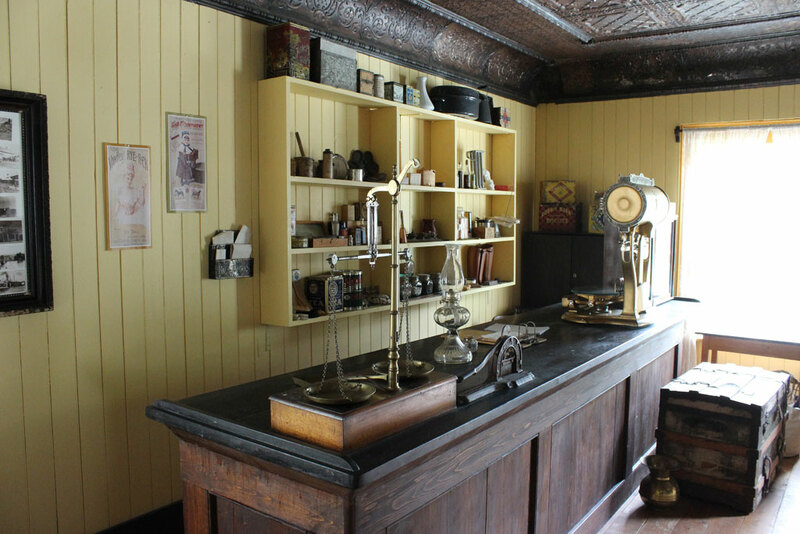 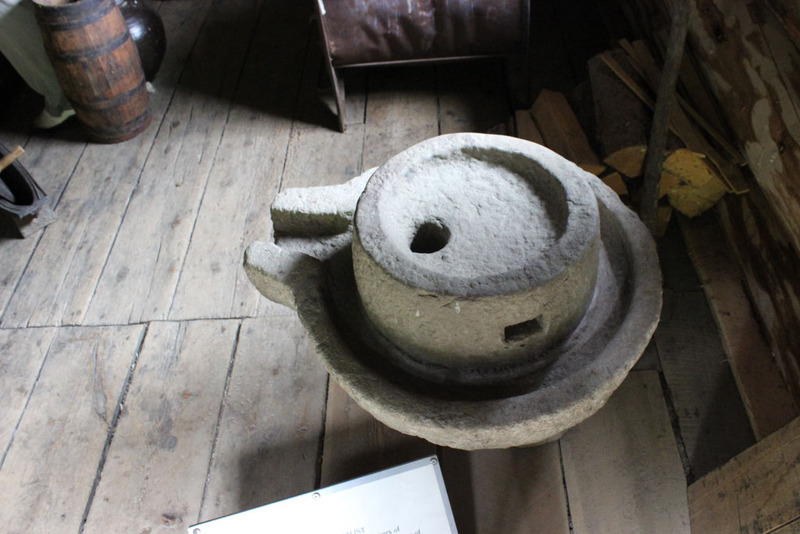 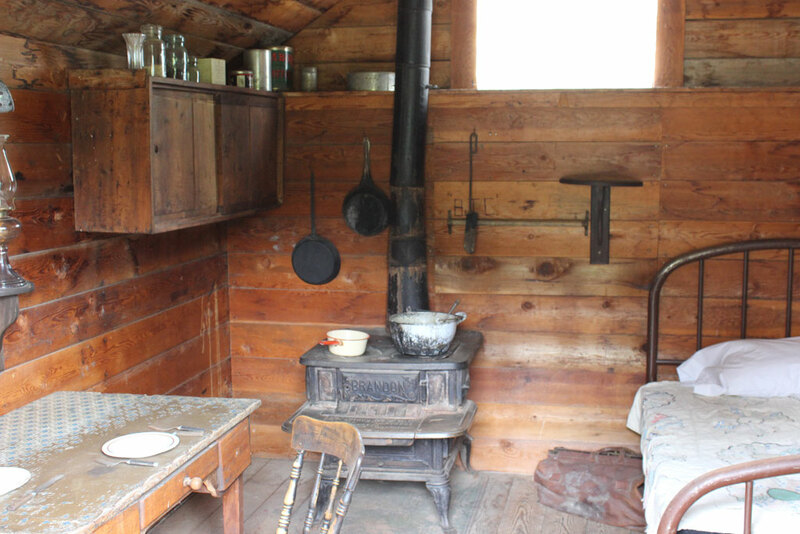 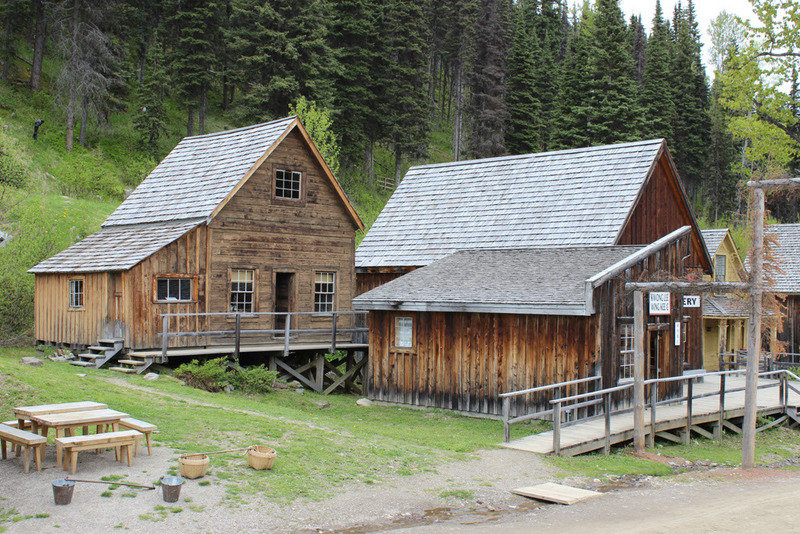 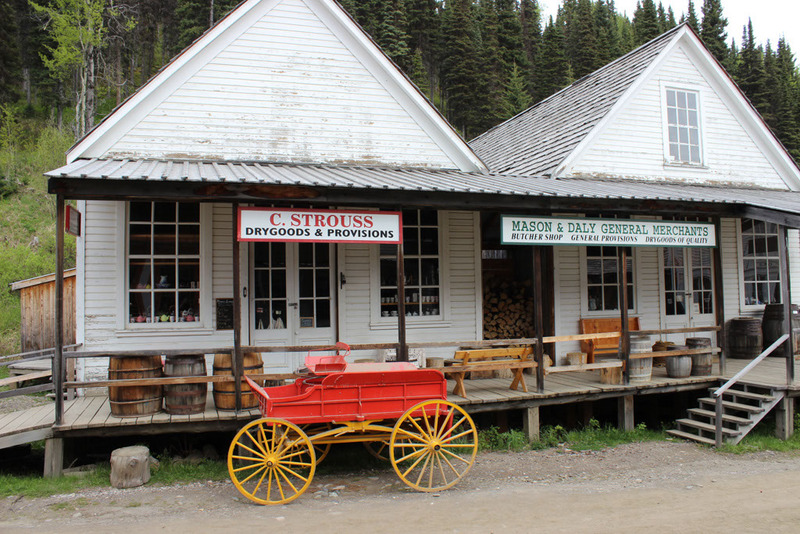 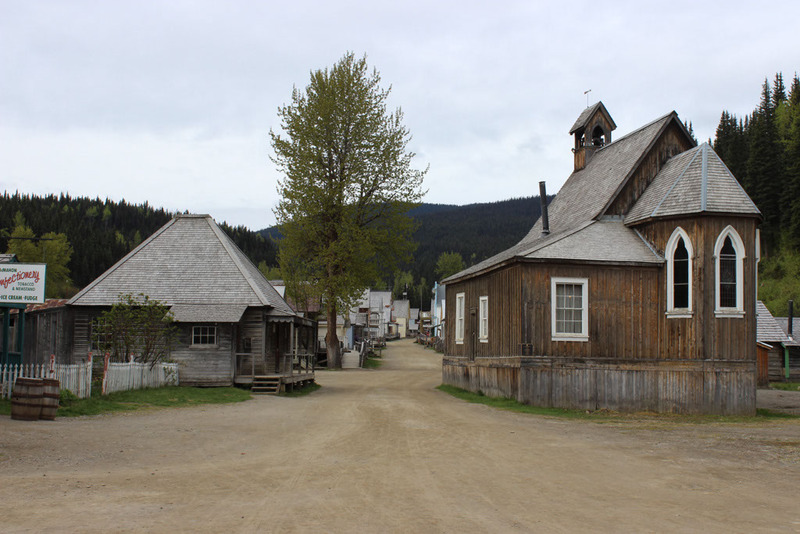 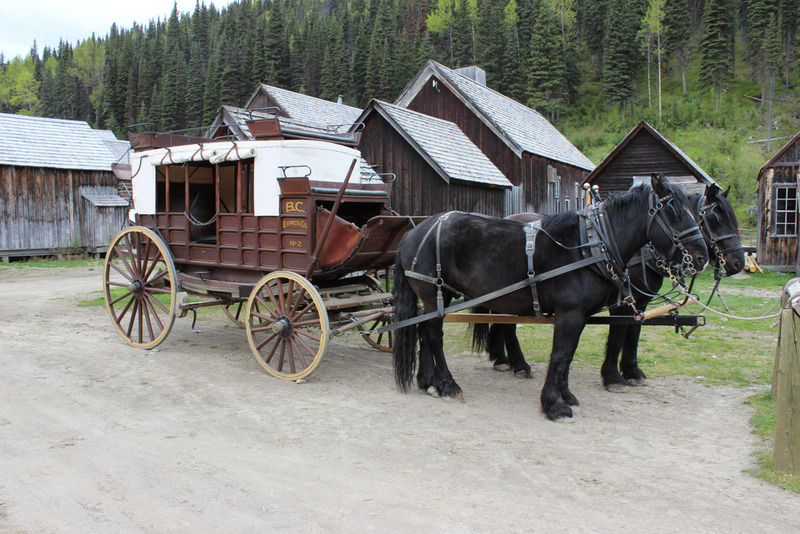 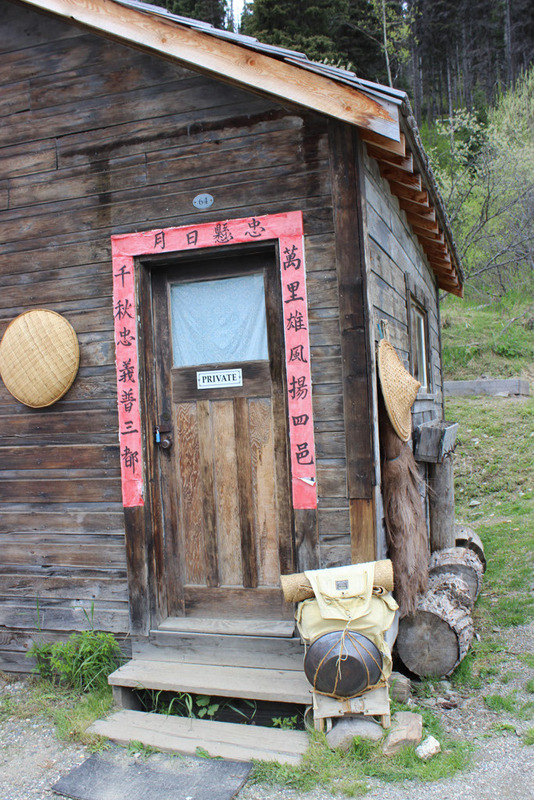 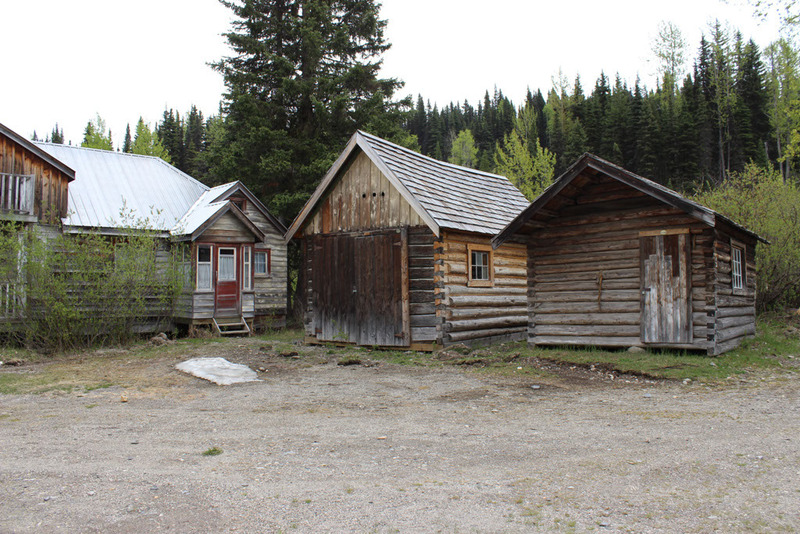 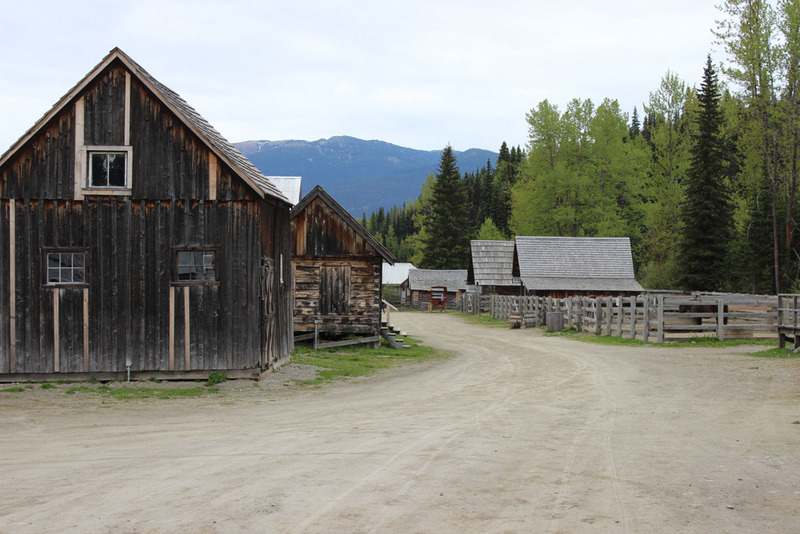 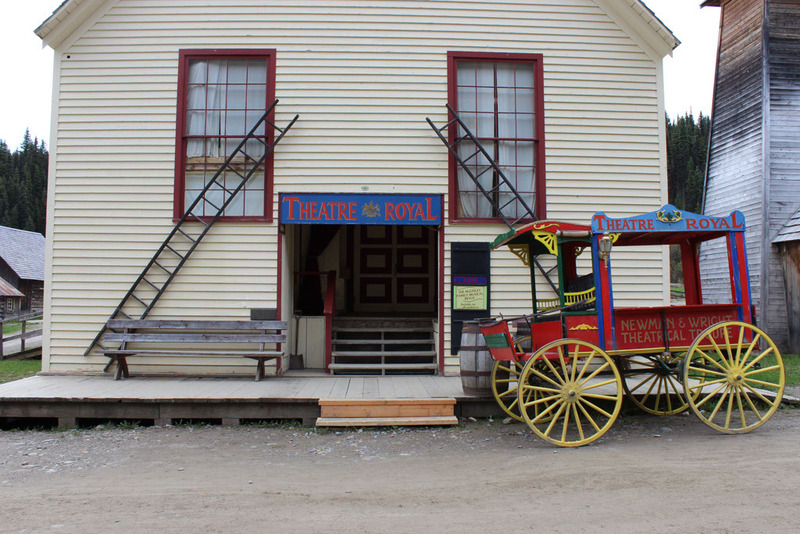 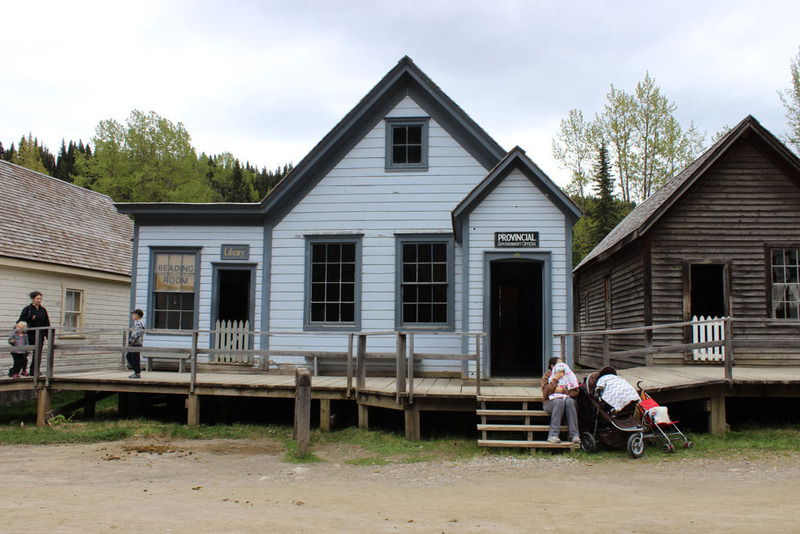 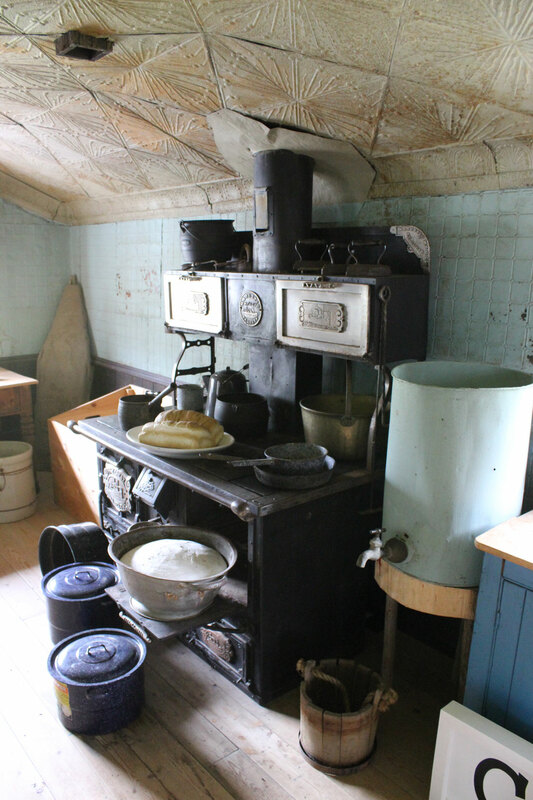 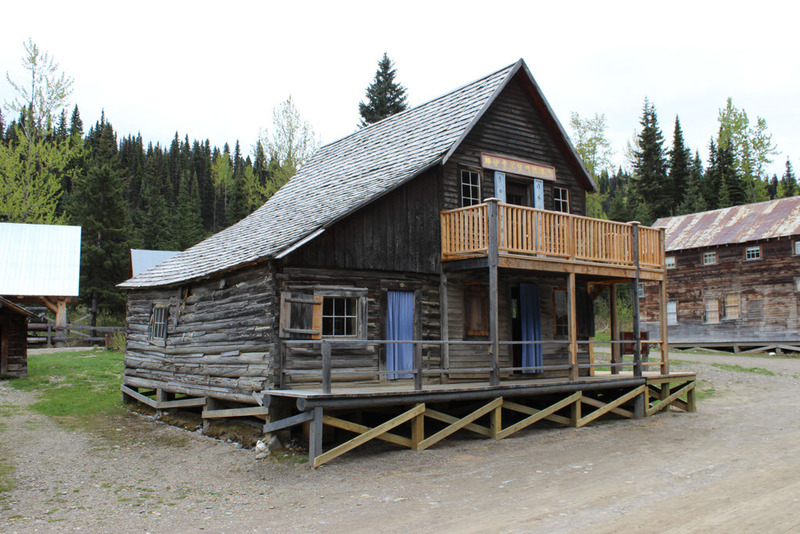 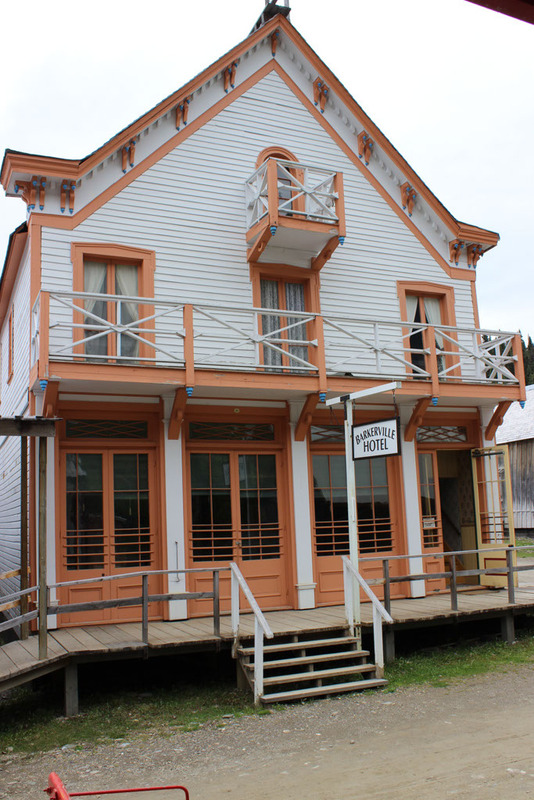 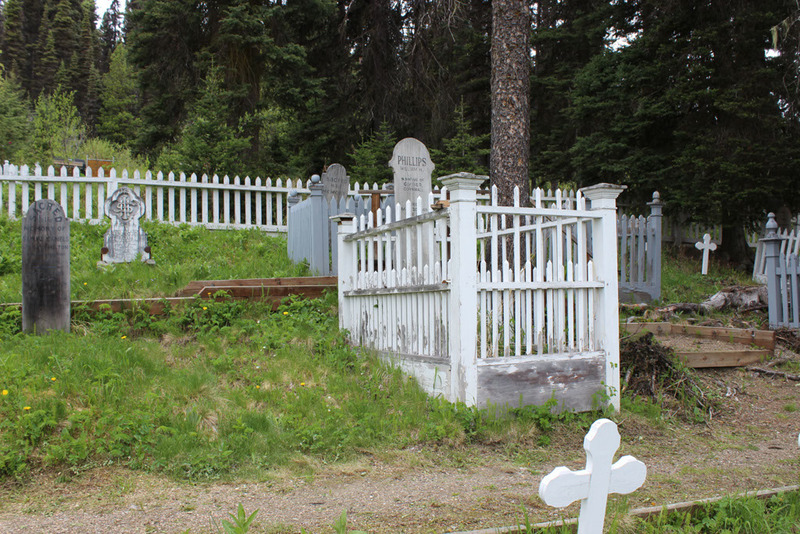 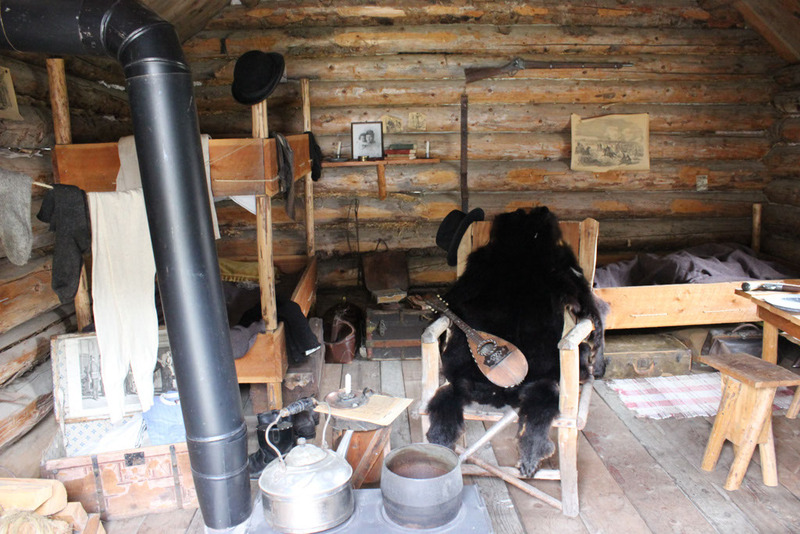 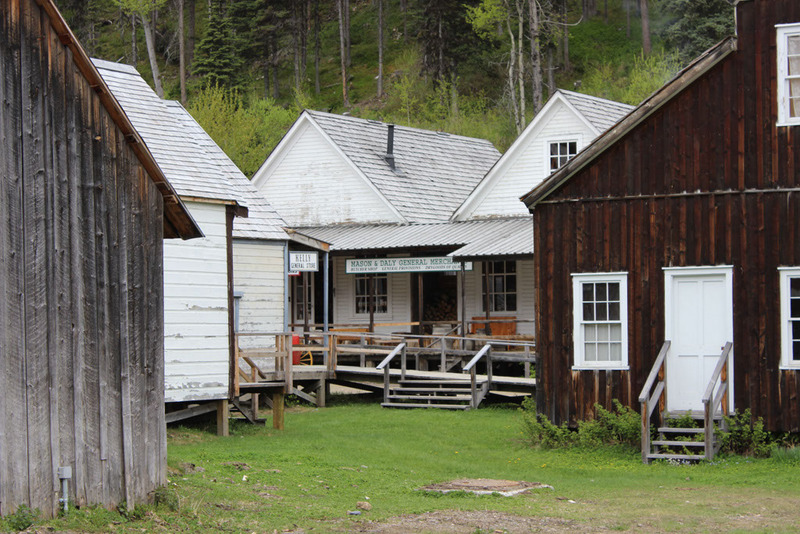 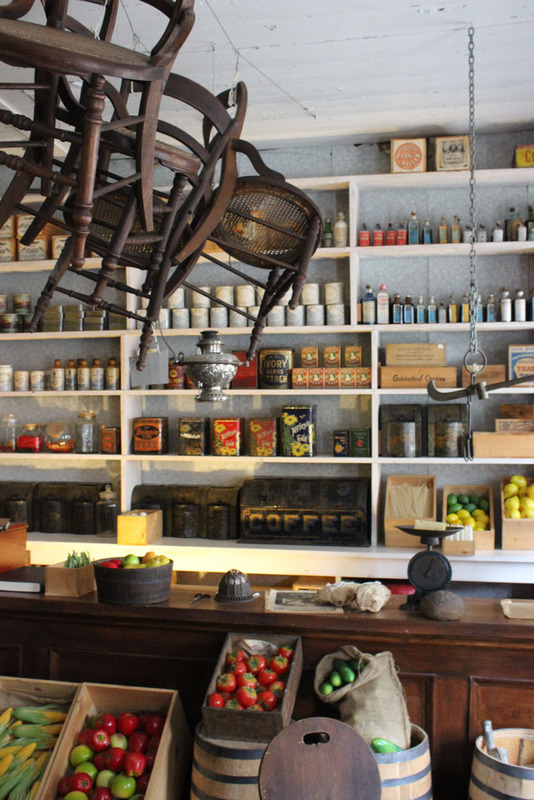 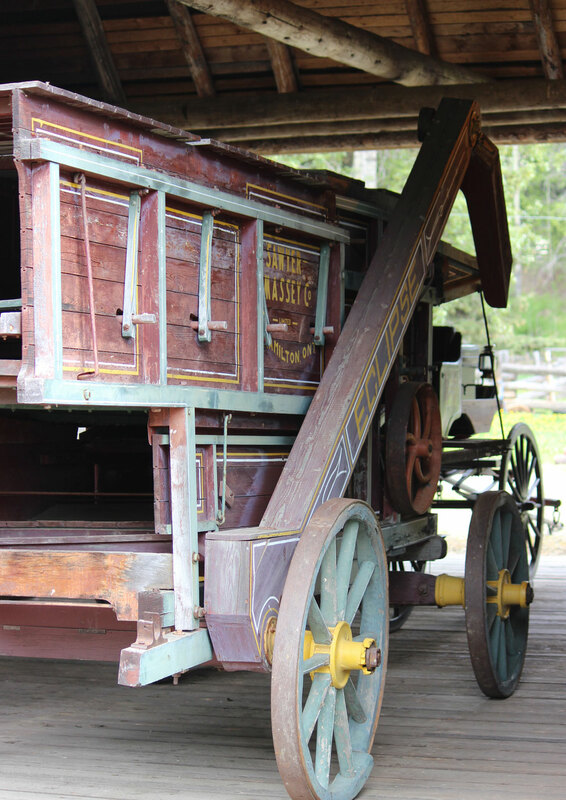 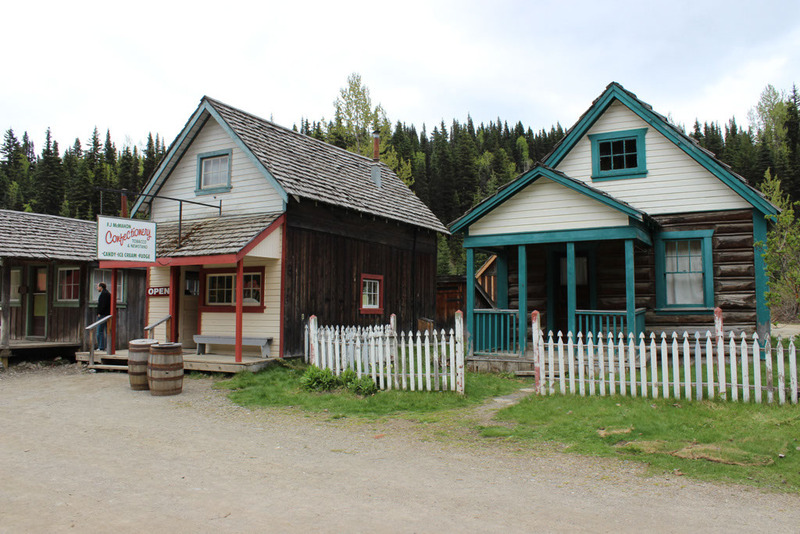 It was built in the 1860’s to offer accommodation, meals and provisions to miners and travelers on their journey along the Cariboo ‘Wagon’ Road to Barkerville or Quesnel. 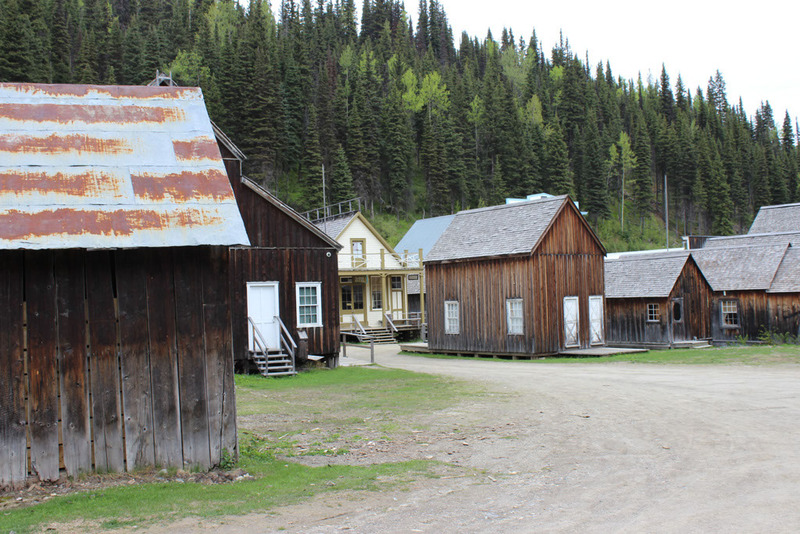 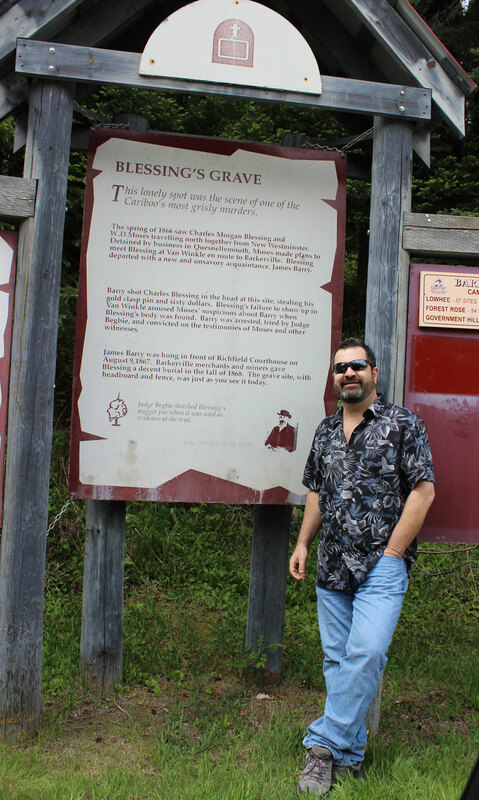 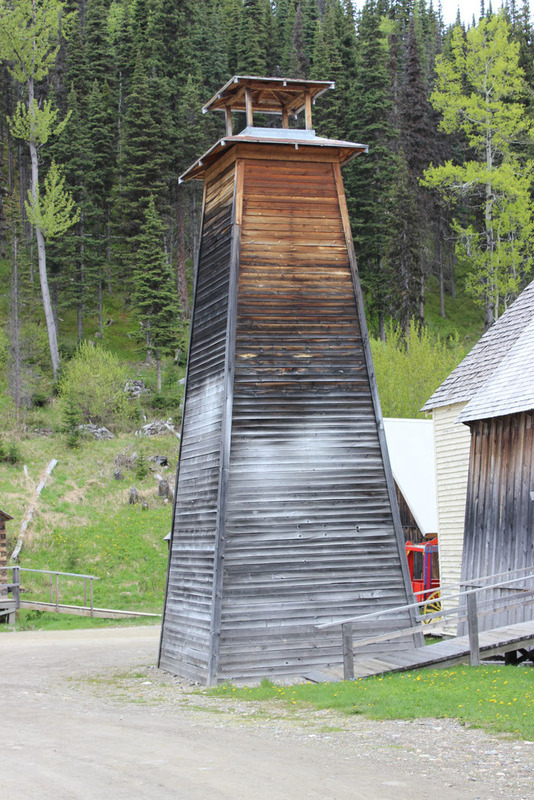 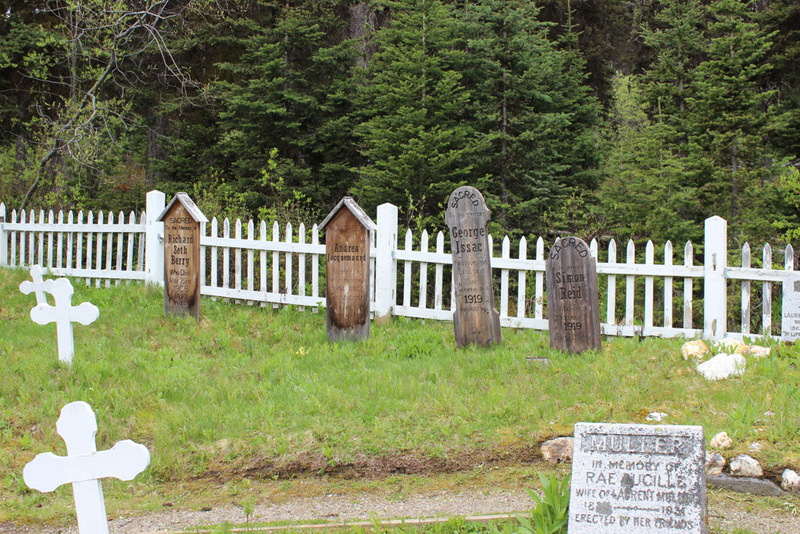 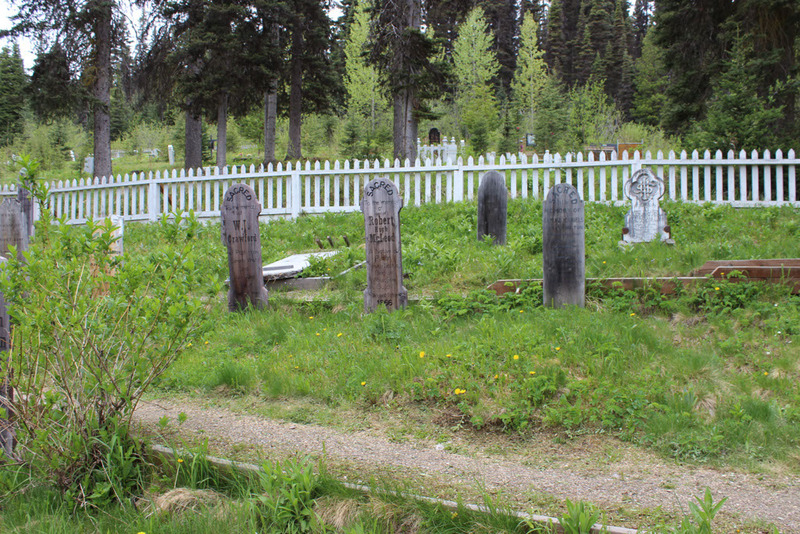 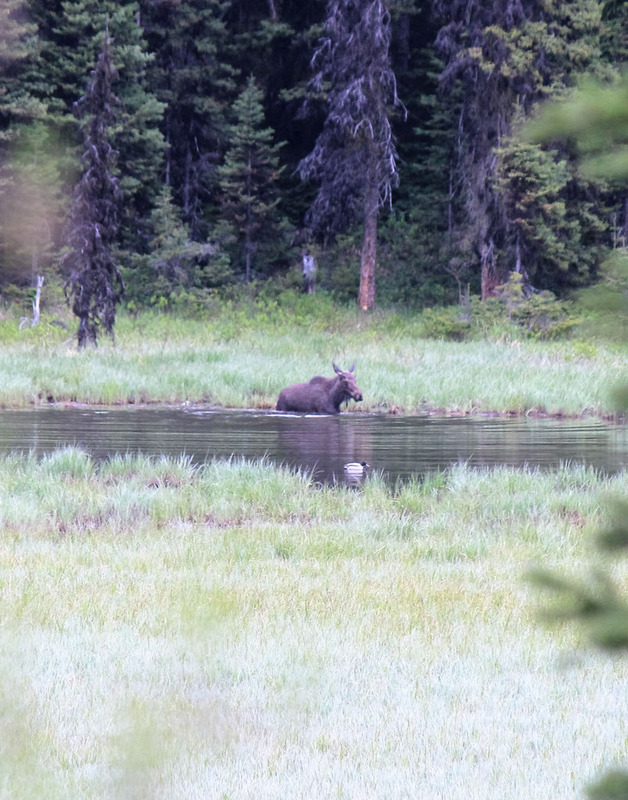 Recently, on the trip to Barkerville, in the spring of 2016, I took these images for your enjoyment. 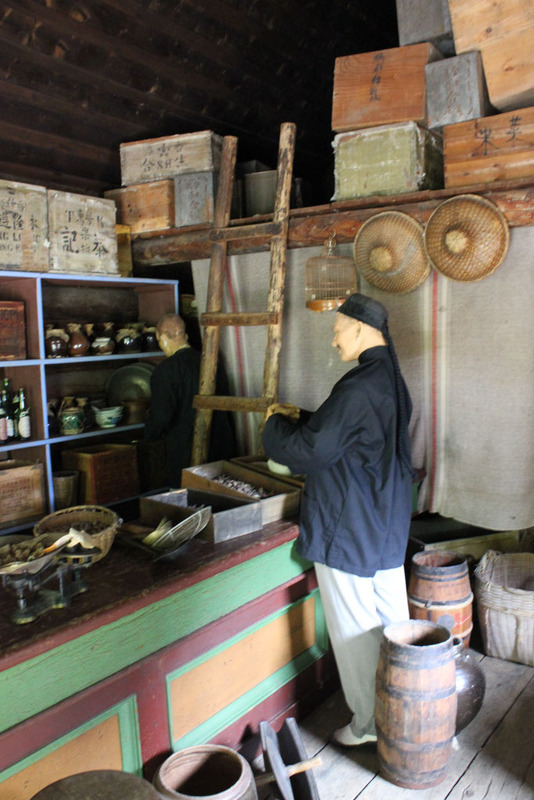 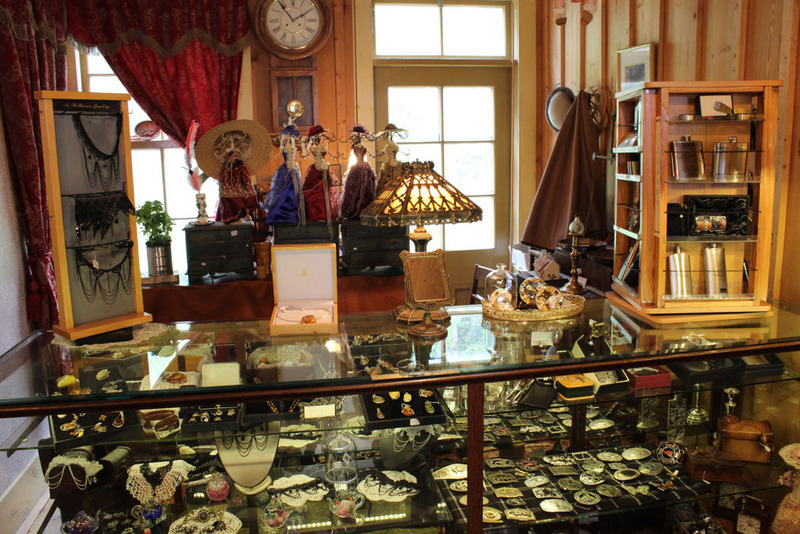 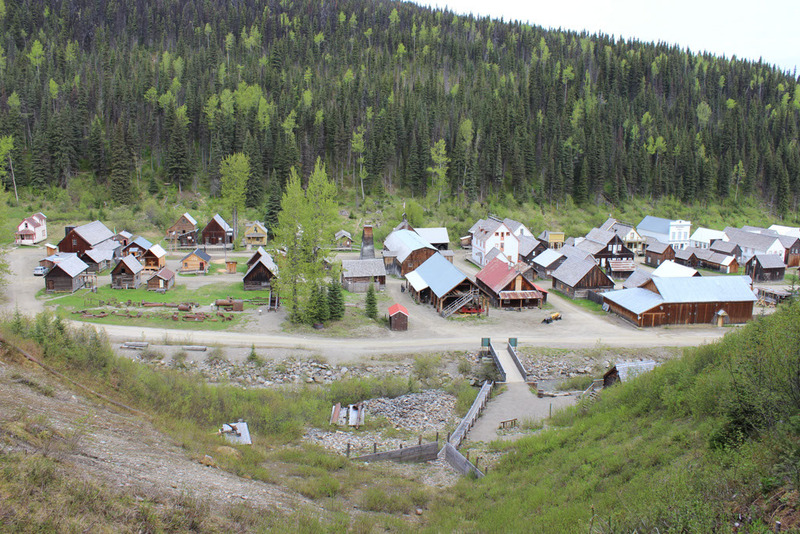 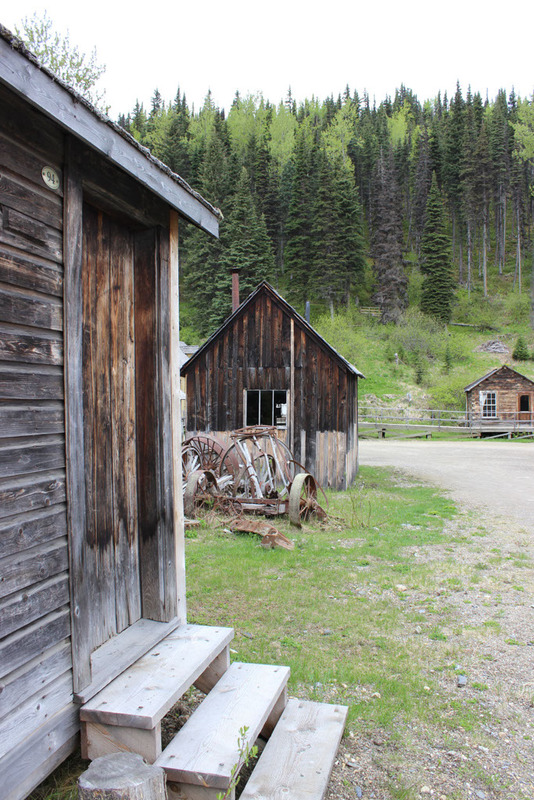 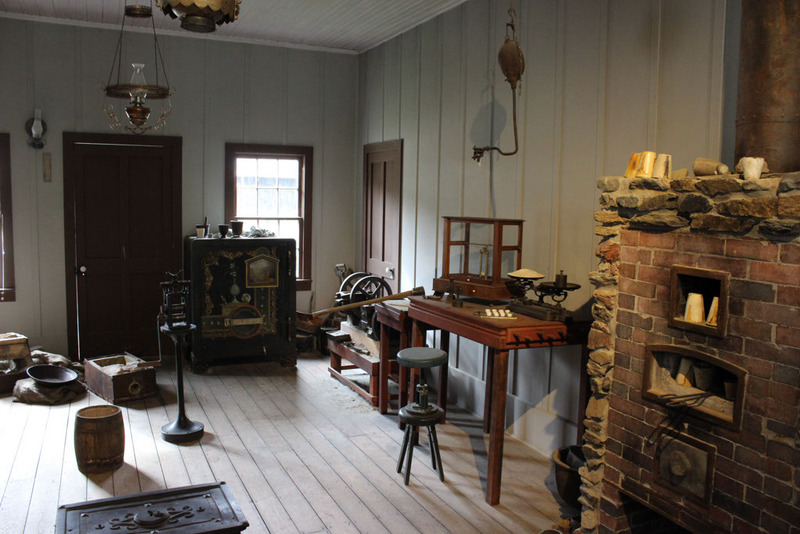 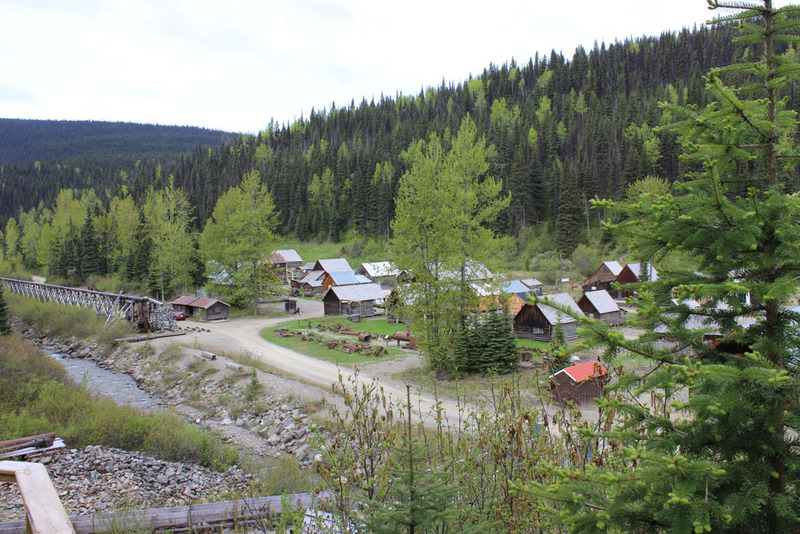 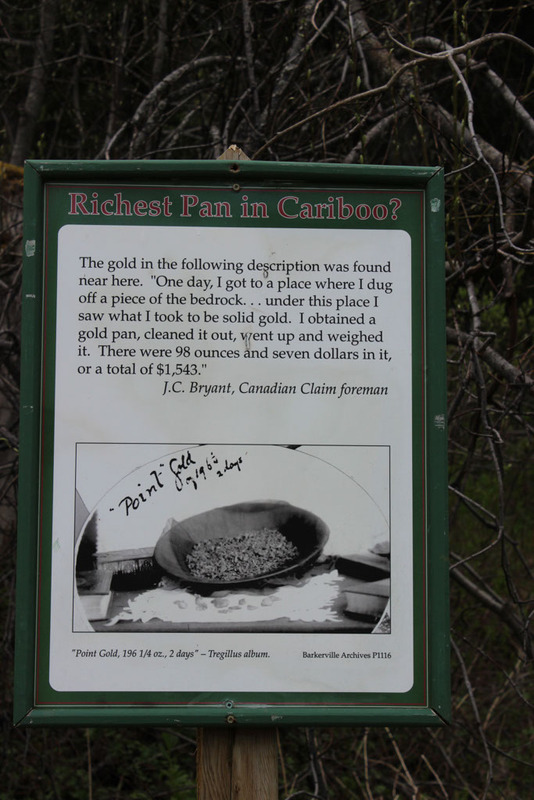 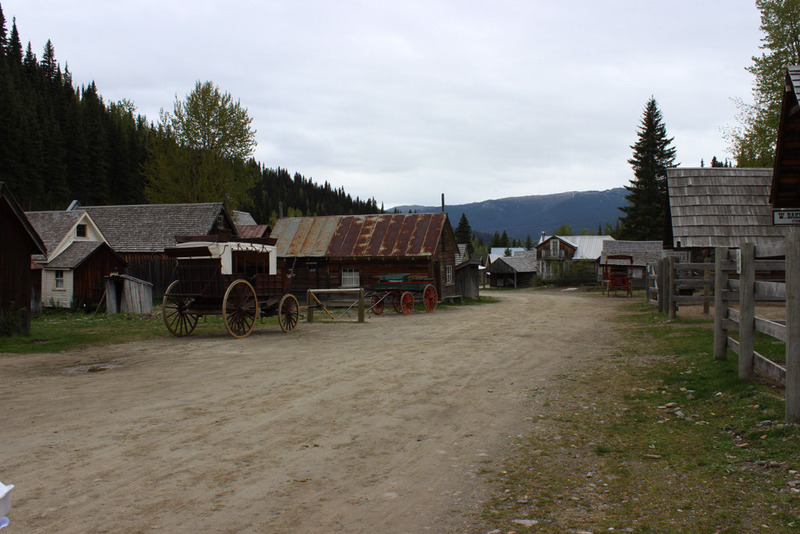 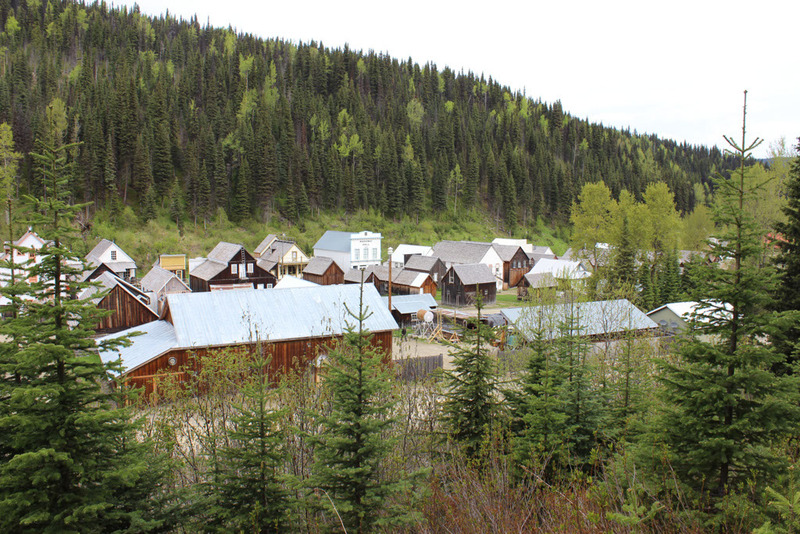 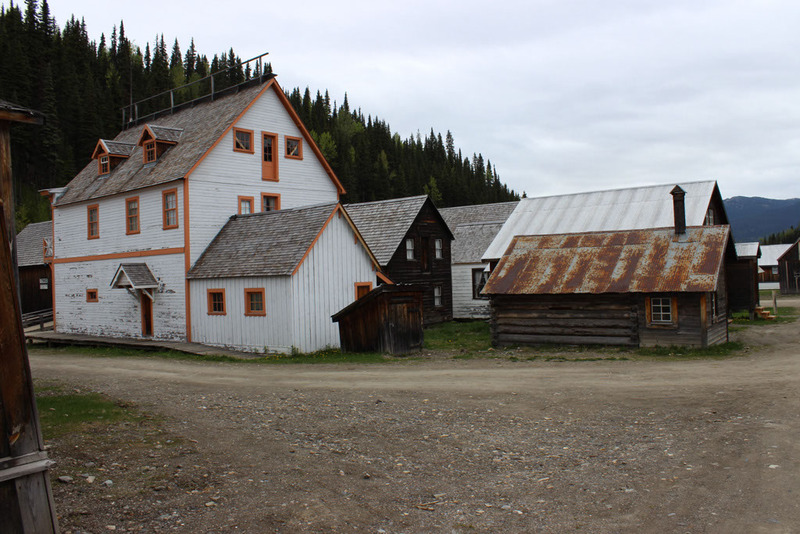 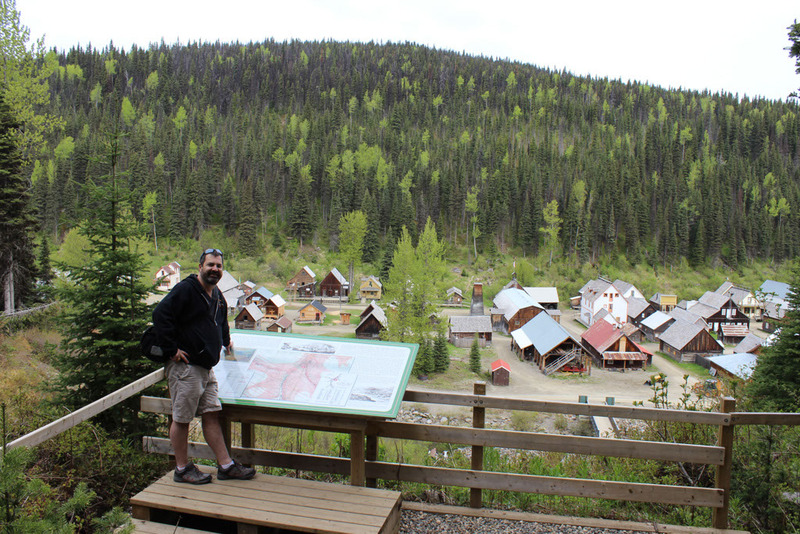 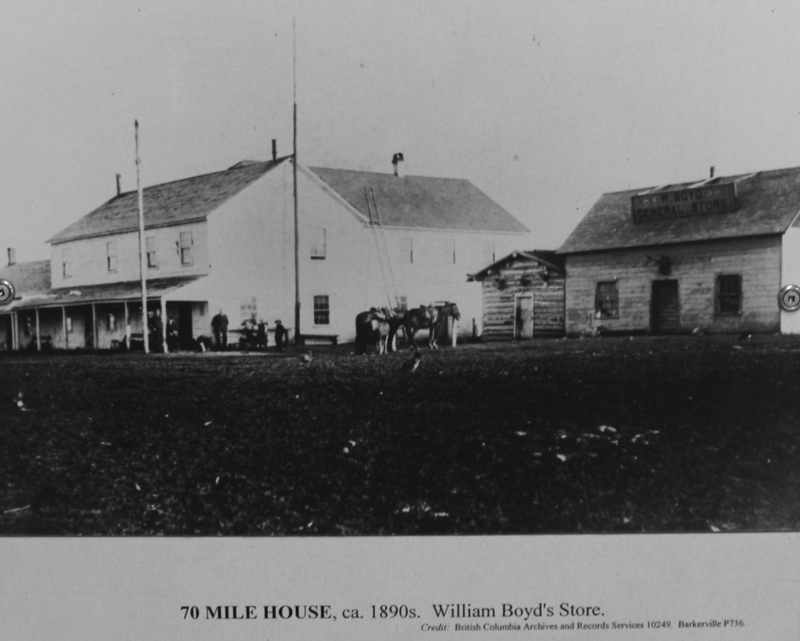 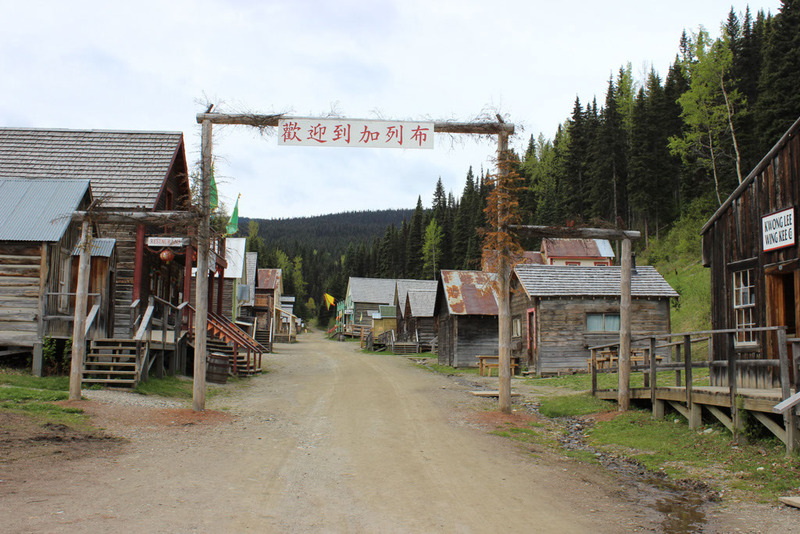 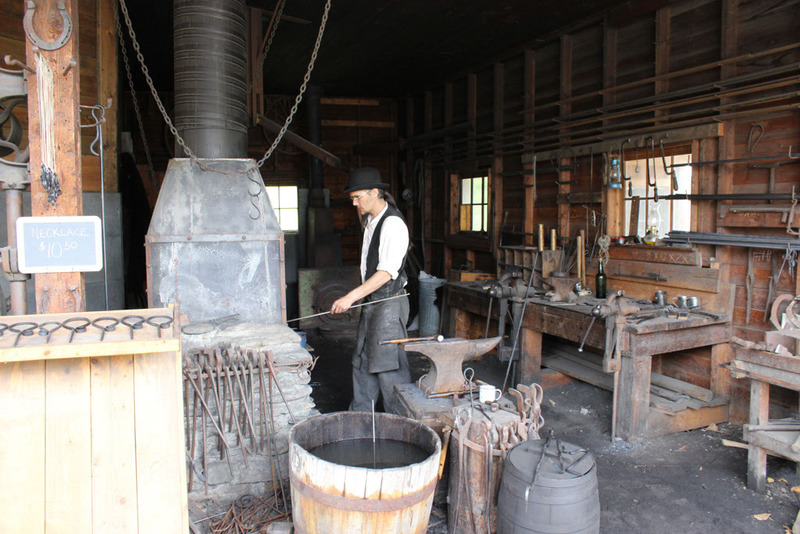 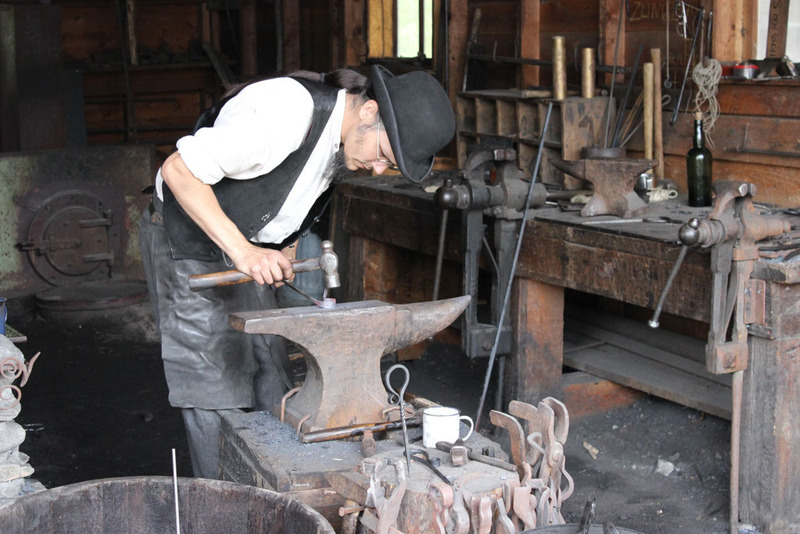 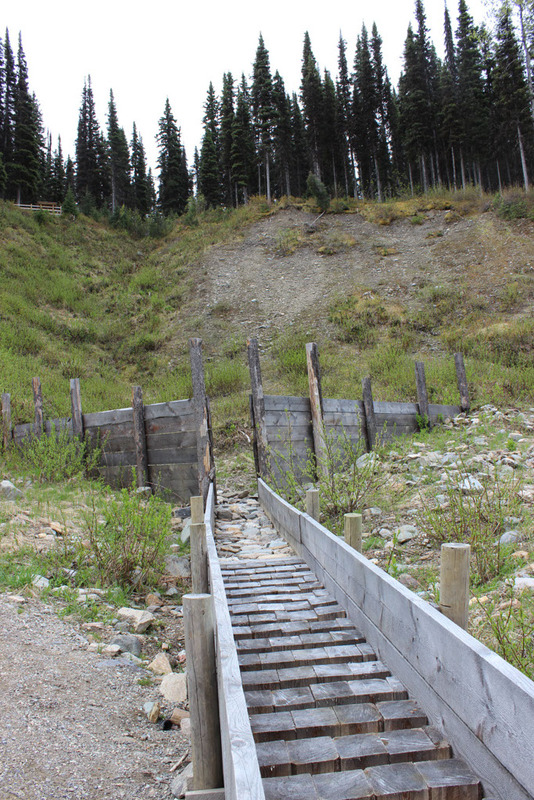 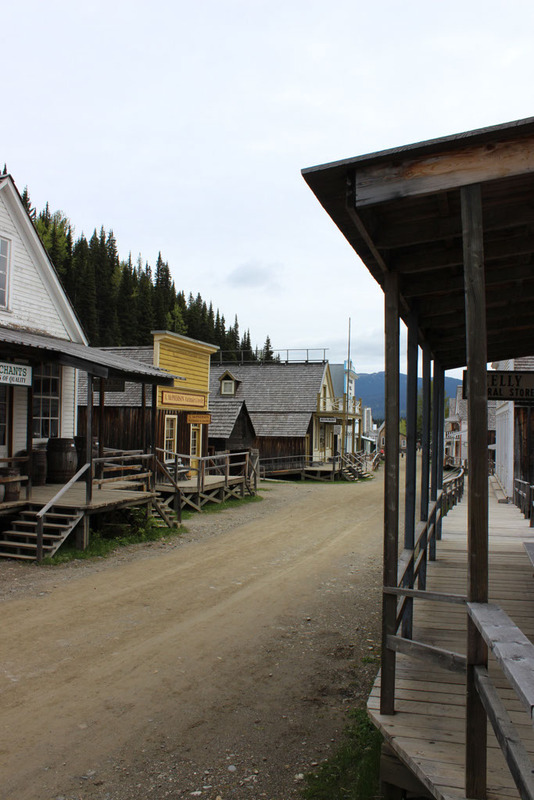 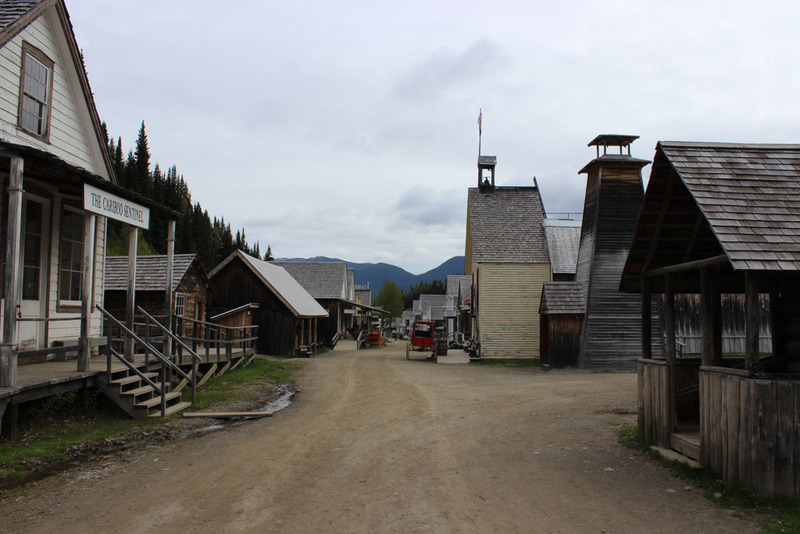 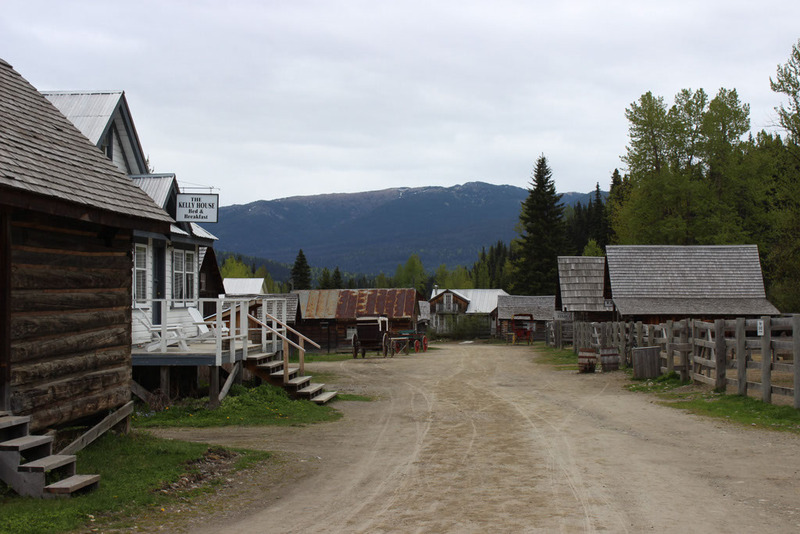 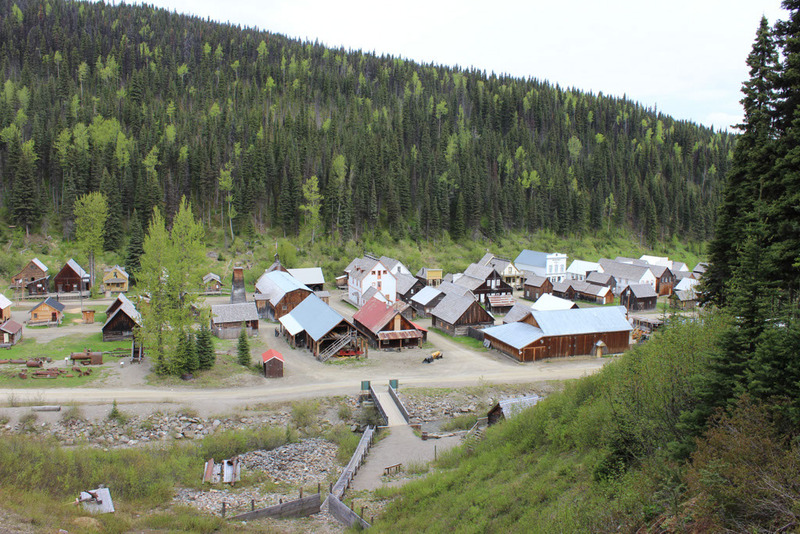 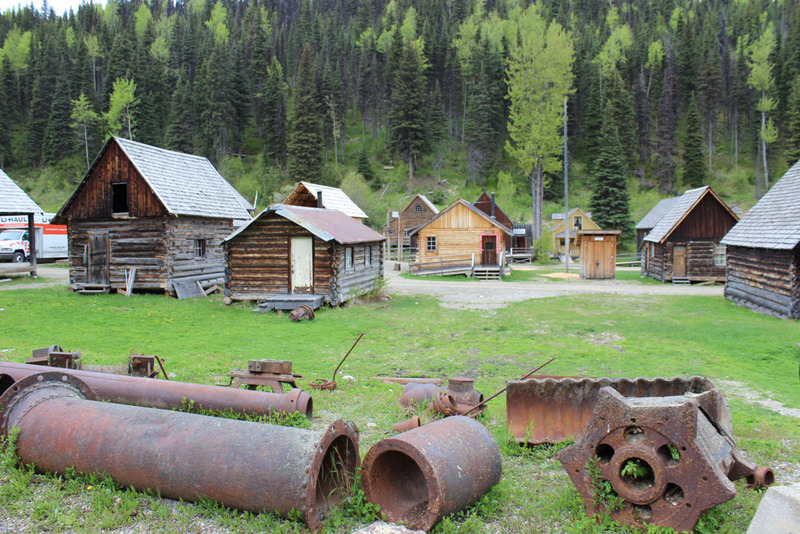 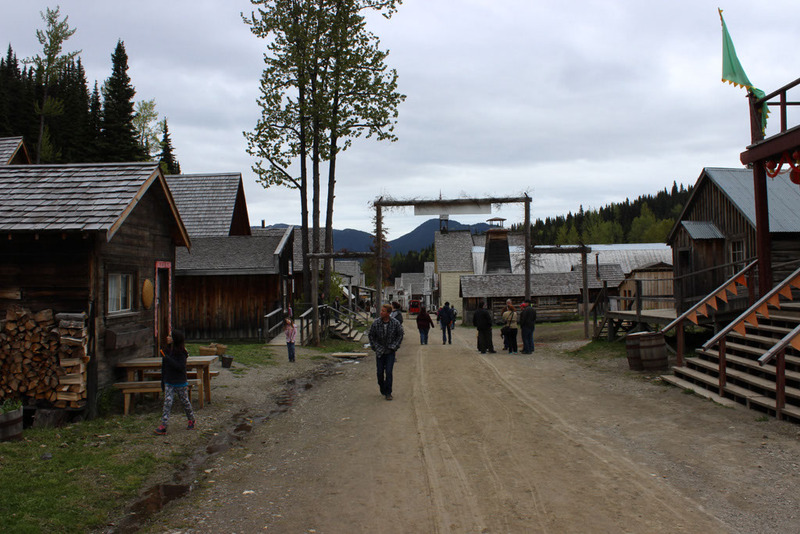 In 1862, when a prospector named, Billy Barker discovered gold in Williams Creek, it lead to the beginnings of the most famous gold-rush town in British Columbia, called Barkerville. 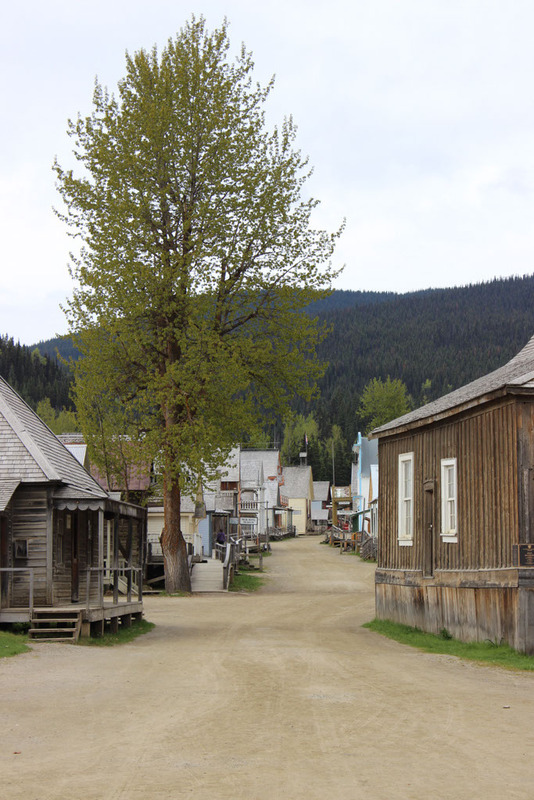 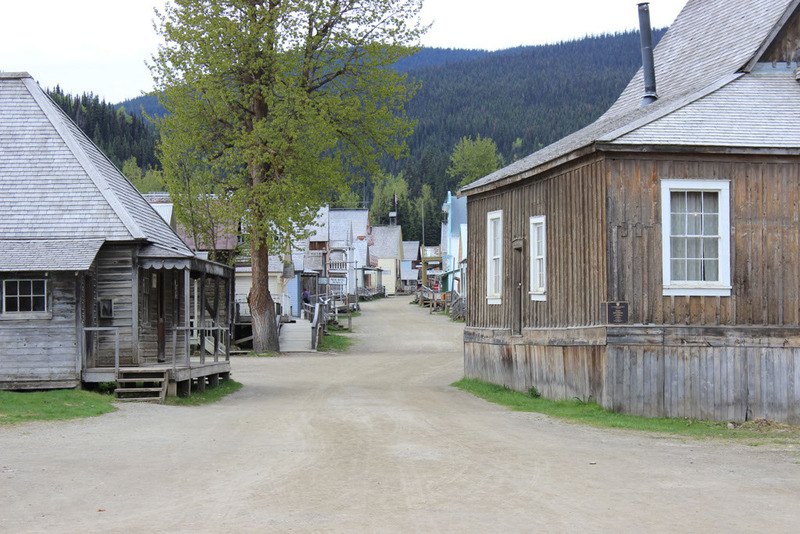 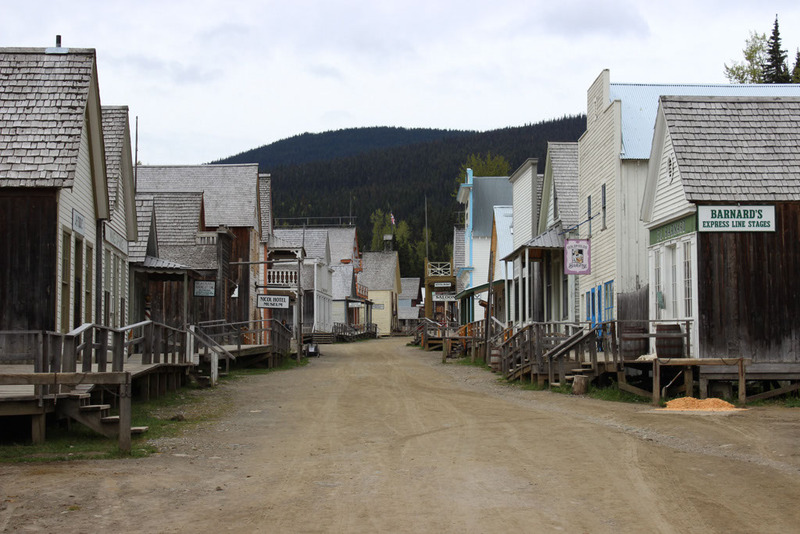 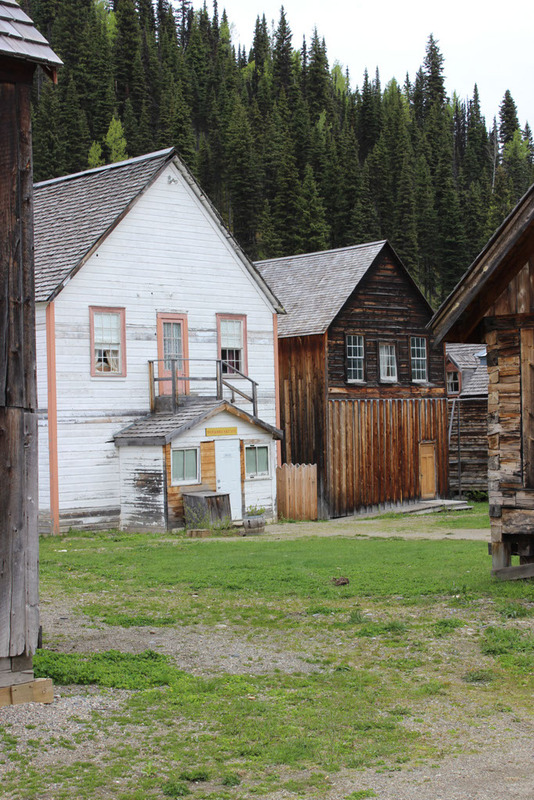 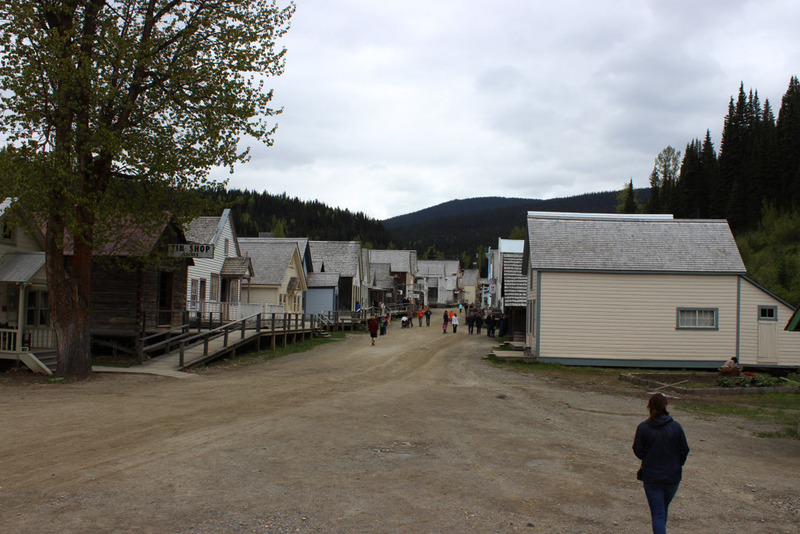 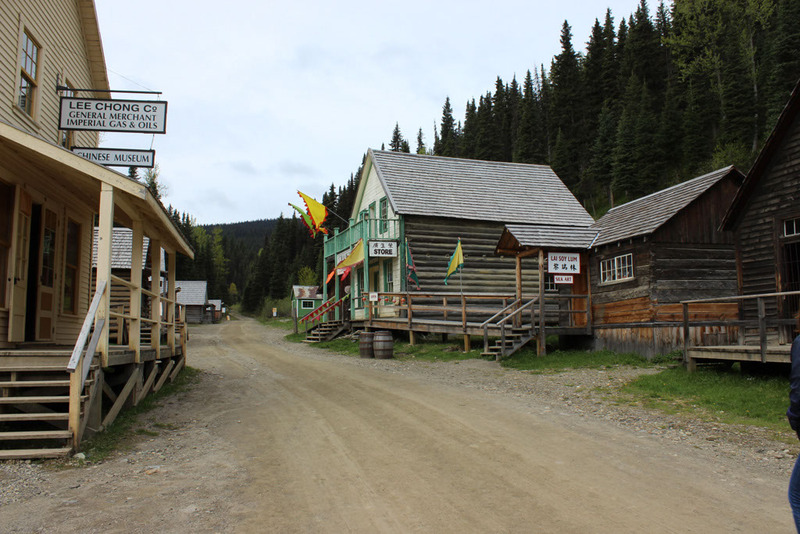 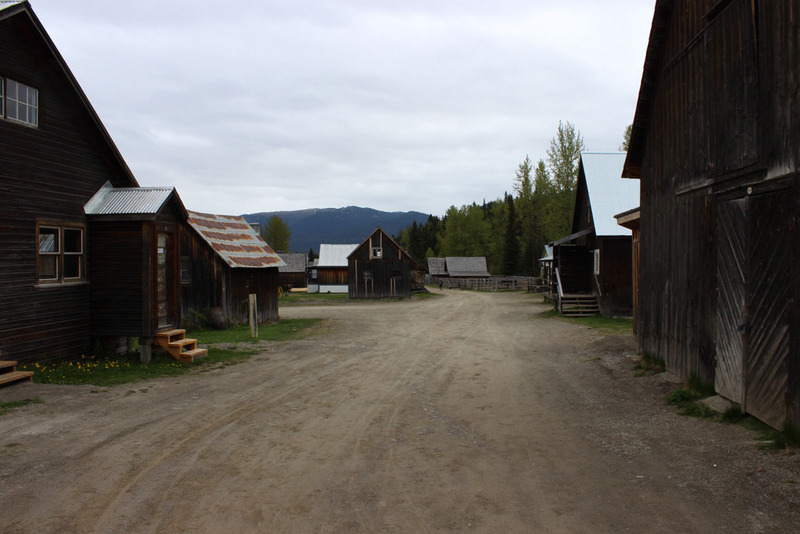 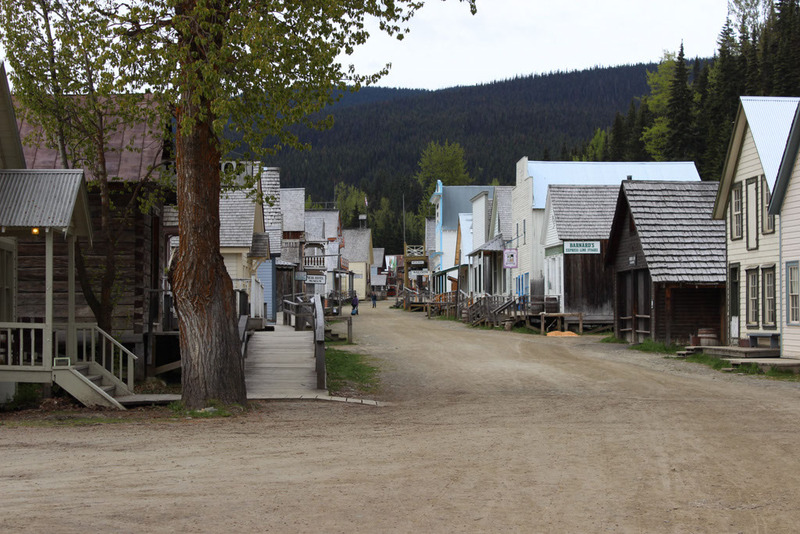 This town eventually grew to be the largest in all of Western Canada. 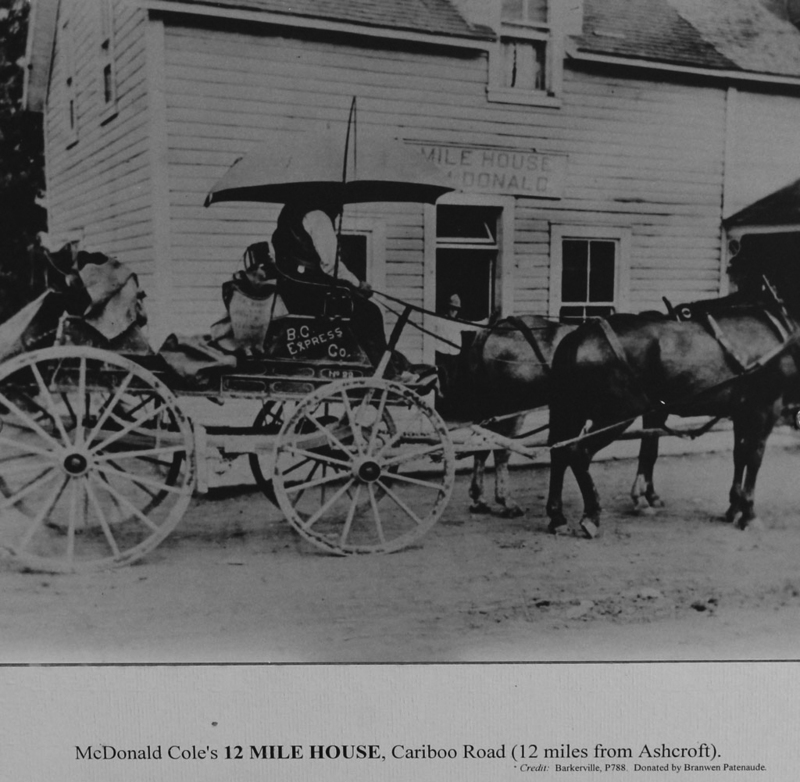 This lasted only for a short time, but during that time one business that flourished was the Road House. 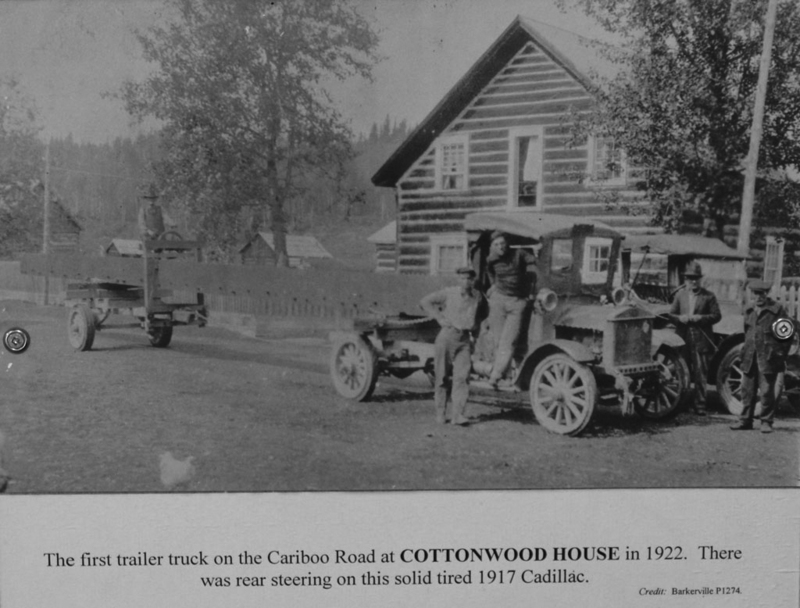 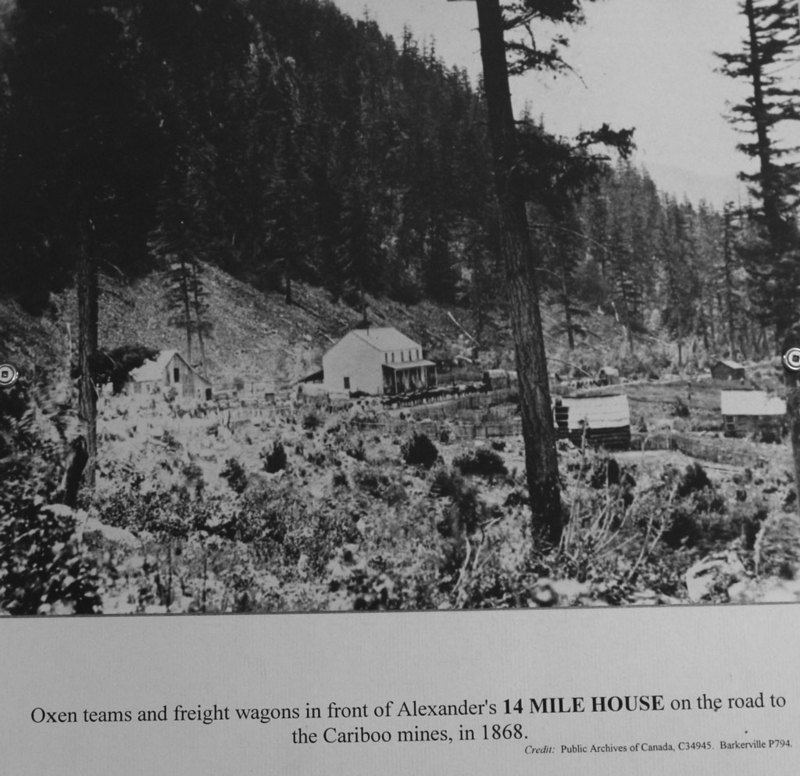 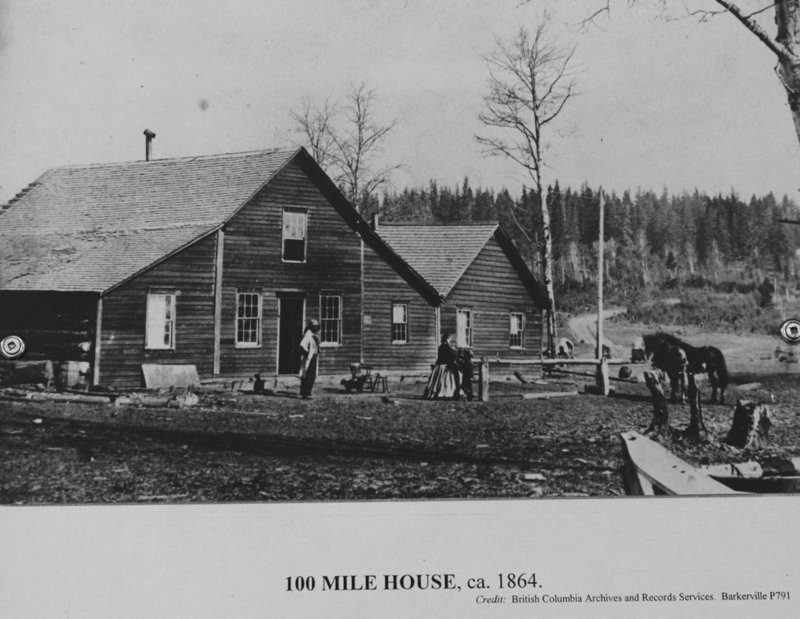 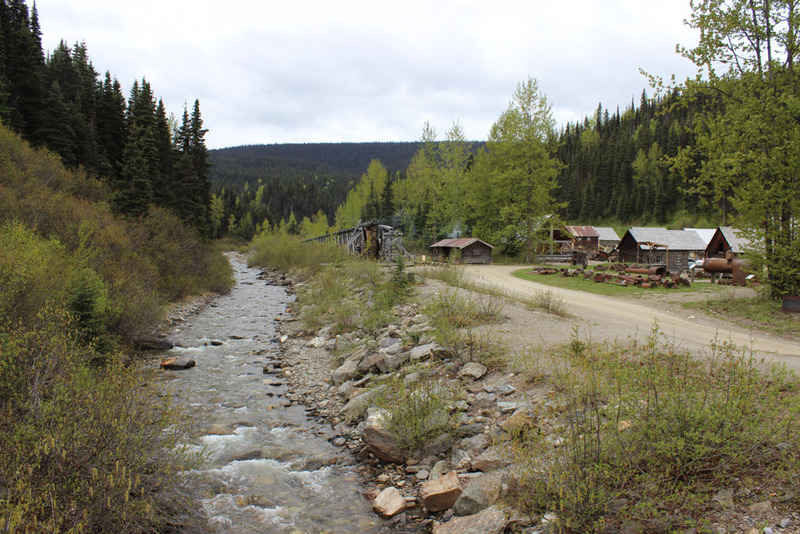 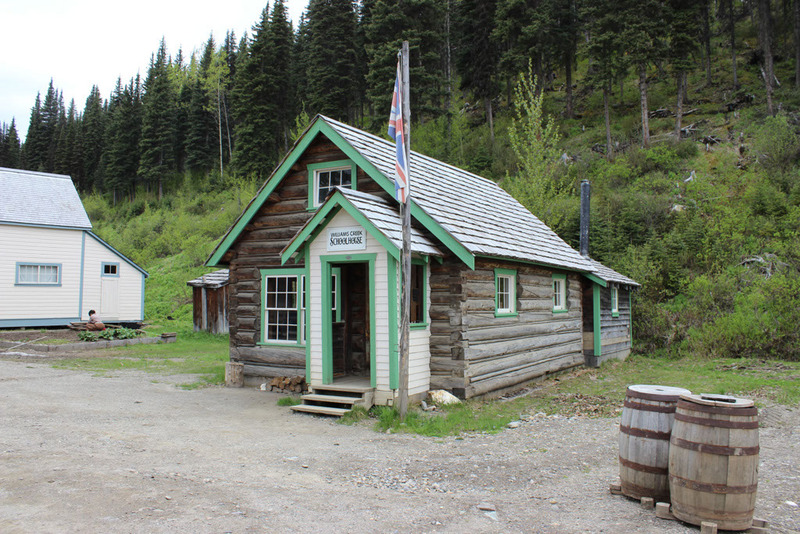 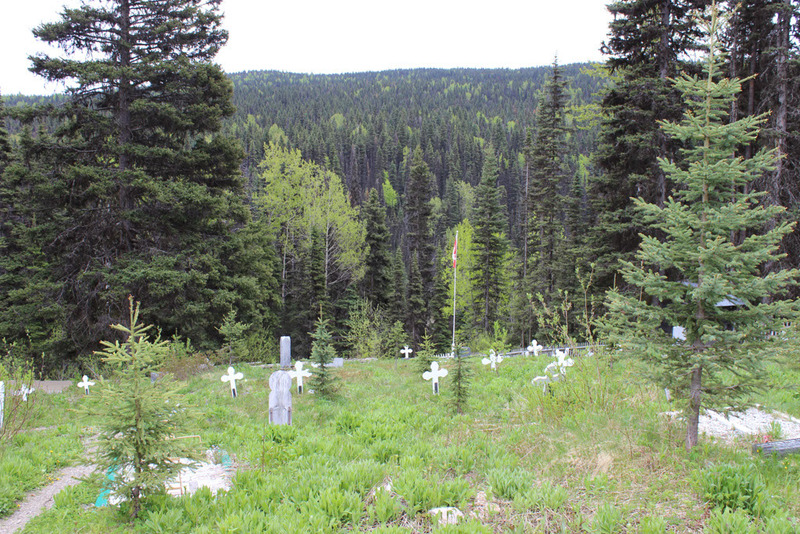 Prospectors traveling to and from this remote central BC location would often stay at several places along the Cariboo Road called, “Road Houses”.